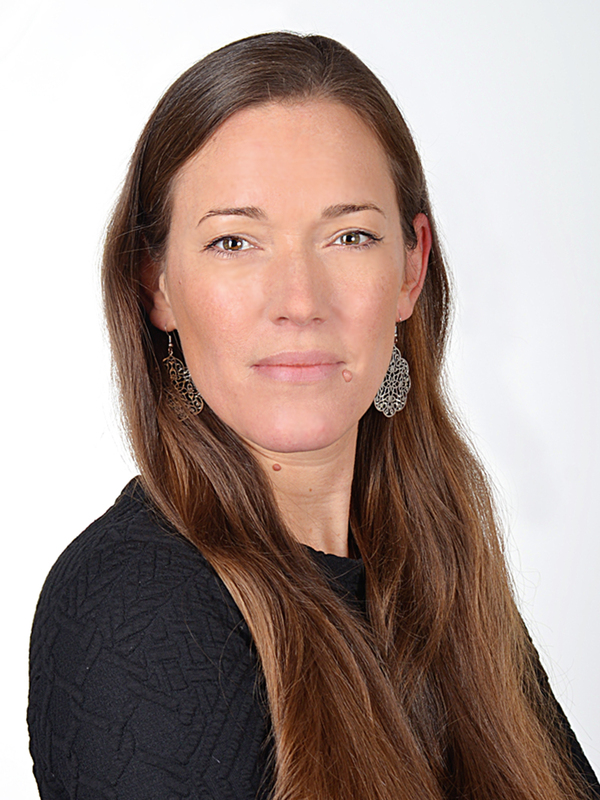 Innovative solutions are no coincidence - they are the result of a combination of pioneering spirit, knowlwdge desire and know-how of the entire team. 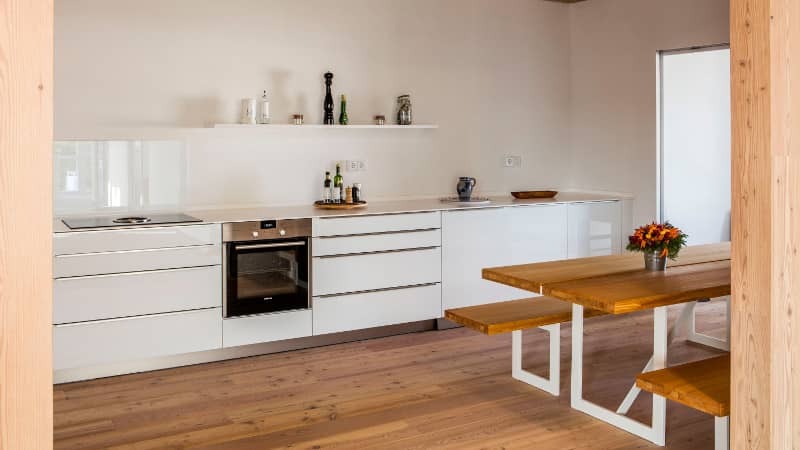 We design and develop our properties in a sustainable manner. 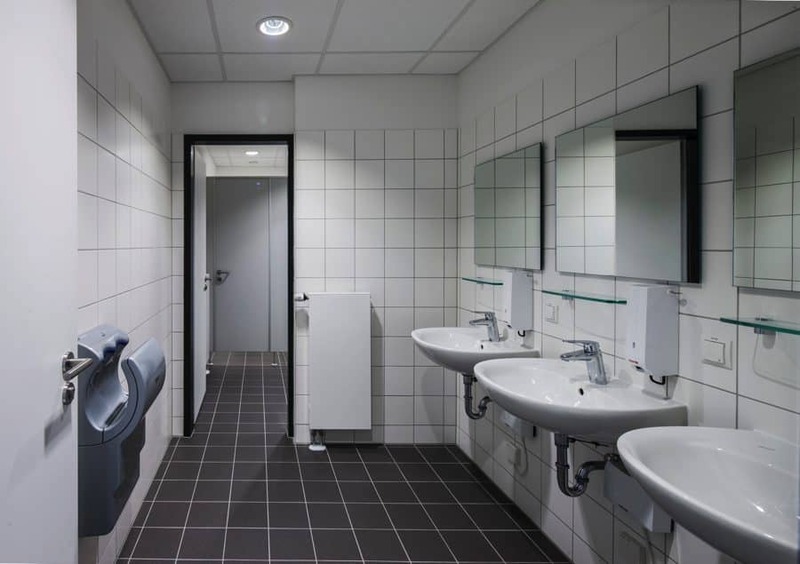 This starts at project development and runs through planning, construction, operation and maintenance. 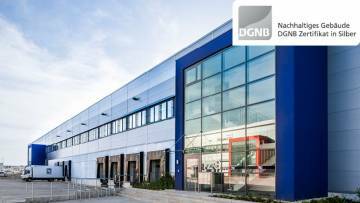 Most of our properties are certified according to the DGNB guidelines. This ensures transparency on sustainability for users or investors. The DGNB Certification System was established in 2008. 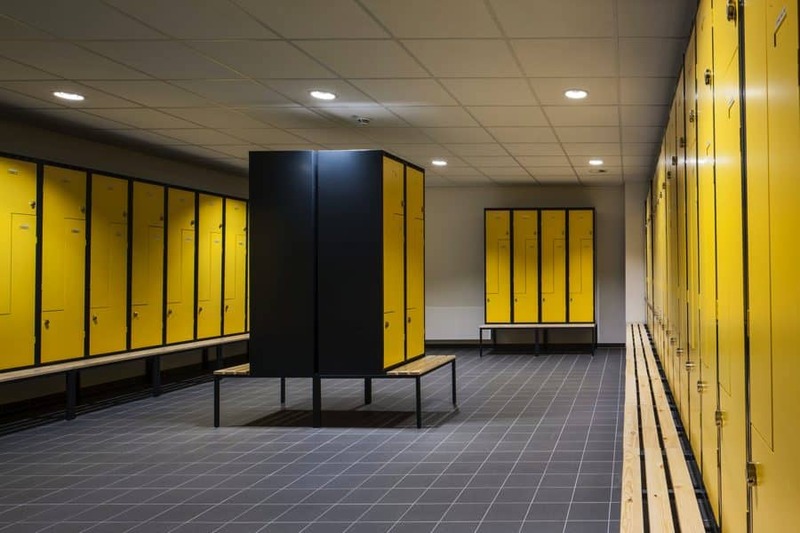 In order to ensure maximum quality and transparency, around 40 criteria from the quality sections environmental, economic, sociocultural and functional aspects, technology, processes and site are incorporated into the assessment. 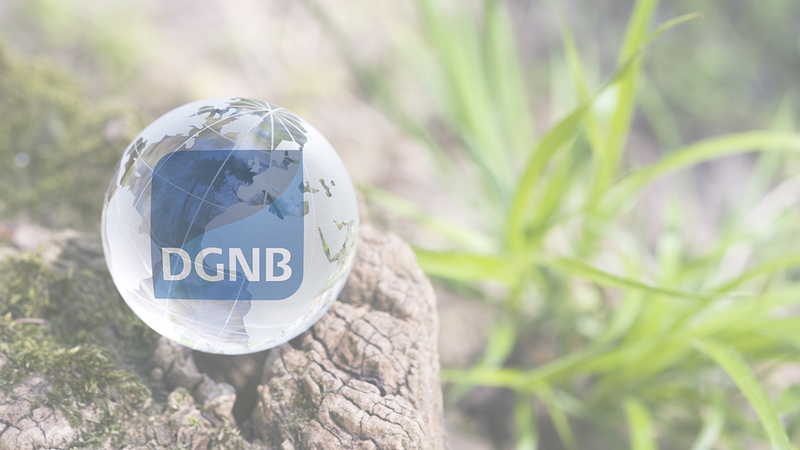 If these are fulfilled excellently, the DGNB Certificate is awarded in platinum, gold or silver. 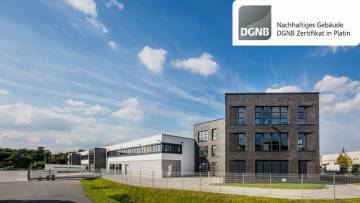 Certification follows a holistic approach: the DGNB System assesses the entire life-cycle of the building. This makes it possible to define sustainability goals right at the start in the planning phase. 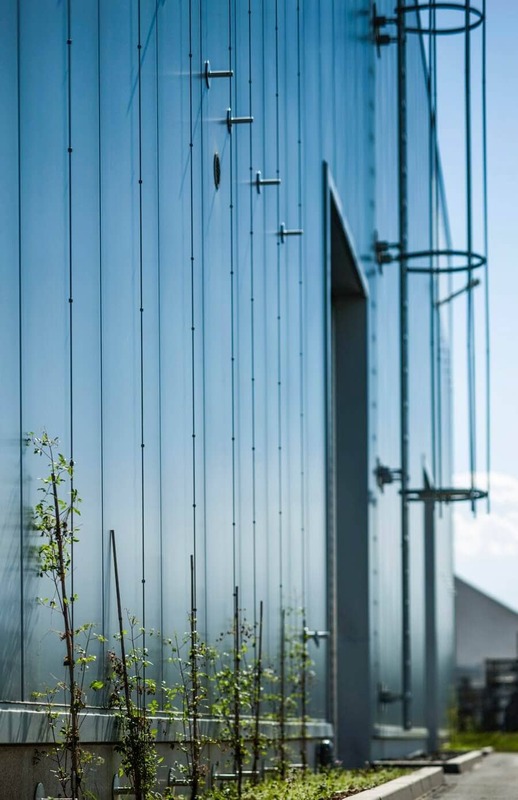 Based on these goals, high-quality buildings that are well set up for the future can be produced. 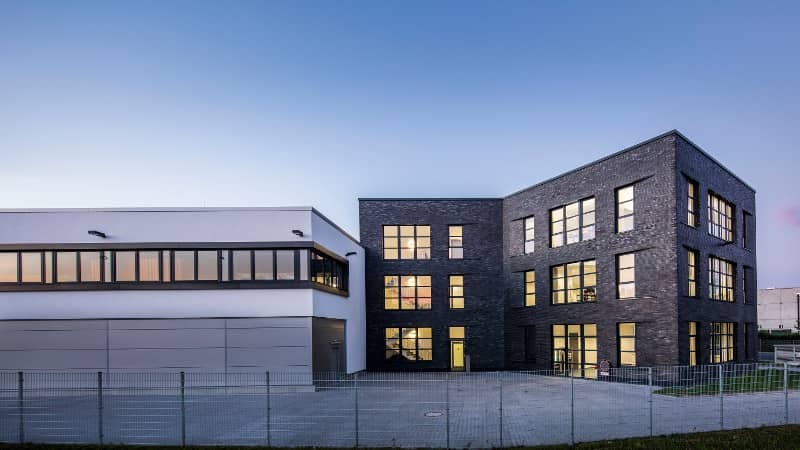 The joint venture of MP Holding GmbH and Isarkies GmbH & Co. KG celebrates major leasing successes in all three projects that are currently being implemented in the Munich area. 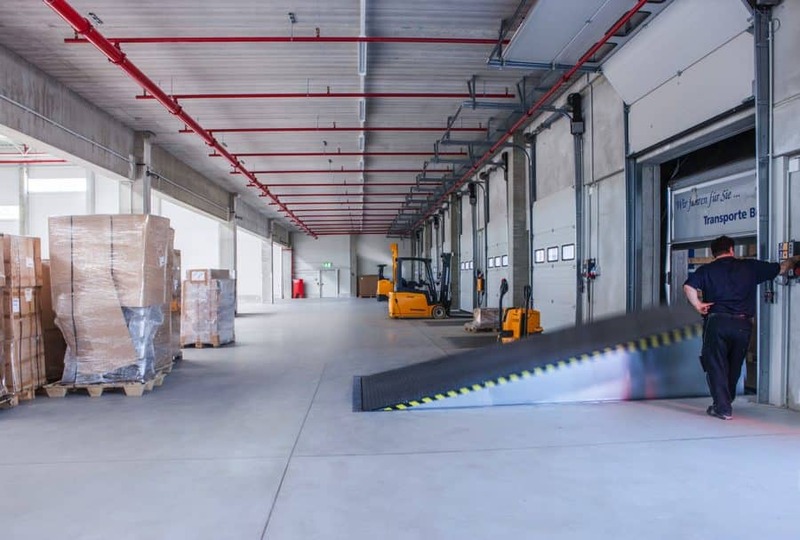 At the gates of Munich, in the municipalities of Maisach, Niederviehbach and Spörerau, new logistics areas with a total size of approximately 34,400 square meters of rentable space are being constructed. 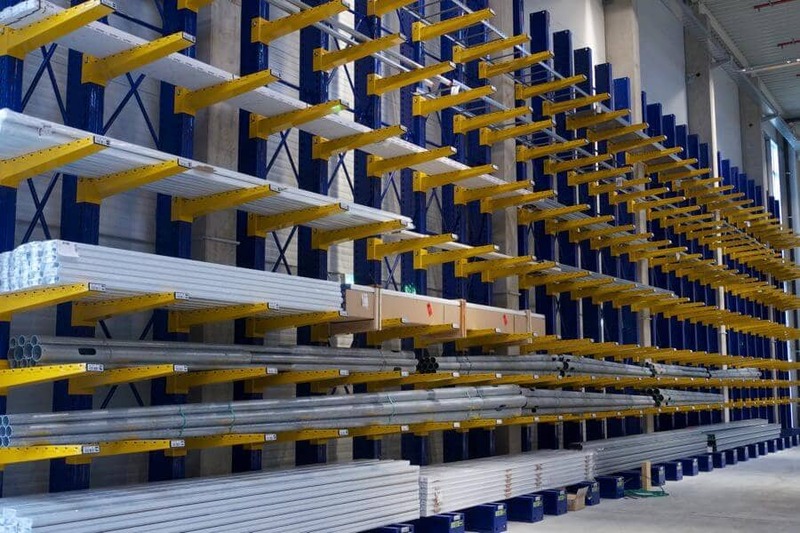 In the last three months, a total of 28,800 square meters have been let for the long term. 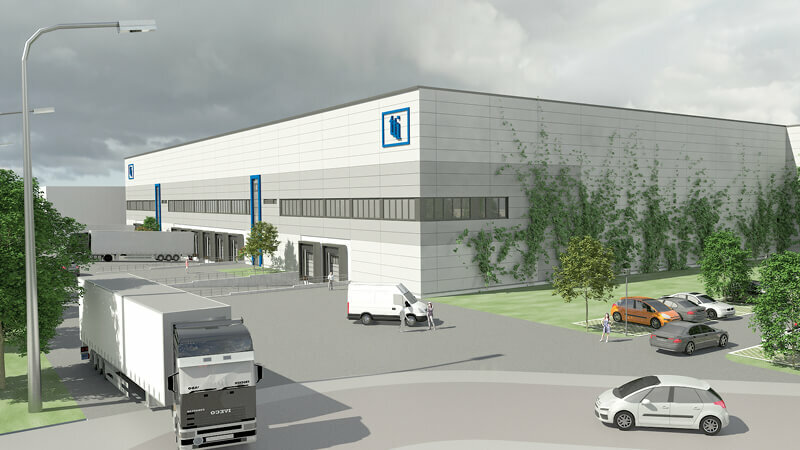 In October, MP Holding set the symbolic groundbreaking ceremony for the logistics project Multipark in Ginsheim-Gustavsburg. 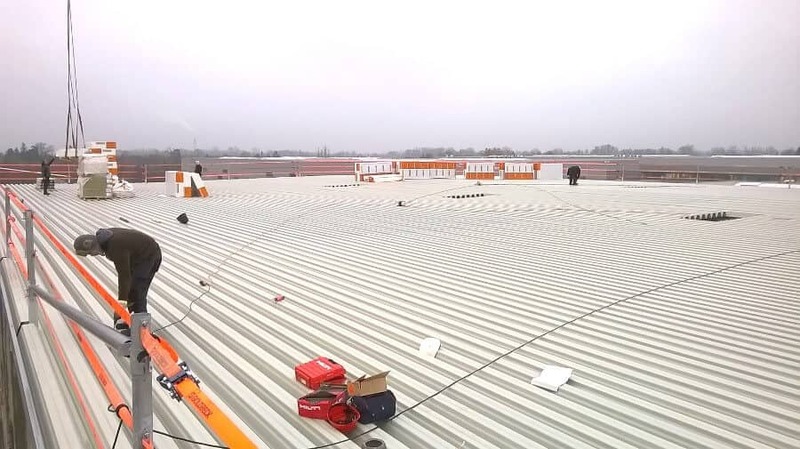 It is the last construction phase in the commercial area. 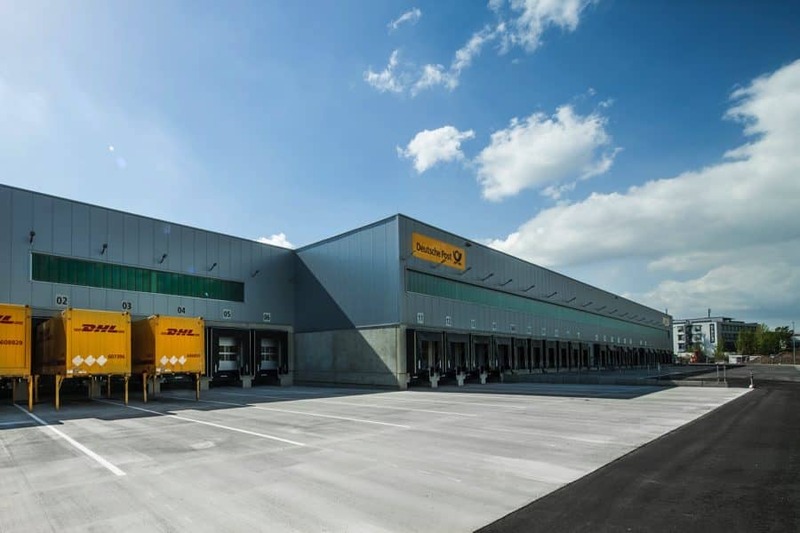 Multipark Ginsheim-Gustavsburg encompasses around 28,000 m² gross floor area, which will be handed over completely to the tenant Movianto in April 2019. 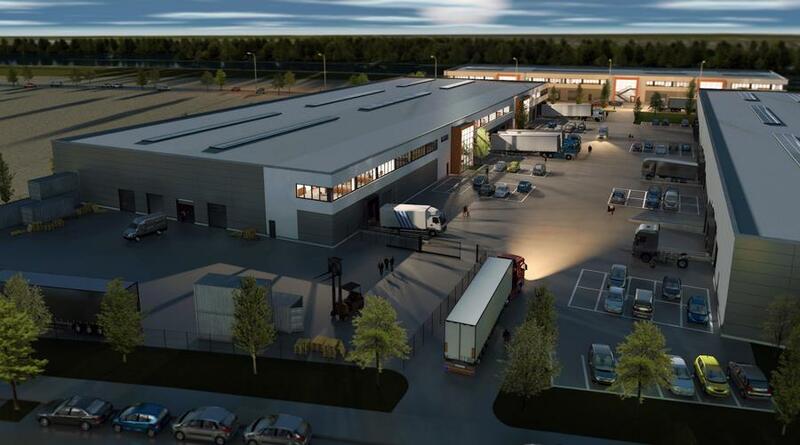 The logistics service provider supplying the pharmacy and hospital sector will create about 180 jobs there. 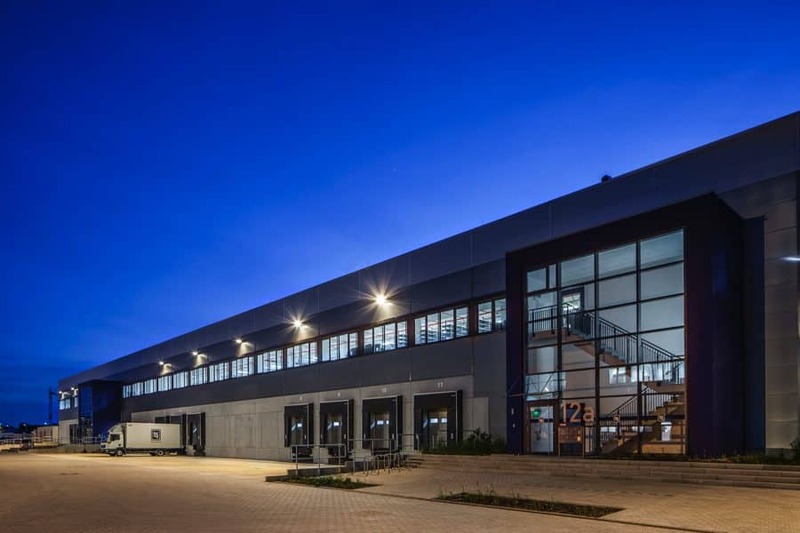 The joint venture of MP Holding and ISARKIES have leased MULTIPARK Ginsheim-Gustavsburg as a single-tenant property before completion. 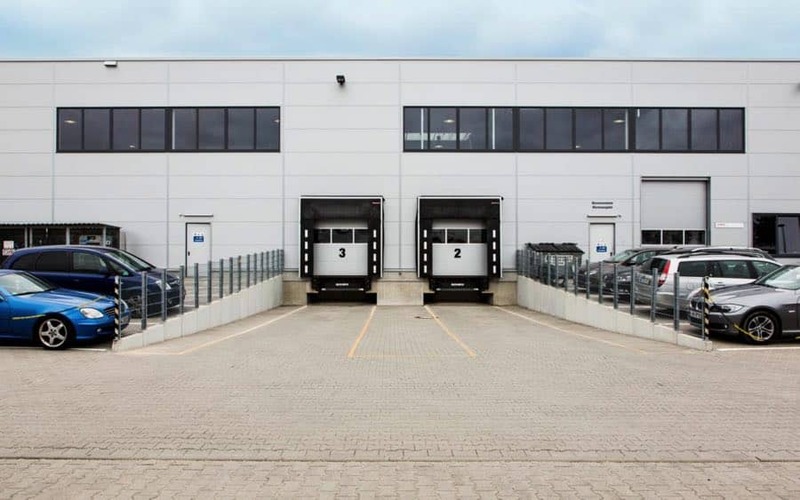 At the end of July Movianto Deutschland GmbH was acquired as a tenant, covering the entire logistics real estate with a gross floor area of approx. 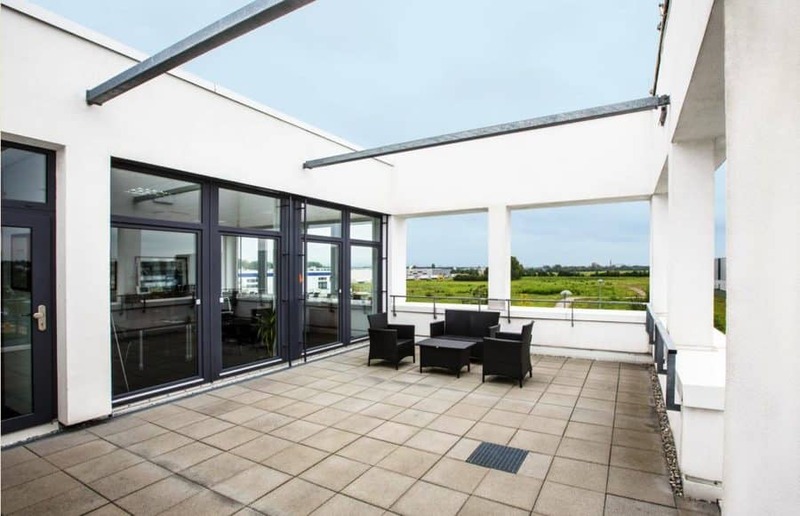 Rents 28,000 m² in the long term. The move will take place after completion in the second quarter of 2019. 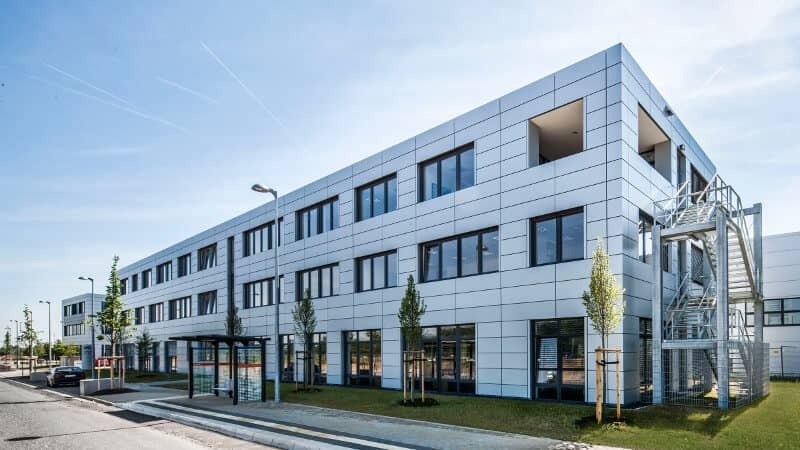 On 14th August 2018 the joint venture of ISARKIES and MP Holding GmbH celebrated the imminent completion and handover of the new headquarters together with Clarus Films GmbH in Dietzenbach, Albert-Einstein-Str. 11. 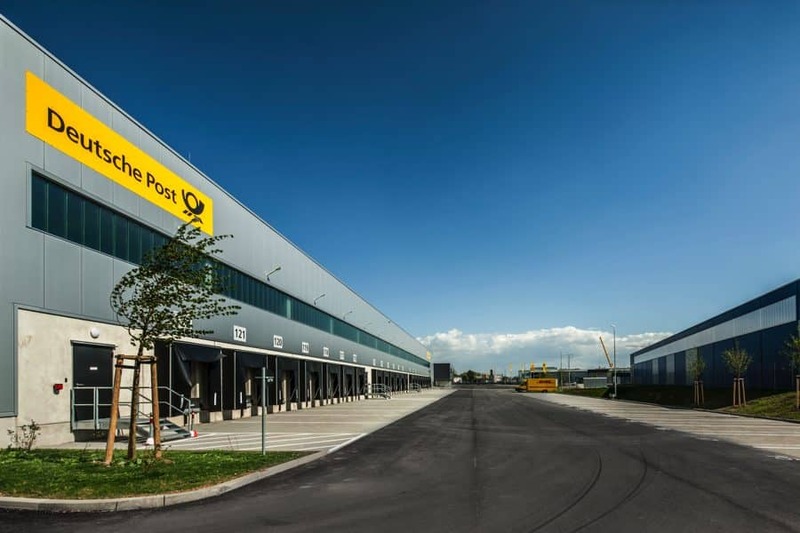 The joint venture of Fraport AG and MP Holding GmbH has leased the first construction phase of the logistics property M-Port³ on the Mönchhof site in Kelsterbach. 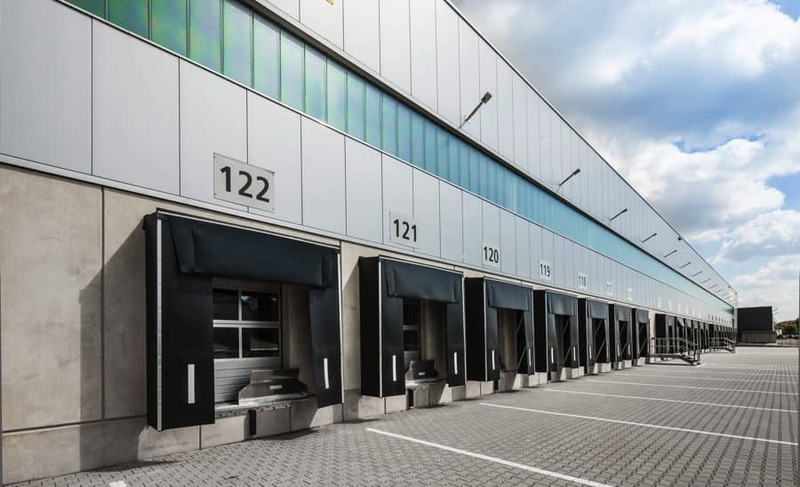 At the beginning of May, the tenant REWE Markt GmbH was acquired, which leases the property with a gross floor space of around 32,500 square meters. Completion will take place at the end of August 2018. 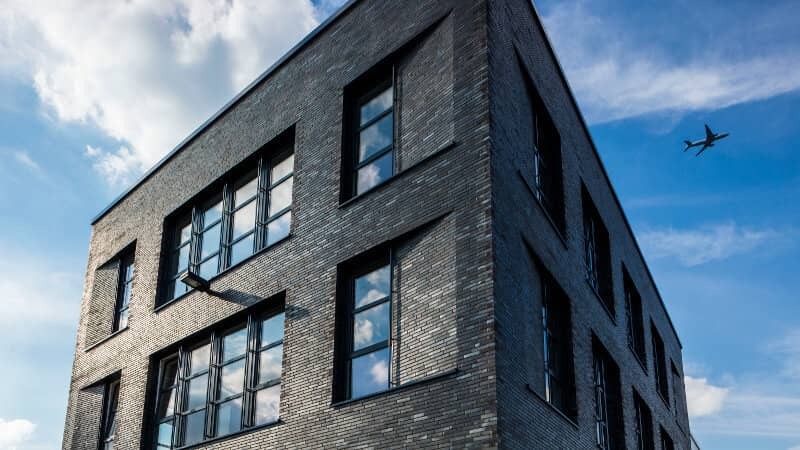 Invesco Real Estate, the global real estate investment manager, has acquired the European headquarters of tti Inc. in the west of Munich for Bayerische Versorgungskammer (BVK), one of its German individual clients. Seller is the joint venture of MP Holding and Isarkies. 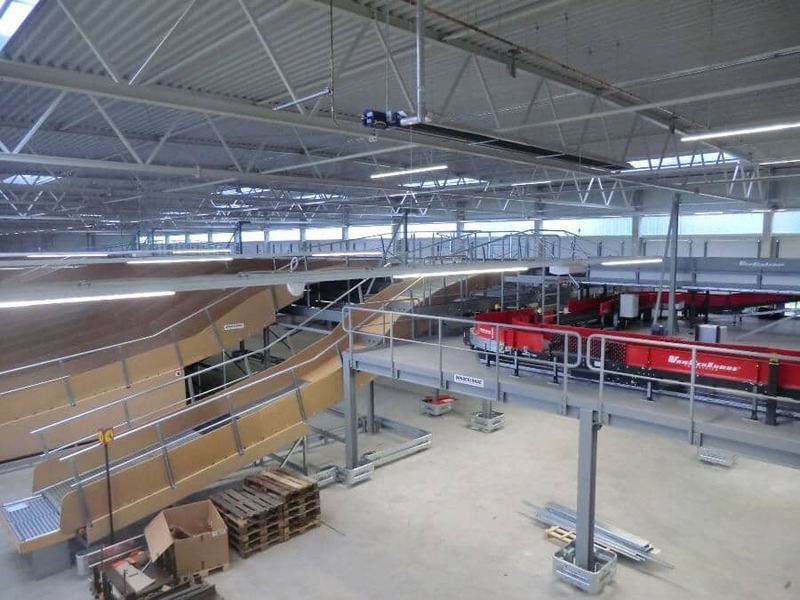 Transfer of the rental area to the company MayTec in the MULTIPARK Olching IV. The tenant moved into the two rental units with a total area of approx. 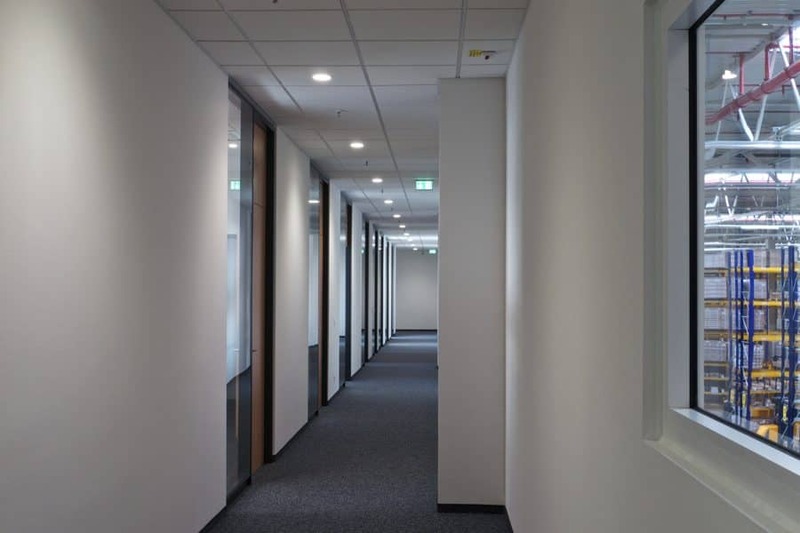 13,600 m² of hall space and about 3,900 m² of office space, as well as 60 parking spaces at the end of January. 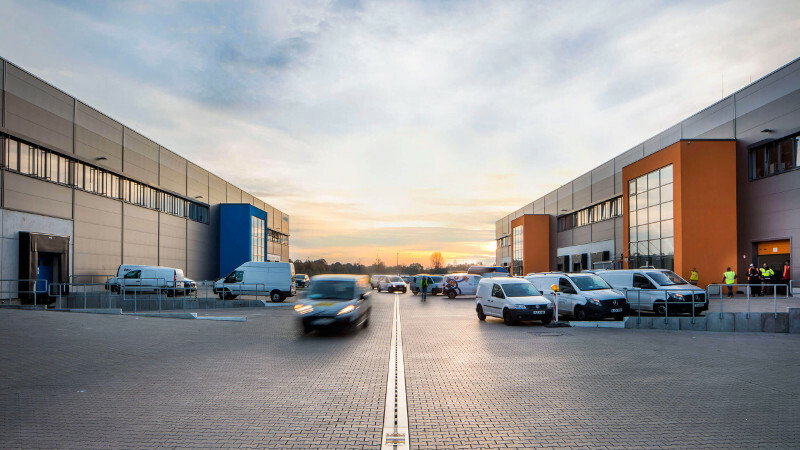 Transfer of the rental area to the company Volkswagen Zubehör GmbH in the MULTIPARK Langen. 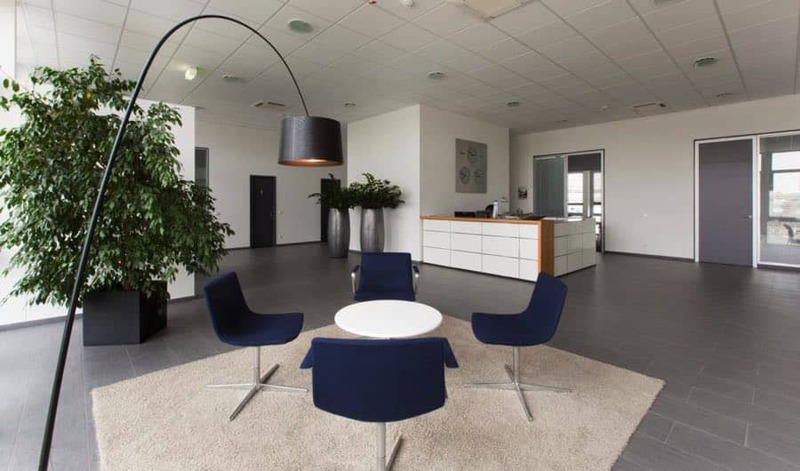 Sale of the European headquarter of TTI, Inc. in Maisach with a total area of approx. 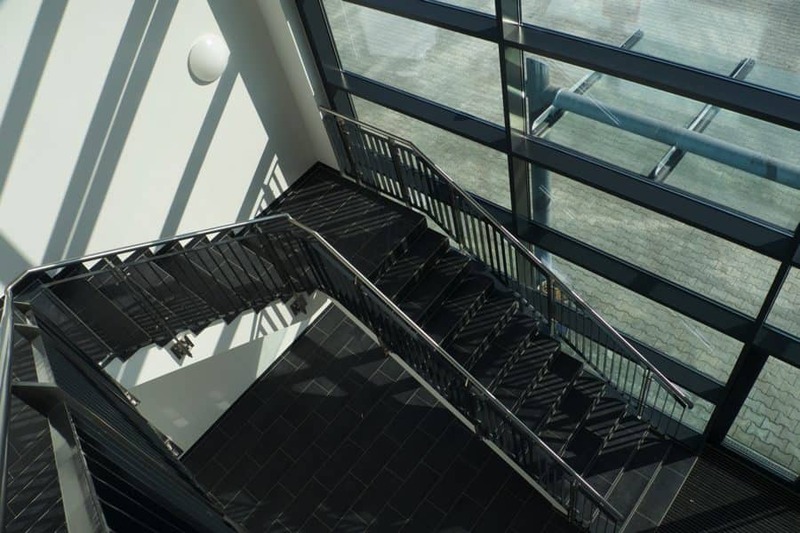 25,500 m² of hall space and about 7,600 m² of office space to Invesco Real Estate. 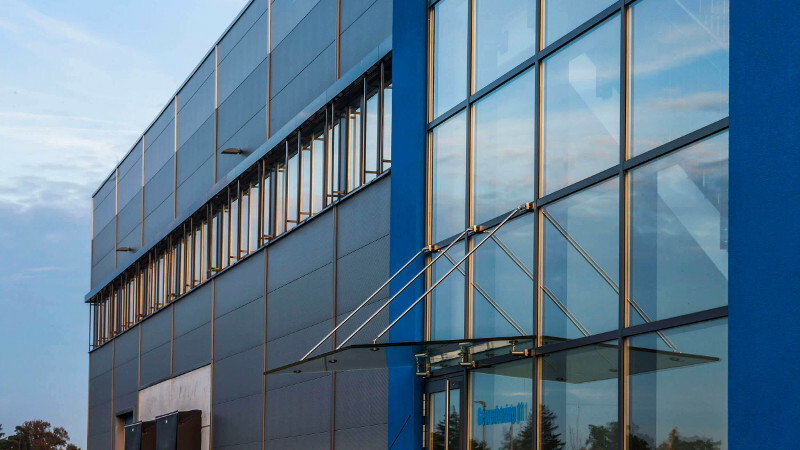 Completion and transfer of the expansion of the European Headquarter to TTI, Inc. with approx. 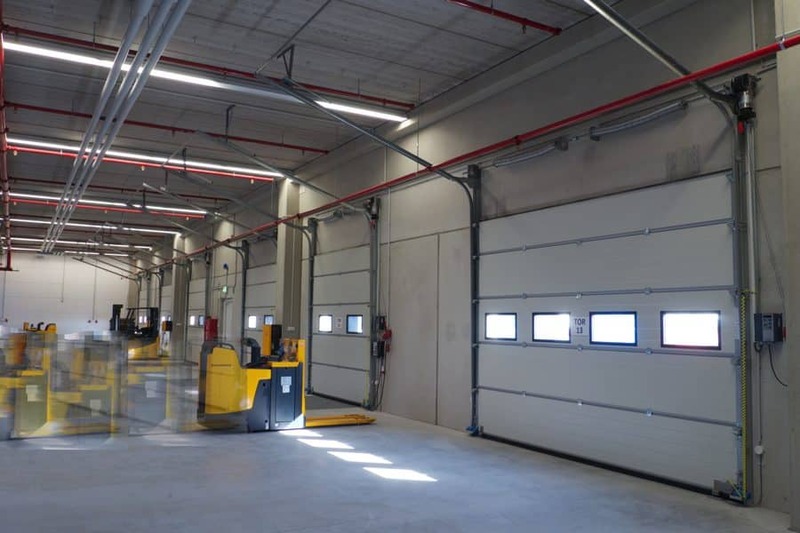 15,100 m² storage and technical area, as well as approx. 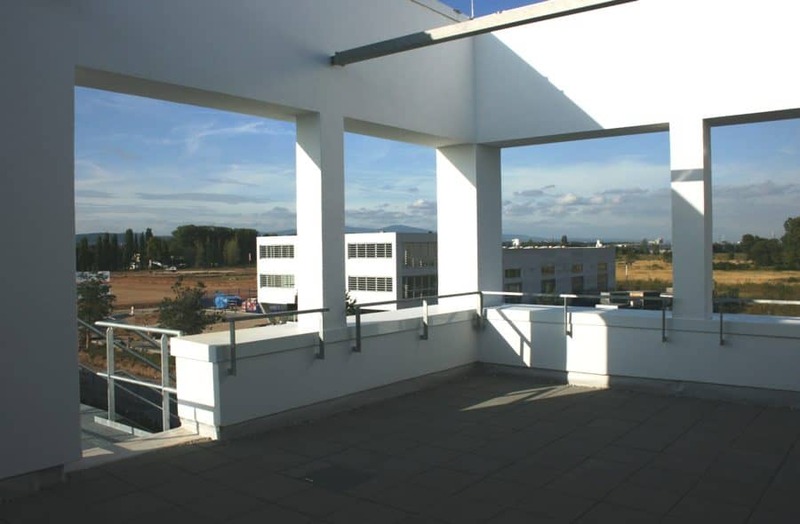 4,400 m² of office, social and circulation space with 260 parking spaces. 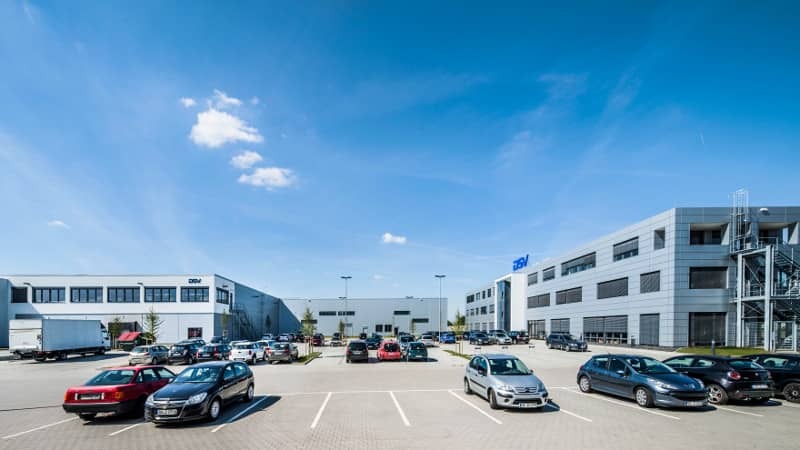 Completion of the rental contract with the company Volkswagen Zubehör GmbH in the MULTIPARK Langen for the last available space of approx. 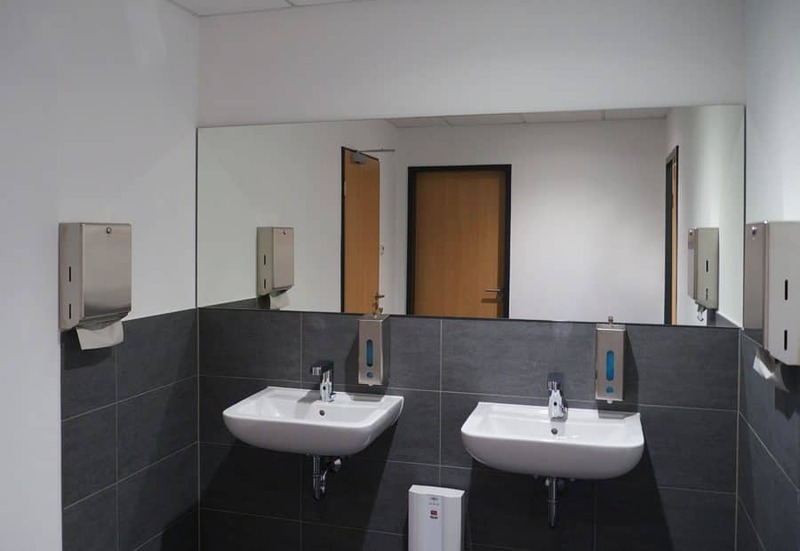 9,400 m². 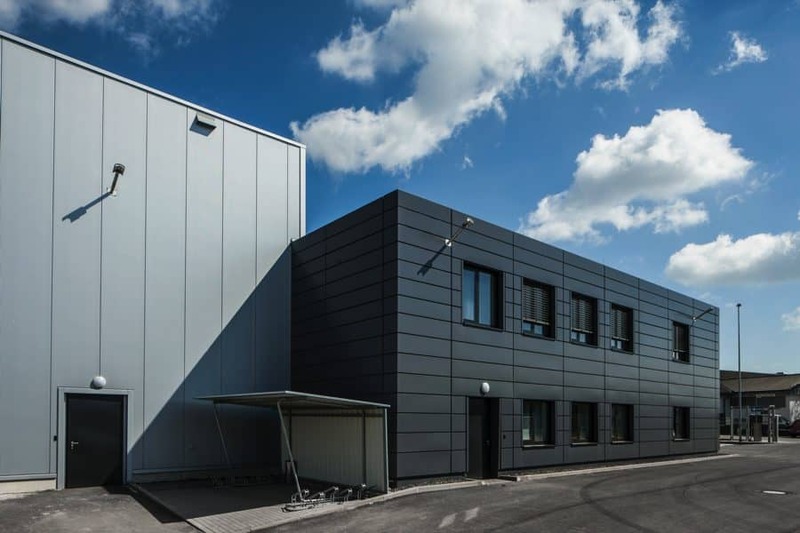 Completion of two rental contracts in the MULTIPARK Olching IV: Matrium GmbH, an established player in the field of quality-oriented logistics with approx 5,800 m² and an international operating company in the area of medical technology with approx. 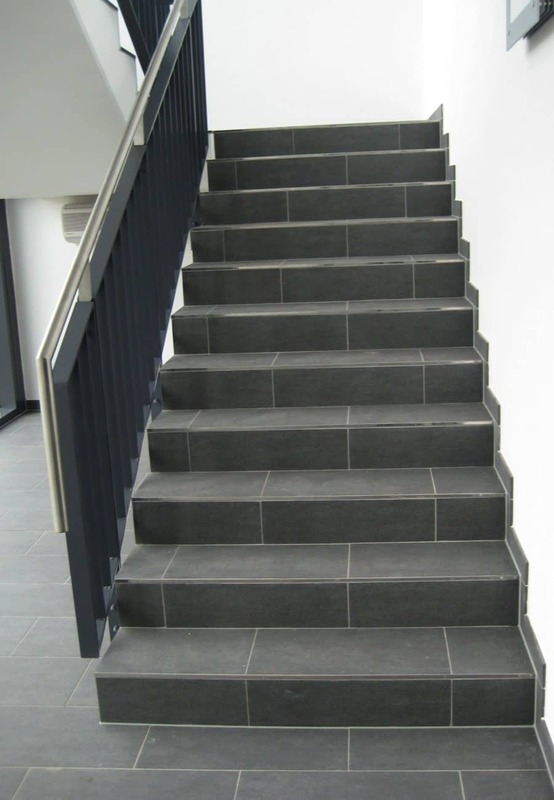 4,370 m². 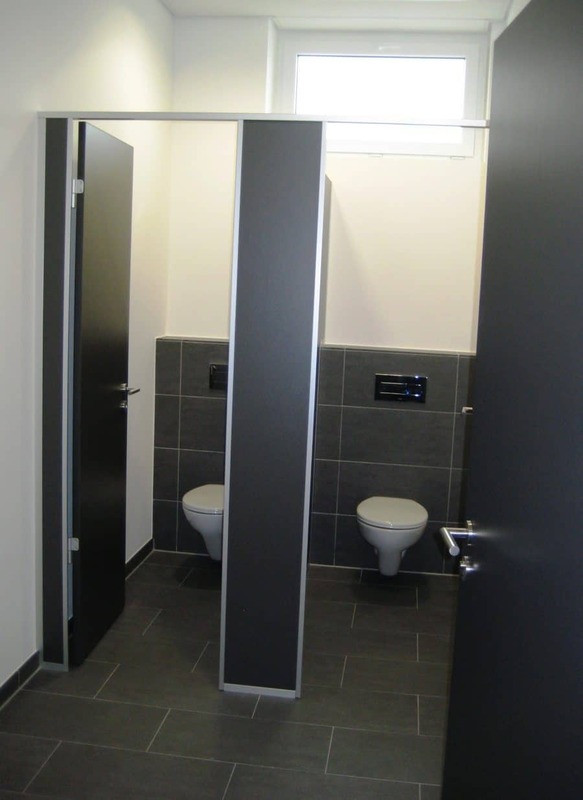 With these two rental contracts the last available space was rented. Opening of the location of our tenant AKASOL in the MULTIPARK Langen with a visit from the Hessian Minister of Economic affairs Tarek Al-Wazir. 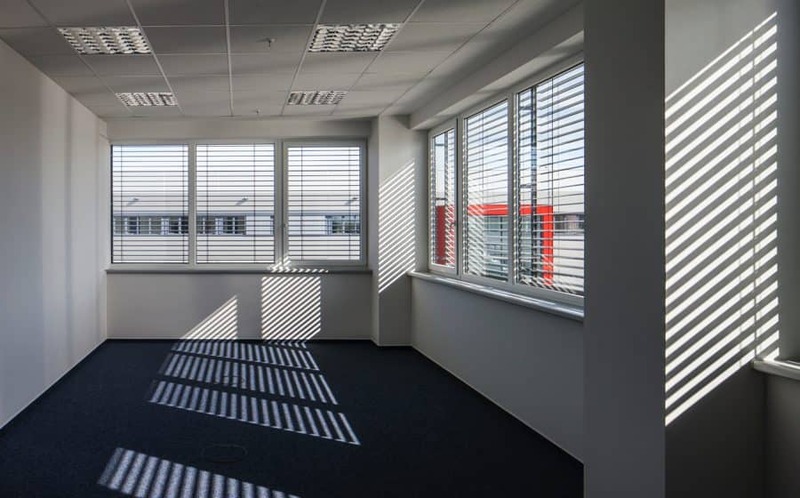 Completion of the rental contract with the company Clarus Films GmbH from Dietzenbach, Europe's largest independent supplier of highly transparent packaging films, for the property in Albert-Einstein-Strasse in Dietzenbach. 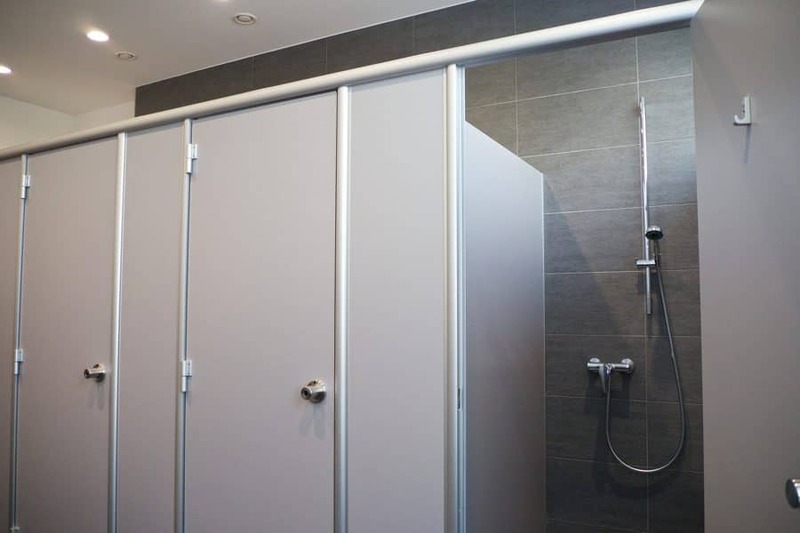 The rental area comprises approx. 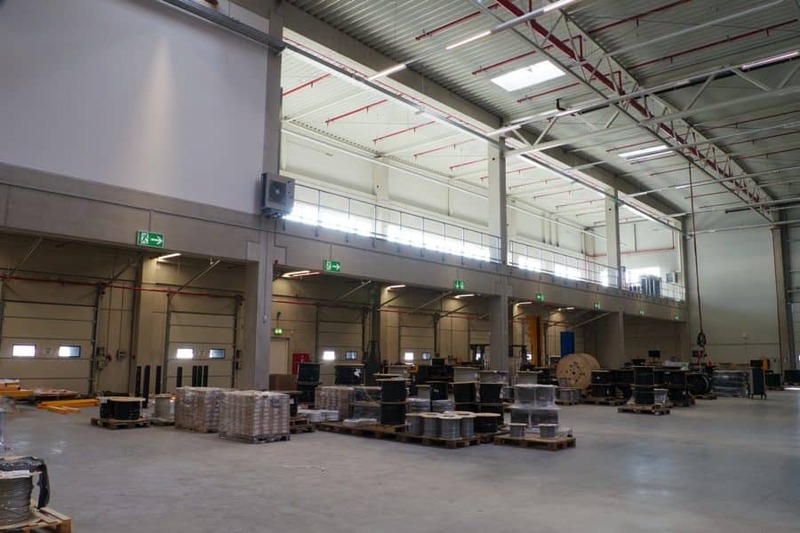 9,700 m² of hall space, about 2,600 m² of production area and approx. 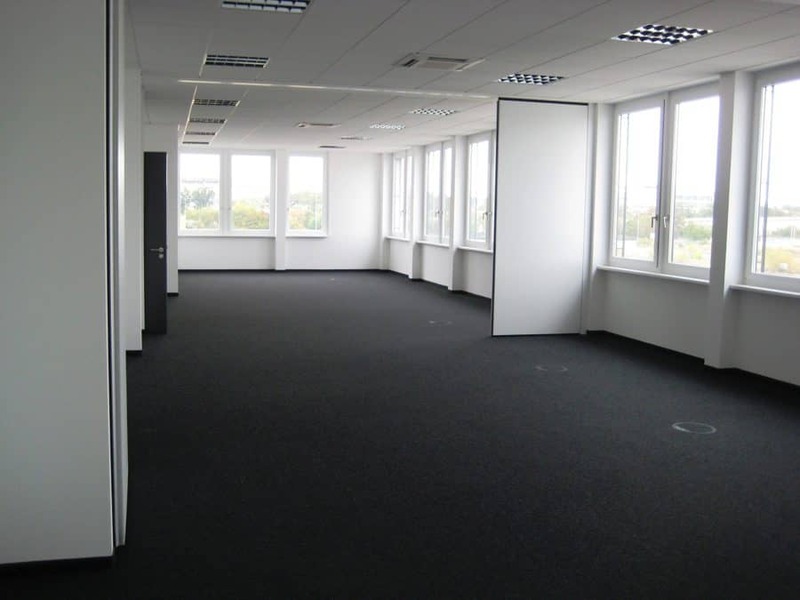 1,500 m² of office space. 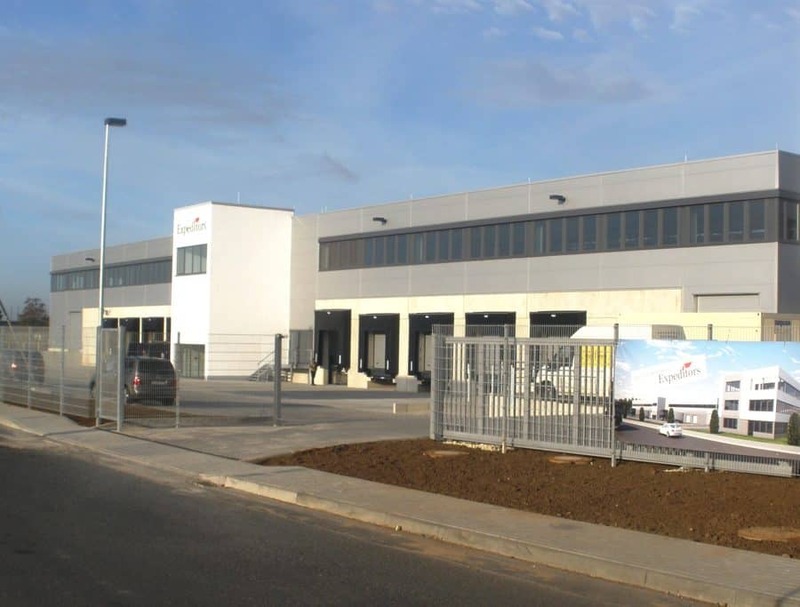 Completion of the third rental contract with the company First Class Zollservice, partner for transport, air cargo security as well as import, export and customs clearance issues, in the MULTIPARK Mönchhof, 8th construction unit. With the rental area of ​​approx. 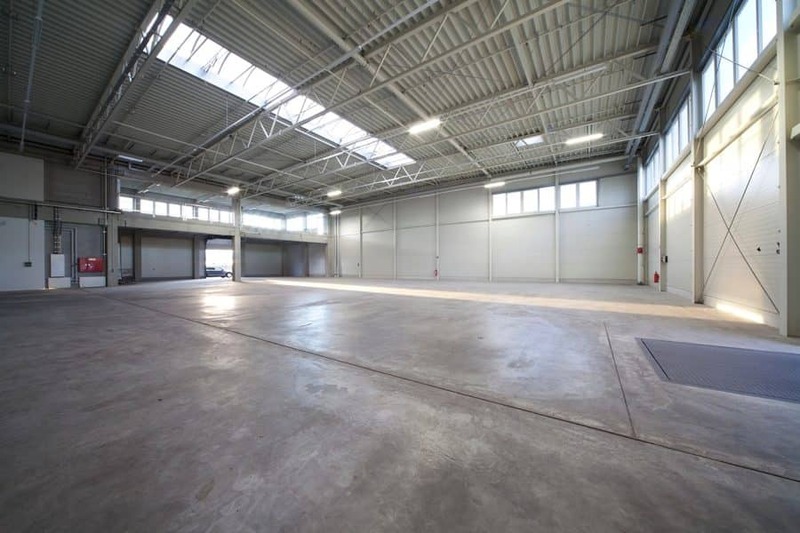 2,200 m² the last available space was rented. 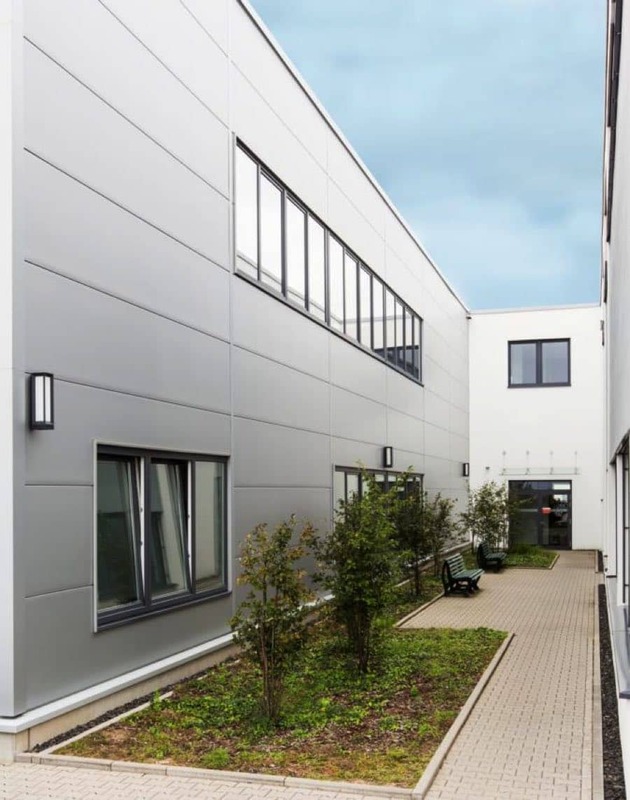 The 7th and 8th units of the sustainable MULITPARK Mönchhof receive the gold DGNB certificate. The last rental space of approx. 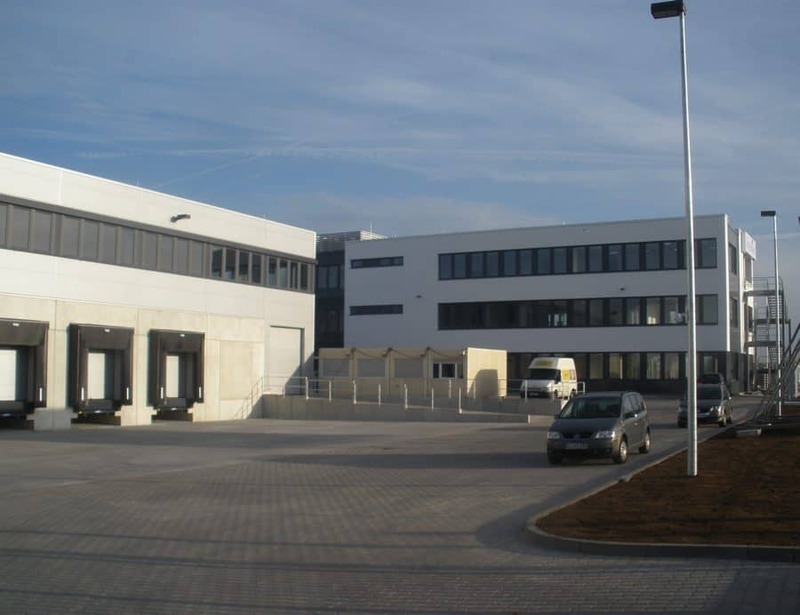 574 m² of the MULTIPARK Mini Olching - Munich West III was rented to the tenant aeditec Industrie- und Objektservice GmbH. 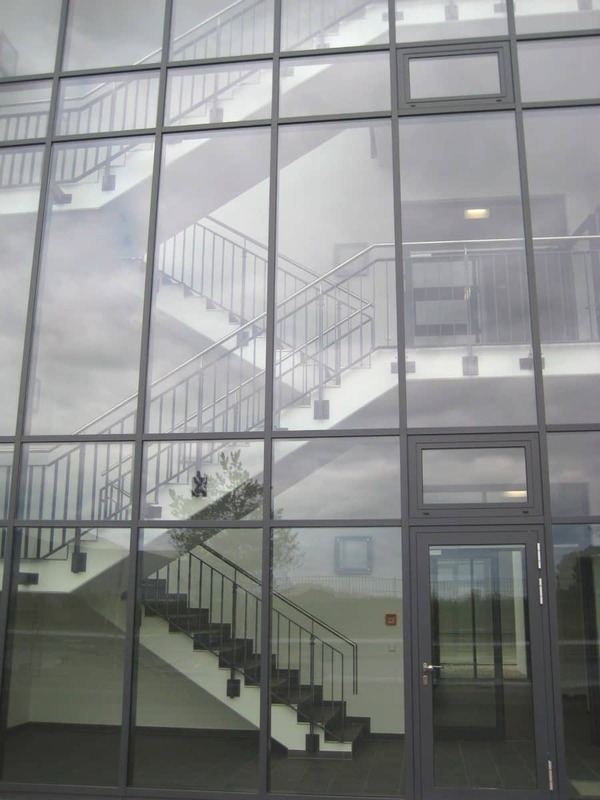 The company is a service provider for building equipment around windows, doors and gates. 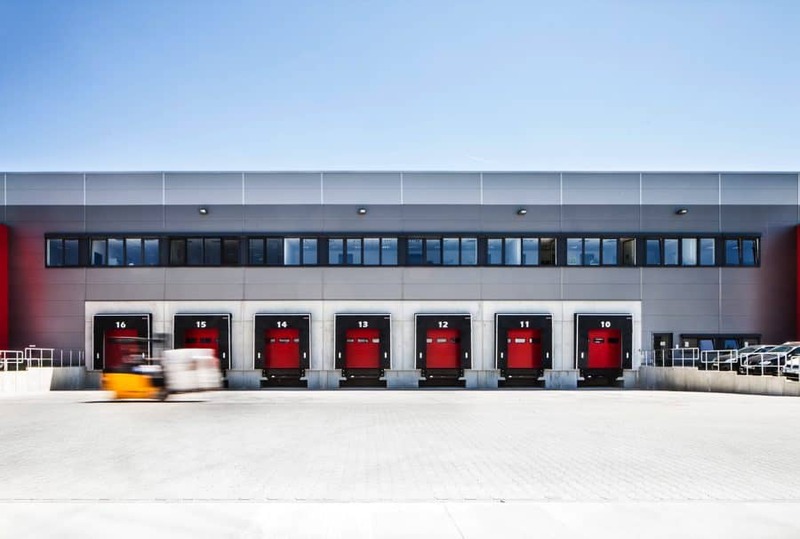 The first tenant moved into the MULTIPARK Olching Munich West IV by handover of the rental space of 6,817 m² to Bringmeister, subsidiary of EDEKA. 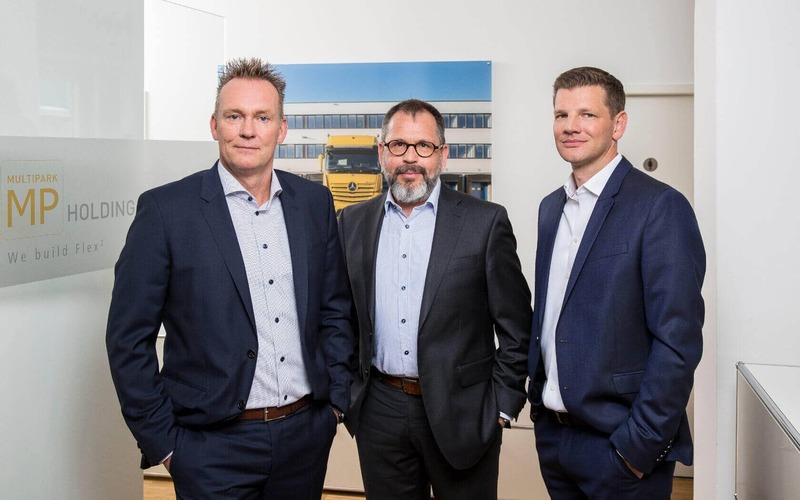 Joint venture between MP Holding and ISARKIES sells MULTIPARK Ginsheim-Gustavsburg to TH Real Estate and Palmira Capital Partners. 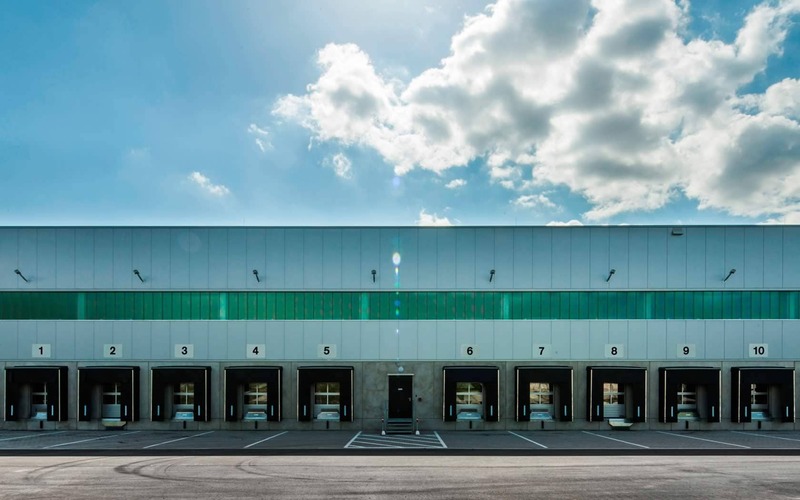 The location for refrigerated food logistics includes a warehouse with more than 10,000 m² of cold storage, almost 650 m² of mezzanine and 1,670 m² of office and social space. 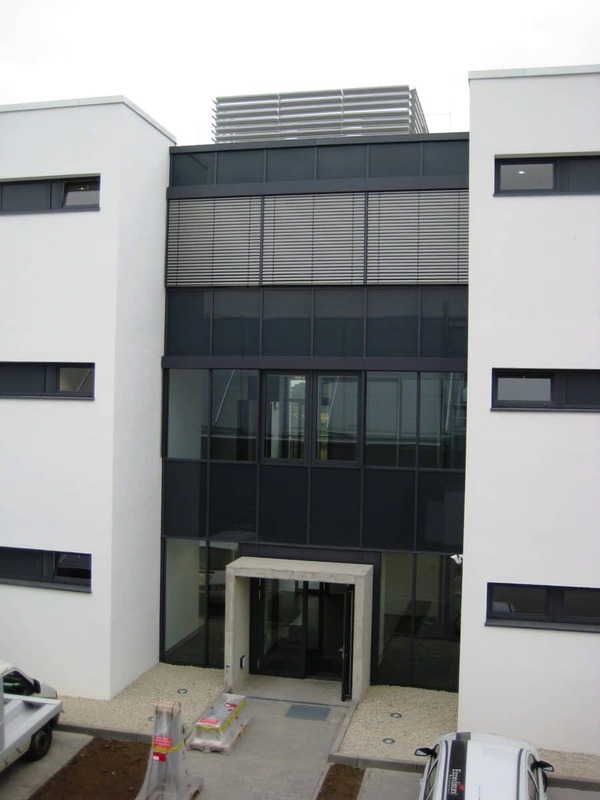 The main tenant is the company Balthasar Papp Internationale Lebensmittellogistik. Completion of the first two rental contracts for the eighth construction unit of the MULTIPARK Mönchhof: with a total area of ​​approx. 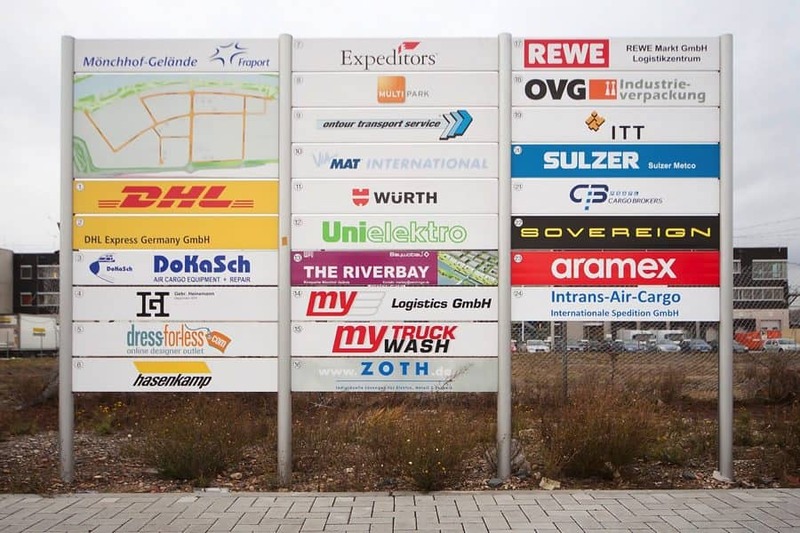 4,400 m², Transway Airfreight GmbH (about 3,300 m²) and Transway Internationale Speditions GmbH (about 1,100 m²) will move into the Mönchhof ground in Raunheim. The companies provide services in the airfreight and logistics industry for worldwide imports and exports. 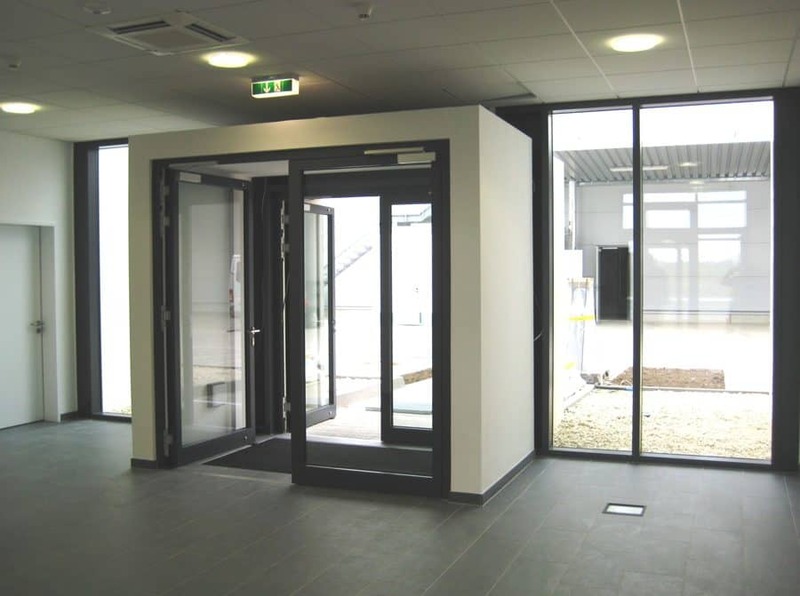 TTI construction ceremony for the expansion of the European Headquarter in Maisach. Additionally approx. 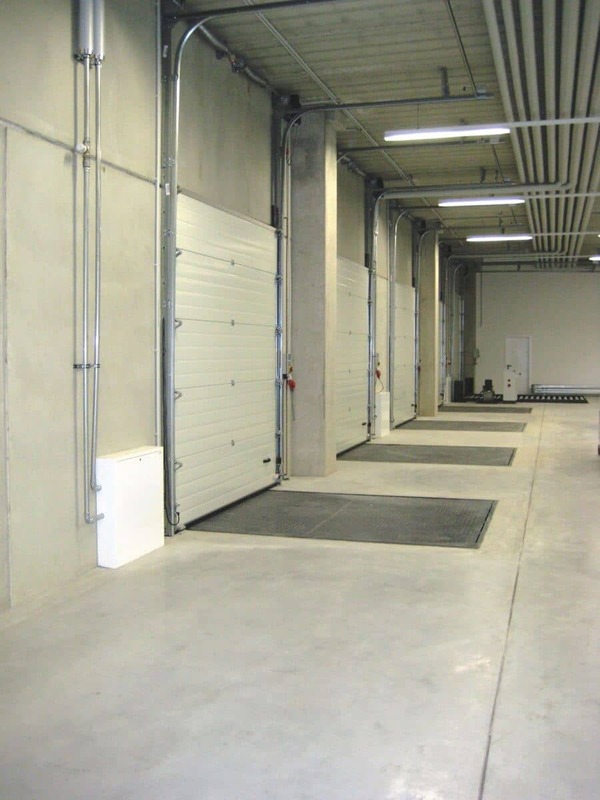 15,000 m² of storage area and technical levels as well as approx. 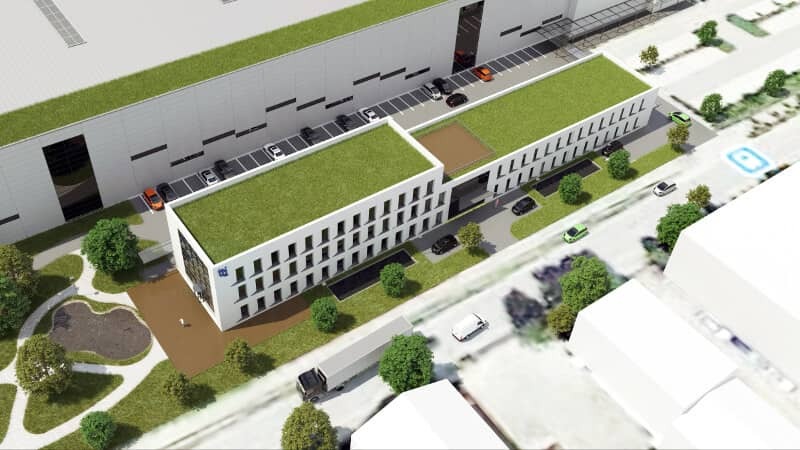 4,300 m² of office, social and transport space with 260 car parking spaces are built in the joint venture with Isarkies. Fraport and MP Holding celebrate the groundbreaking ceremony for the state-of-the-art logistics development M-Port³ with approx. 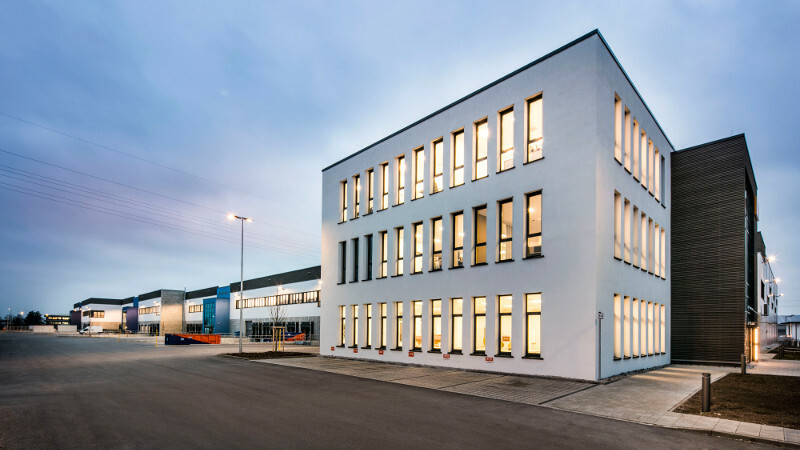 31,700 m² of hall and office space on the Mönchhof site in Kelsterbach. 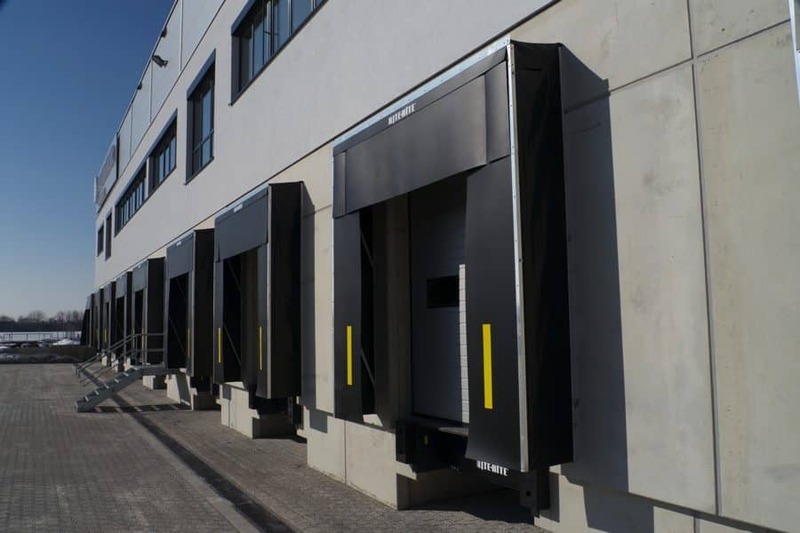 Transfer of the rental space in MULTIPARK Olching III to 4WHEELS Service GmbH, a nationwide specialist for wheel storage and service. 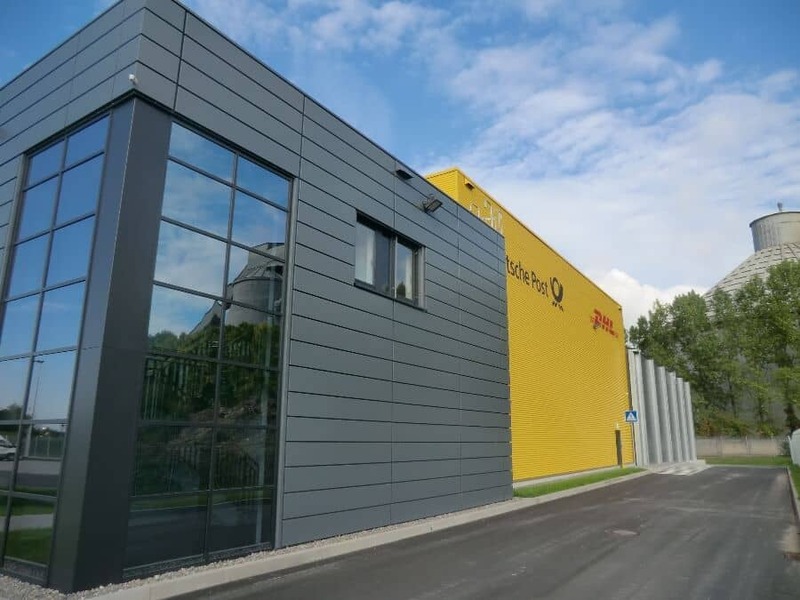 Transfer of rental space in MULTIPARK Olching III MINI to Linergy GmbH which offers comprehensive service and consulting services on the topics of lithium accumulators and drive technology. 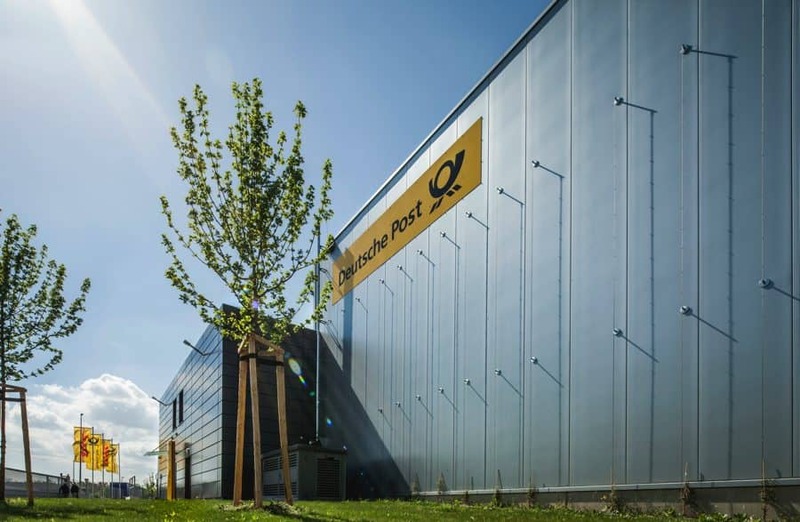 Transfer of the rental space in the MULTIPARK Olching III MINI to Metalog GmbH & Co. KG, which develops training tools and exercises that can be used flexibly both indoors and outdoors. 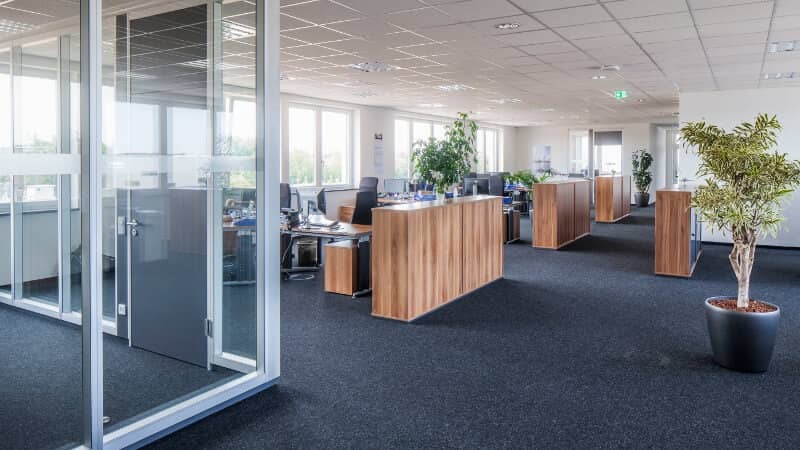 Transfer of the rental space in MULTIPARK Olching III MINI to TrendGo GmbH which is a versatile contact for ergonomic office chairs on the Internet. 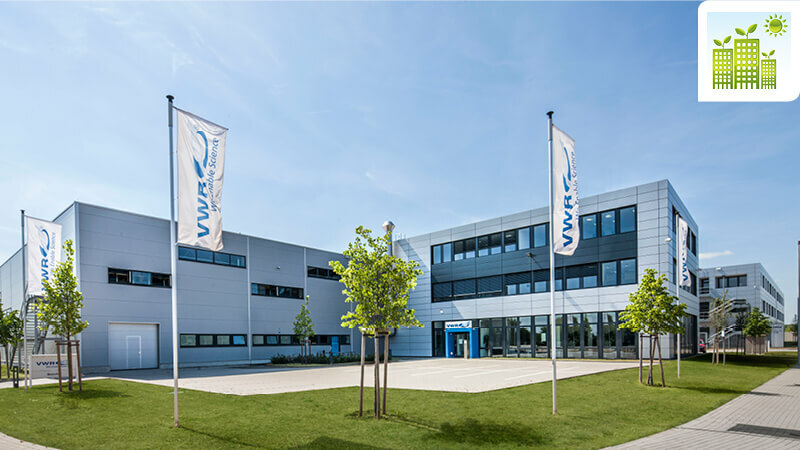 Transfer of the rental space in MULTIPARK Olching III (May 05, 2017) and MULTIPARK Olching III MINI (May 10, 2017) to Dr. Hönle AG which is one of the world's leading providers of industrial UV technologies. 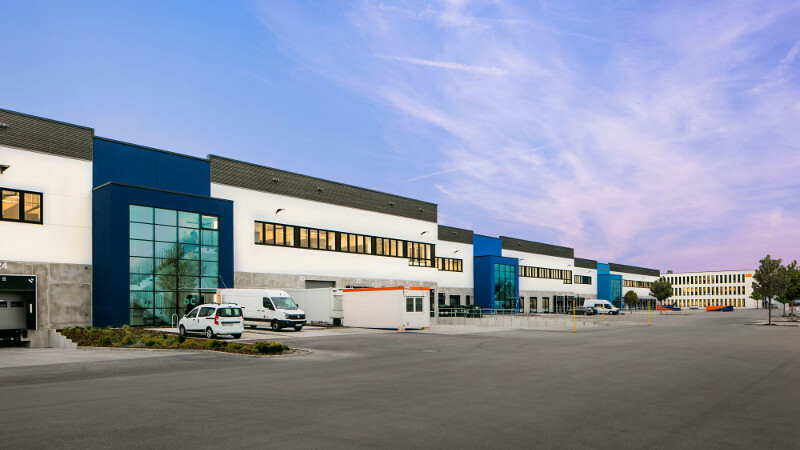 The joint venture between MP Holding GmbH and ISARKIES Wohn- und Gewerbegrund Holding GmbH sold the MULTIPARK Kirchheim-Heimstetten to CBRE Global Investors at the end of April this year. The transfer of ownership / benefits of the forward deal took place at the end of April. 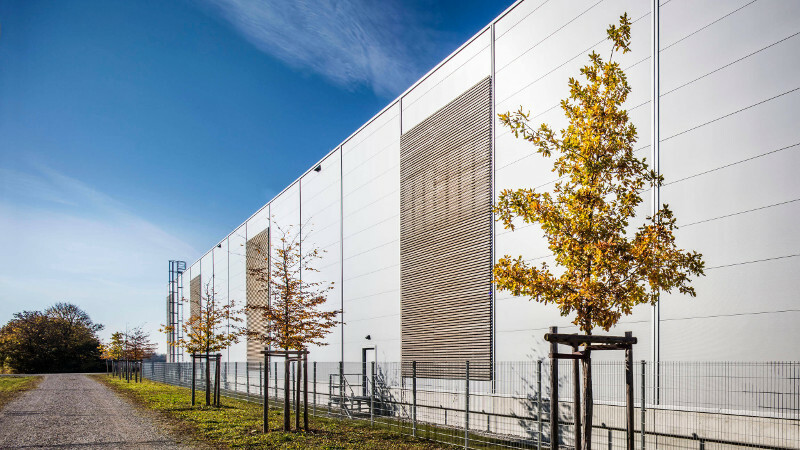 Completion of the fifth rental contract for the MULTIPARK Langen with AKASOL GmbH (approx. 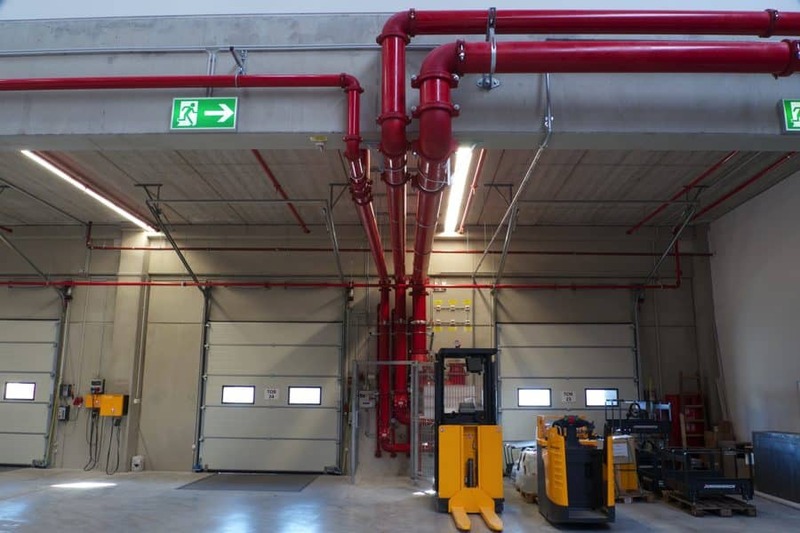 2,600 m² storage space and approx. 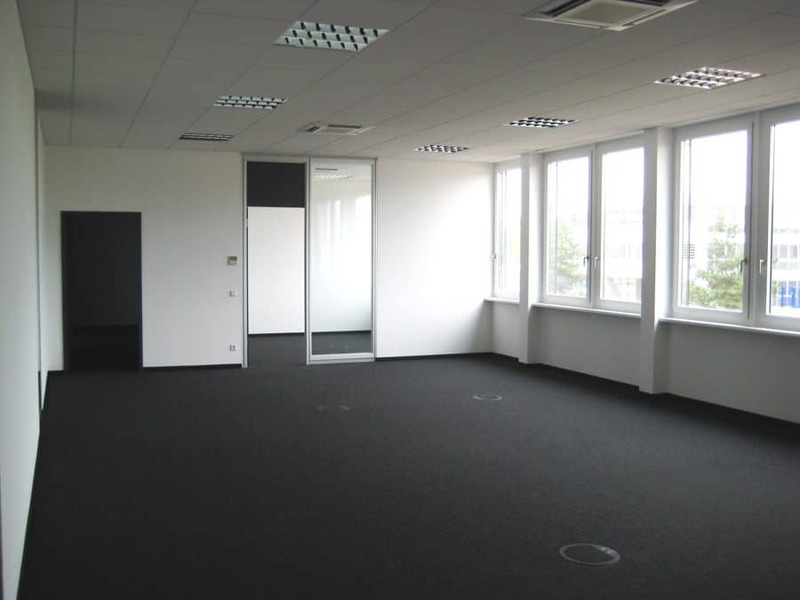 600 m² office space). 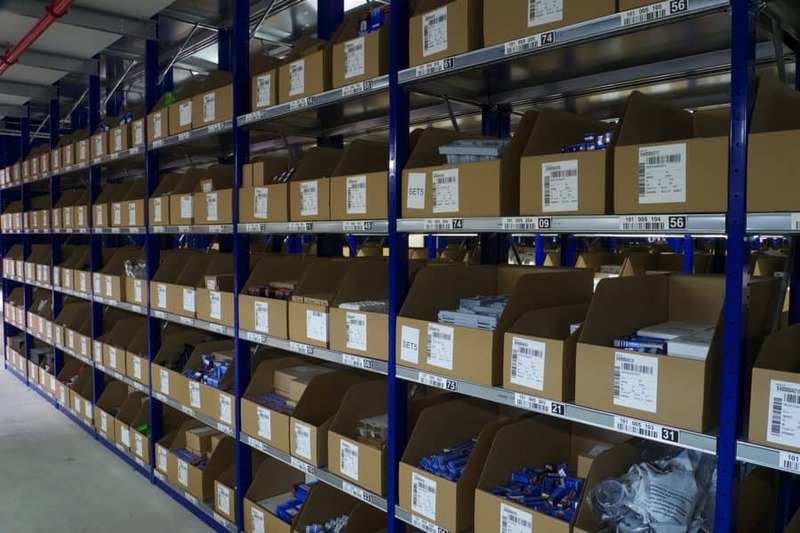 The company develops and manufactures battery systems for the automotive and commercial vehicle industry. 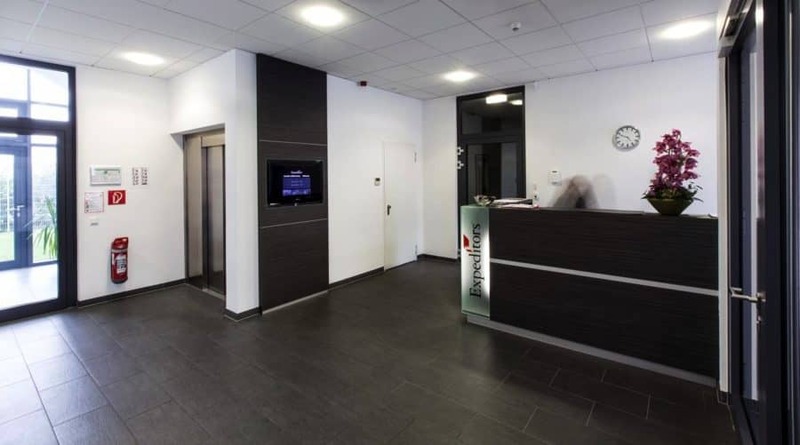 Immolox Frankfurt acted as intermediary. The intersection Pittlerstraße / Ampèrestraße / Raiffeisenstraße will be converted into a roundabout starting on February 20 and lasting for 4 months. The aim is to improve performance, to increase traffic safety and to provide accessibility to the sidewalks and bus stops. 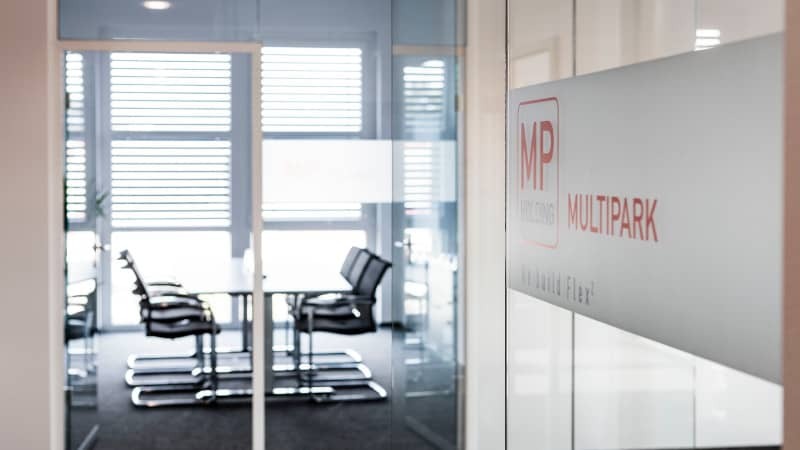 MP Holding GmbH, which has built the MULTIPARK, as well as future players in the technology park, are benefiting from the improvement in the traffic situation and are financing the whole project. The city is taking over the renovation of Raiffeisenstrasse. 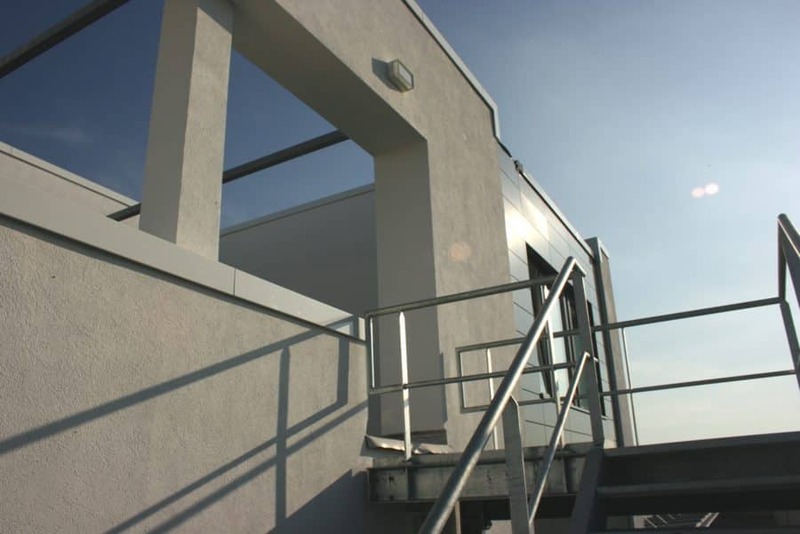 Partial transfer of the top floor of the European Headquarters TTI, Inc. 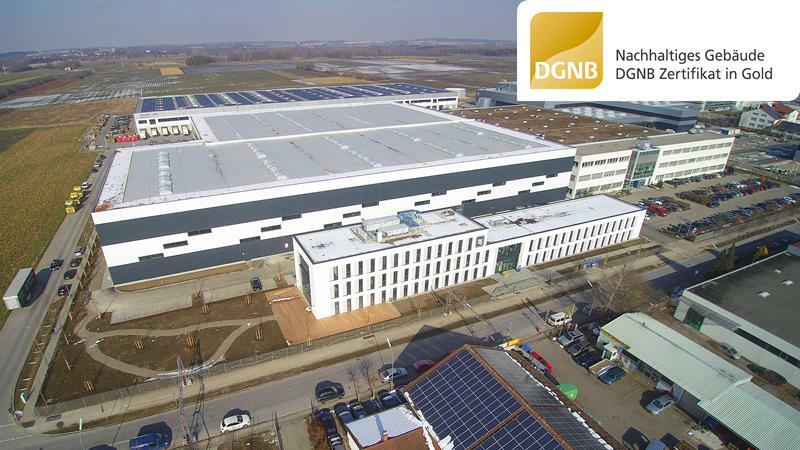 The 6th phase of the sustainable MULTIPARK Mönchhof receives the gold DGNB certificate. 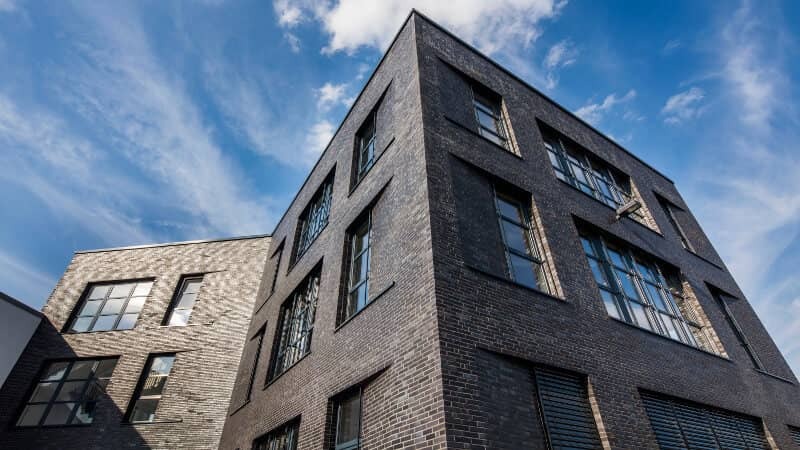 Joint venture between Fraport AG and MP Holding GmbH sells M-Port³ to Deka Immobilien. 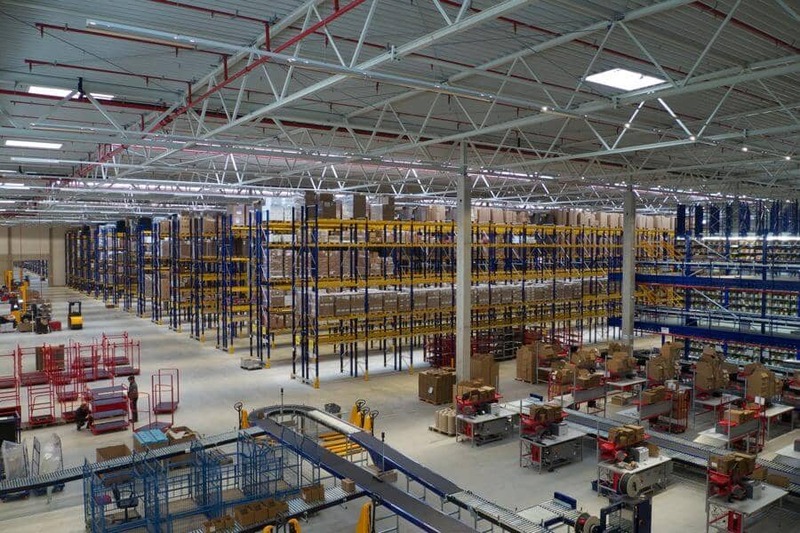 The result is a multifunctional logistics facility with a total area of 32,000 m², on an approx. 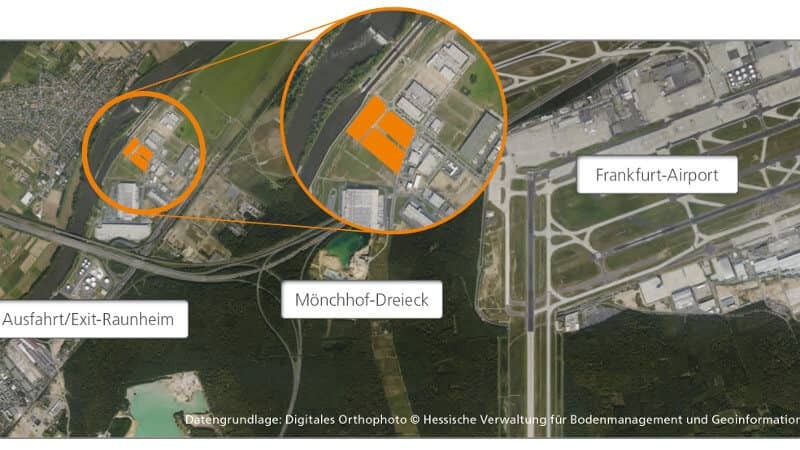 54,000 m² of land in the Mönchhof grounds in the immediate vicinity of the airport Frankfurt. 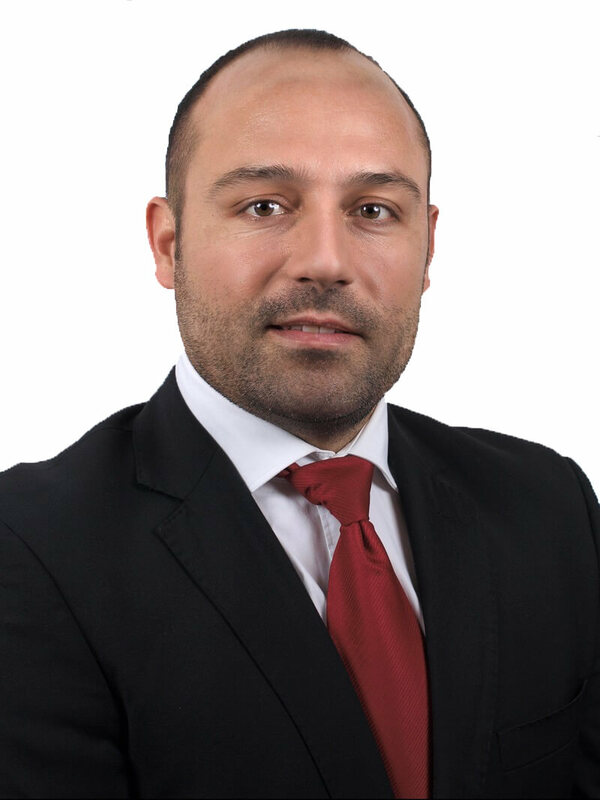 The 2017 BNP Paribas Real Estate - Property Report showed the floor-space turnover over the last four years. 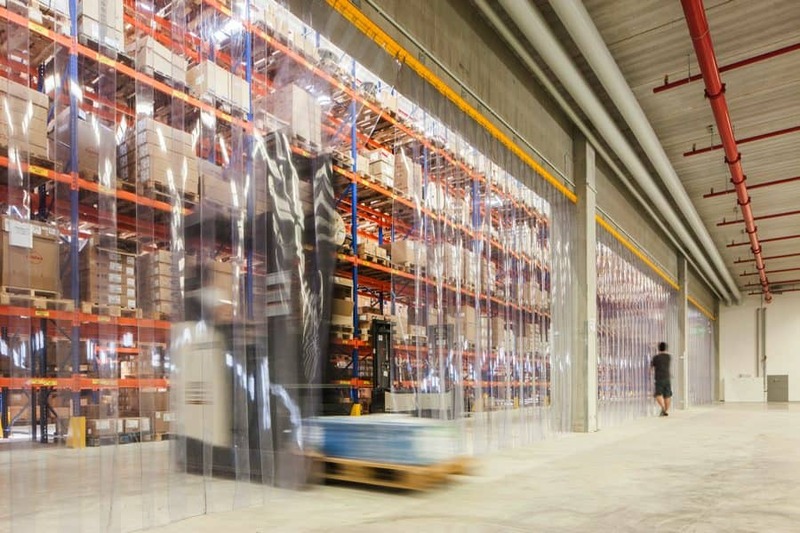 The logistics and warehouse space market, with 297,000 m², went up 23% compared to the previous year. 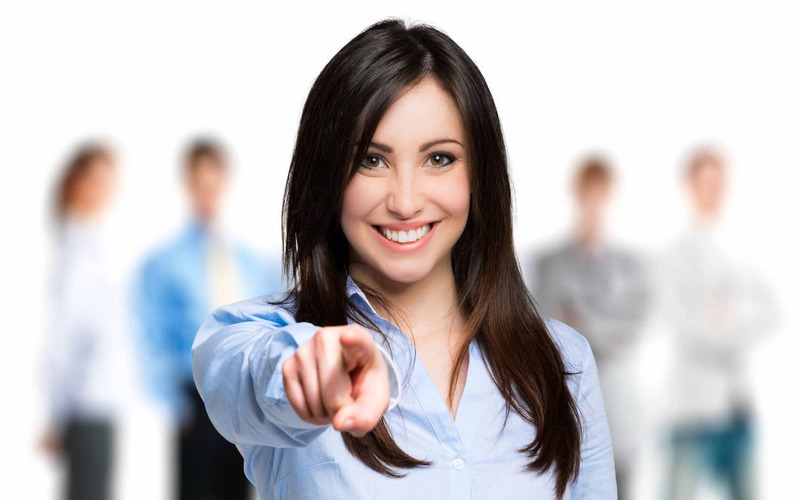 One of the largest contracts was mytheresa.com GmbH`s approx. 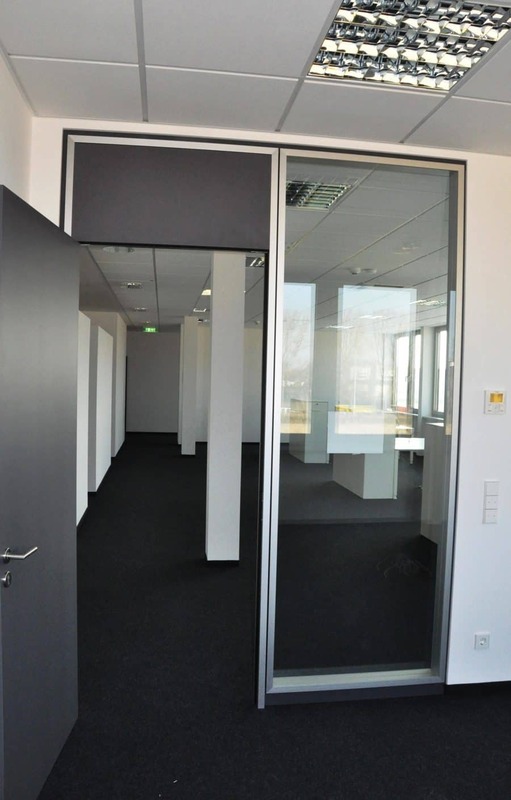 16,000 m² in Kirchheim. Business breakfast at the MULTIPARK Langen to present the construction project "New roundabout at the Pittlerstraße and reconstruction at the Raiffeisenstraße". Approx. 110 representatives from the city of Langen, economic promoters, local companies, city planners, the press, MP Holding and others were present. 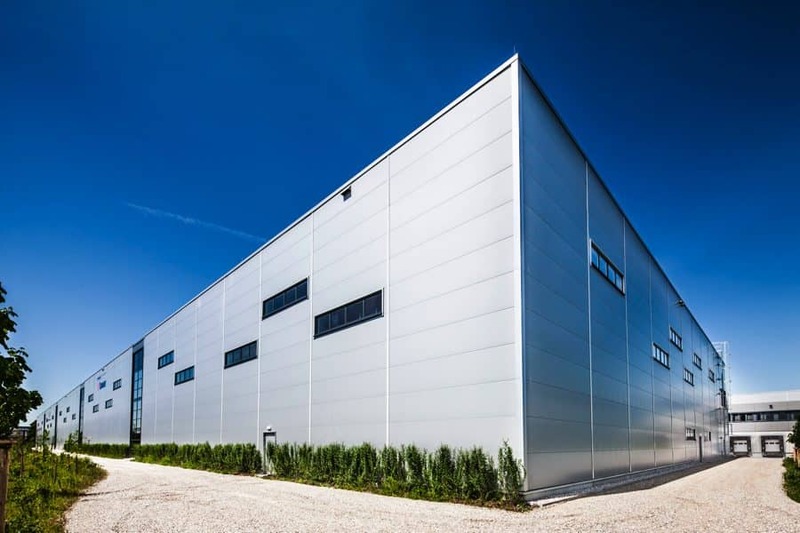 Conclusion of the second long term rental contract for MULTIPARK Olching - München West VI with Maytec Aluminium-Systemtechnik GmbH, a manufacturer of profile system (approx. 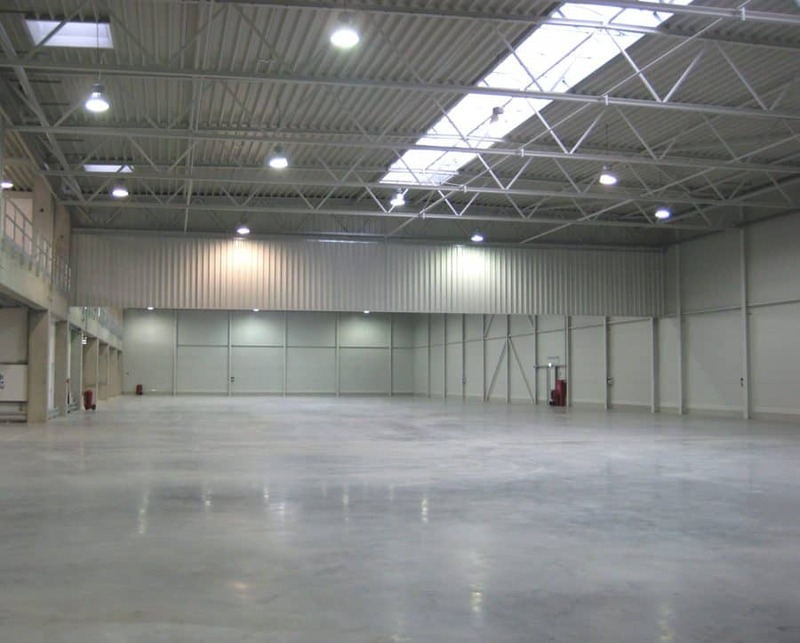 12,000m² warehouse and office space). With this approx. 55% of the total area of approx. 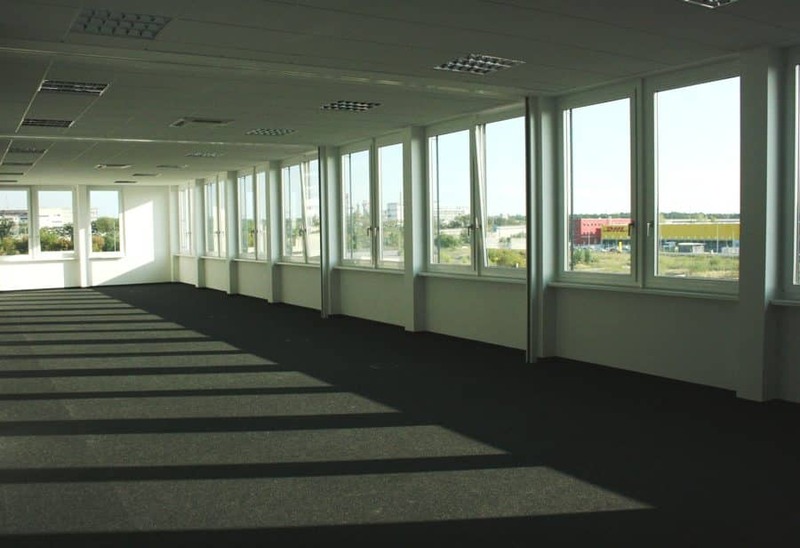 35,000 m², are already rented before the start of construction. 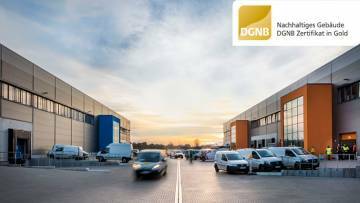 The sustainable MULTIPARK Langen receives the gold DGNB certificate. Topping out ceremony for the seventh and eight construction phase of the MULTIPARK Mönchhof in Raunheim. The MULTIPARK Olching - München West III, with approx. 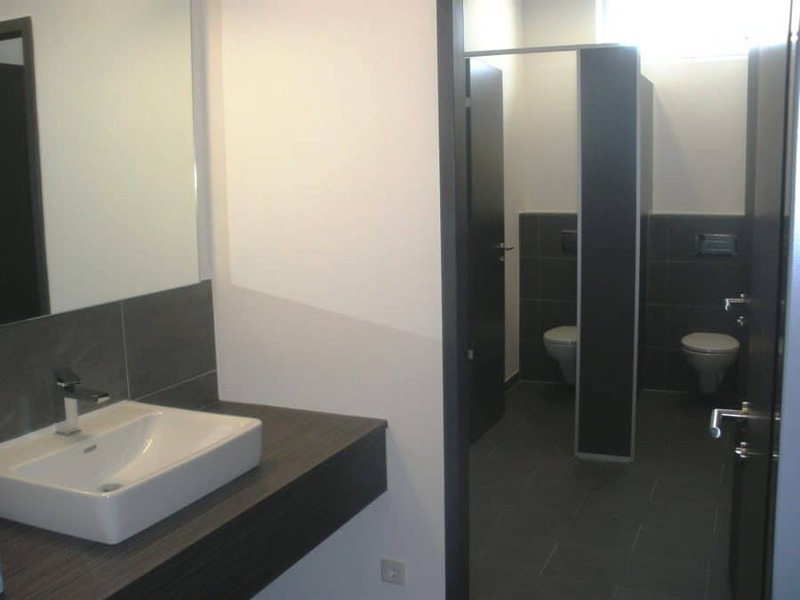 11,500 m² Rental area is fully rented. 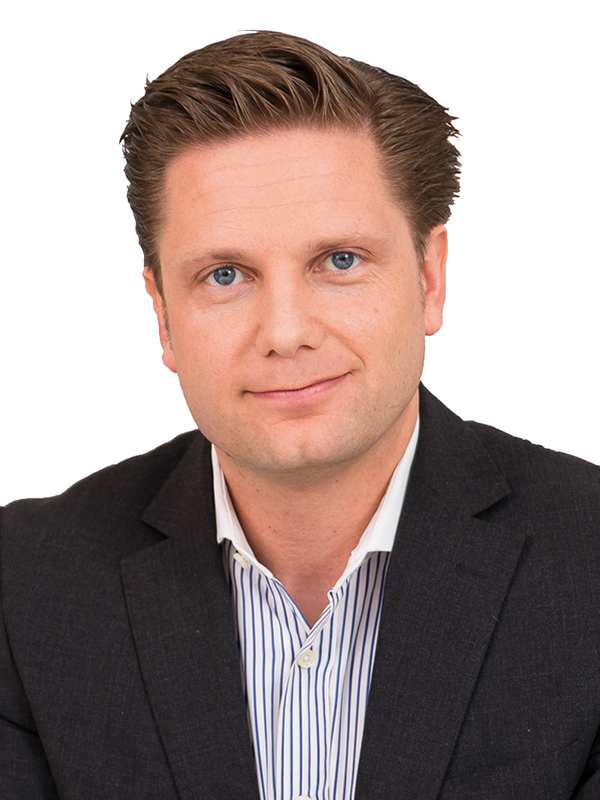 Hönle AG, a world leader in industrial UV technologies, has hired the last unit with approx. 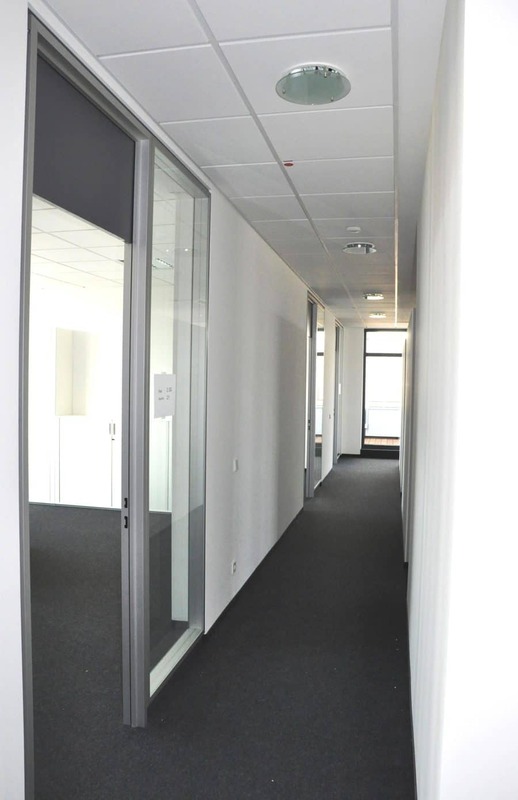 2,500m² of hall and office space. Dr. Hönle AG also rents approx. 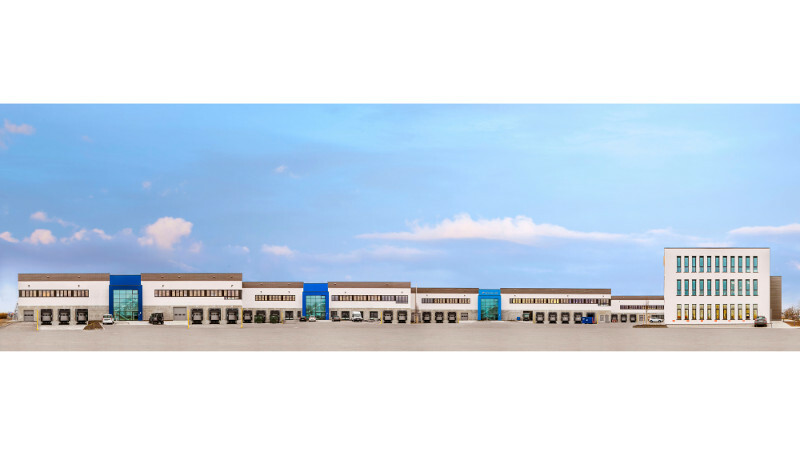 765m² of hall and gallery space as the second tenant in MULTIPARK MINI Olching – München West III. Shortly before completion of the MULTIPARK Kirchheim-Munich East, a construction site festival took place in a small circle. 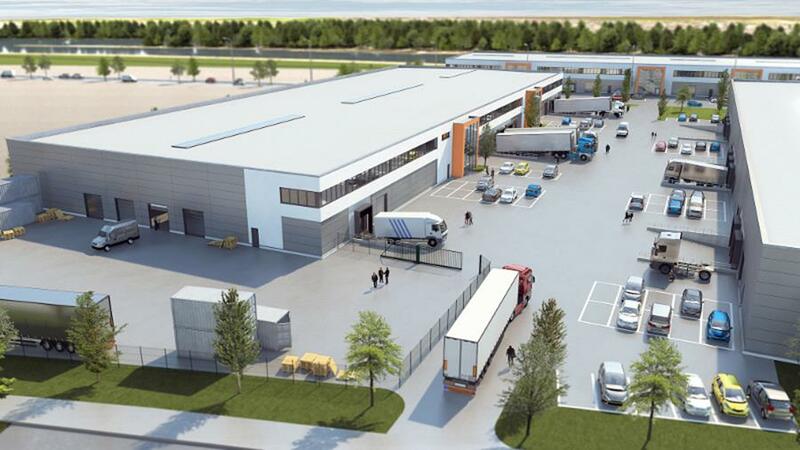 Start of construction for the Balthasar Papp Internationale Lebensmittellogistik KG warehouse in Ginsheim-Gutavsburg (approx. 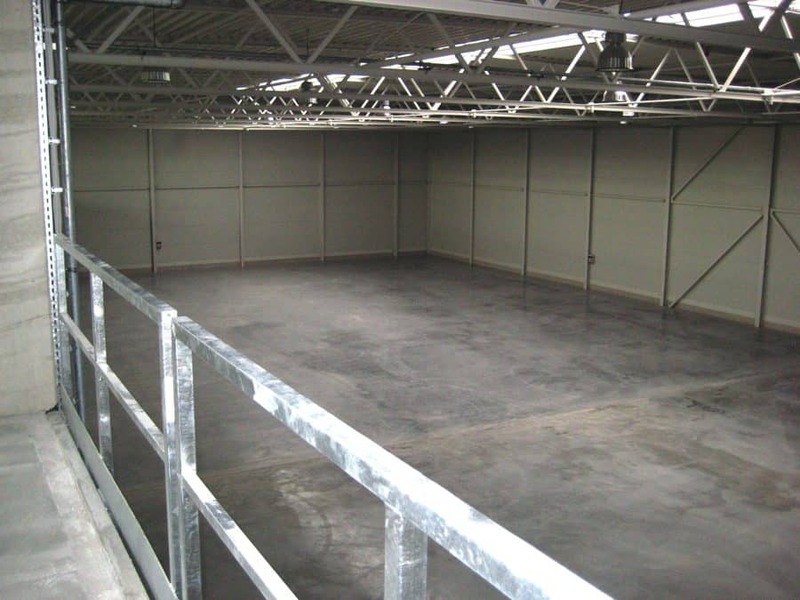 9.350 m² warehouse and office space). Completion is planed for the second quarter of 2017. As of November 26, 2016, the new owner of the 6th phase of the MULTIPARK Mönchhof is CBRE Global Investors. 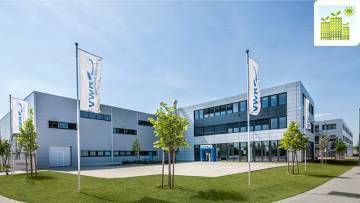 Sale of the logistics facility for the Fruitimport vanWylick GmbH in Olching. Change of ownership to HEITMANN took place on November 1, 2016. With completion of the 6th pase of the MULTIPARK Mönchhof a second was found, HLC Germany GmbH (approx. 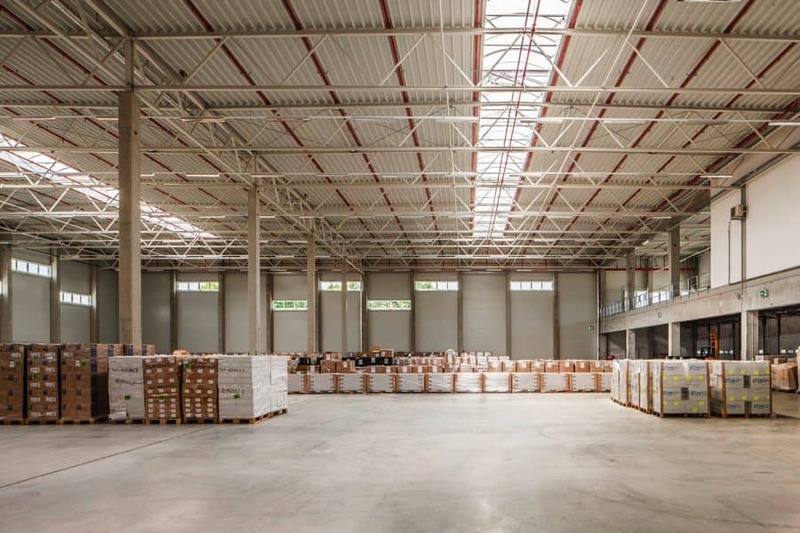 1,500 m² warehouse and office space). Currently there are still approx. 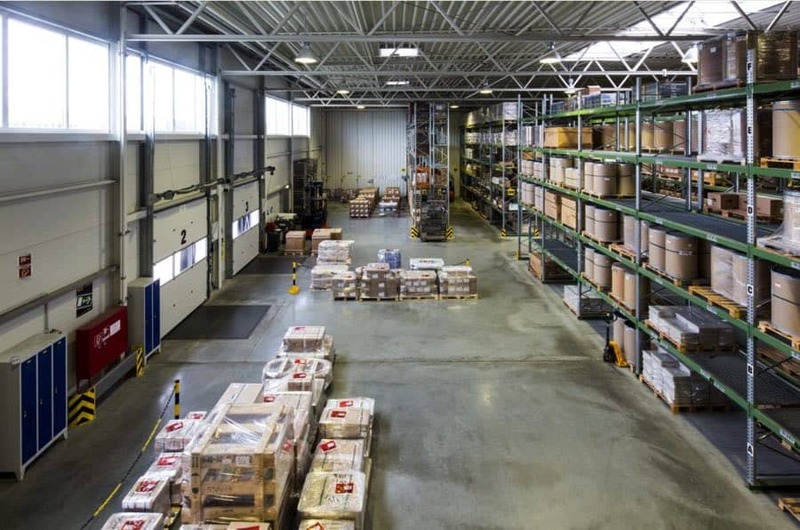 3,200 m² warehouse and approx. 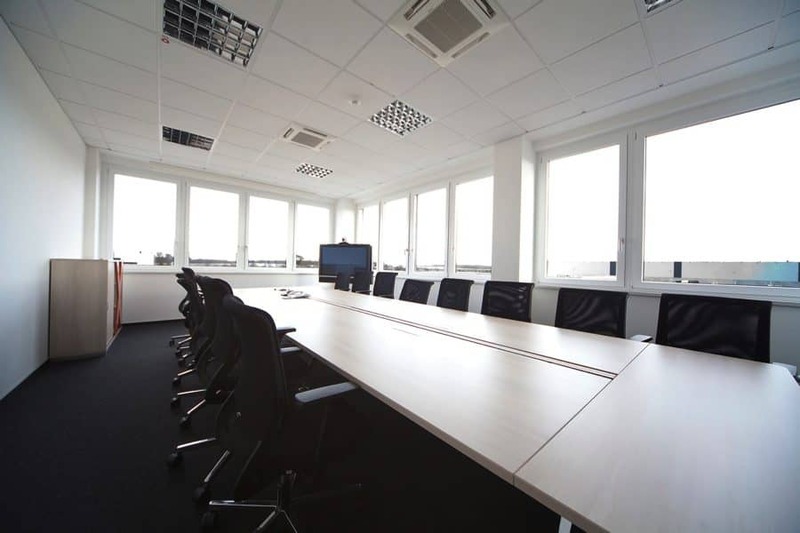 400 office space available in this building. Before starting construction, conclusion of the first lease contract for the MULTIPARK Olching - Munich West IV with a national company (approx. 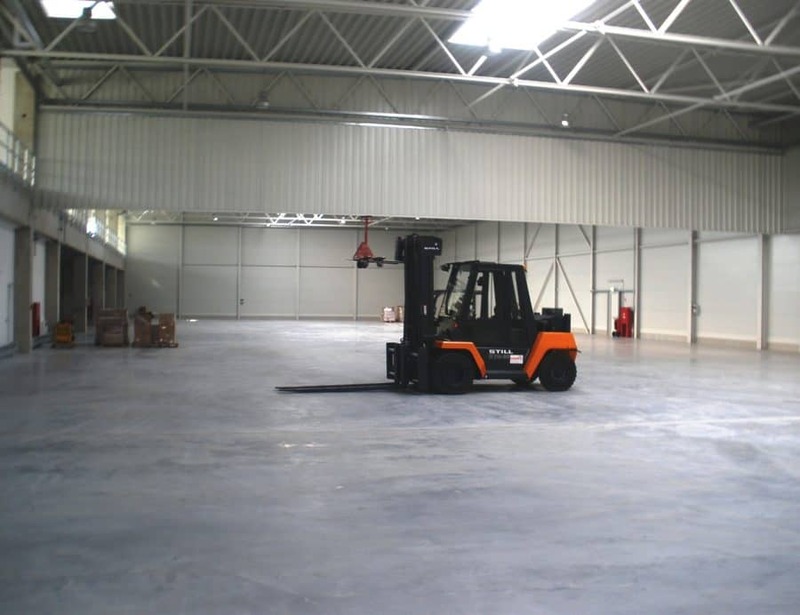 6,800 m² warehouse and office space). 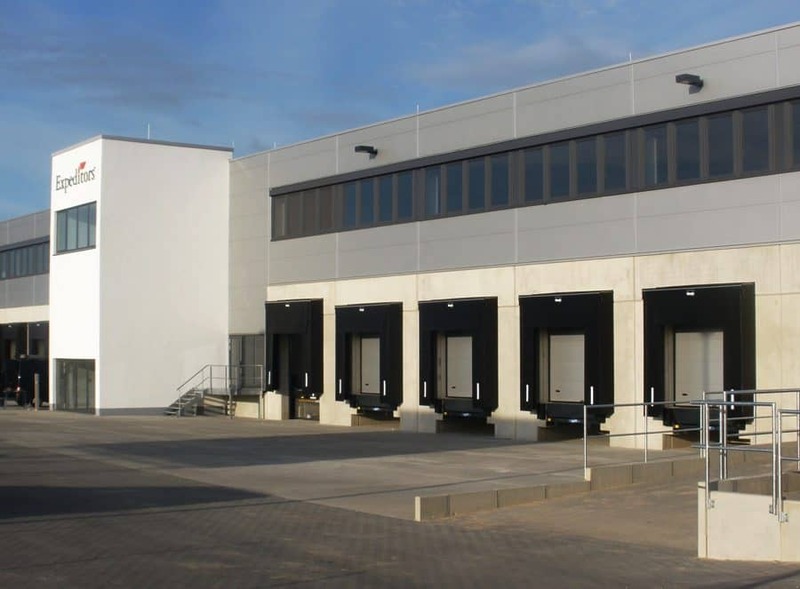 Conslusion of a long term rental contract with Balthasar Papp Internationale Lebensmittellogistik KG, to build a warehouse in Ginsheim-Gustavsburg (ca. 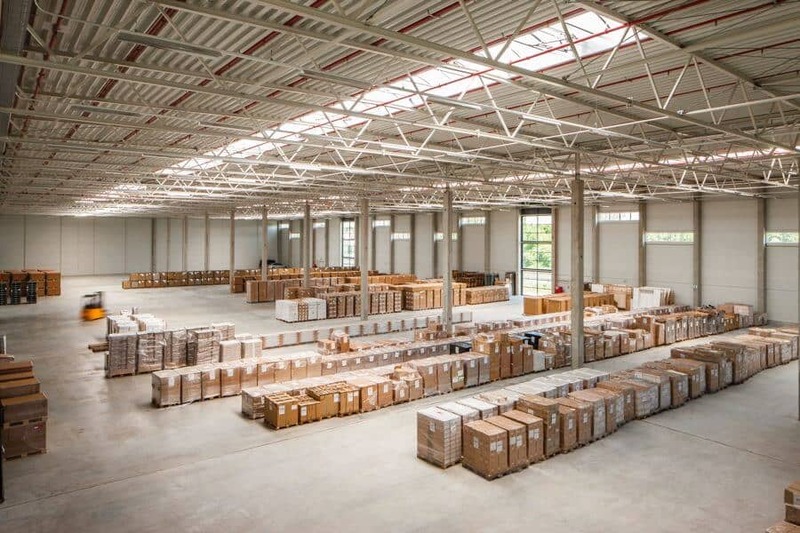 9,350 m² warehouse and office space). 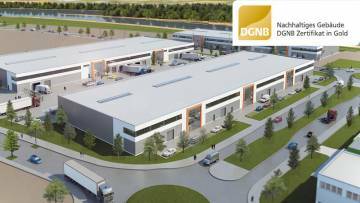 The building will be constructed on a 20,000 m² part of the in total 70,000 m² site, alongside the planed MULTIPARK Ginsheim-Gustavsburg. Start of construction for the MULTIPARK Ginsheim-Gustavsburg is planed for 2017. 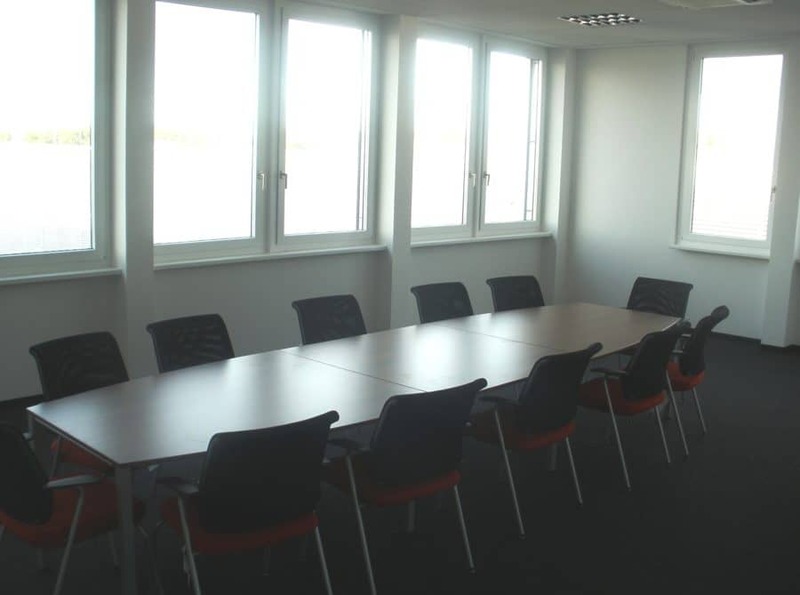 Hand-over of the rental space to Brainlab AG. 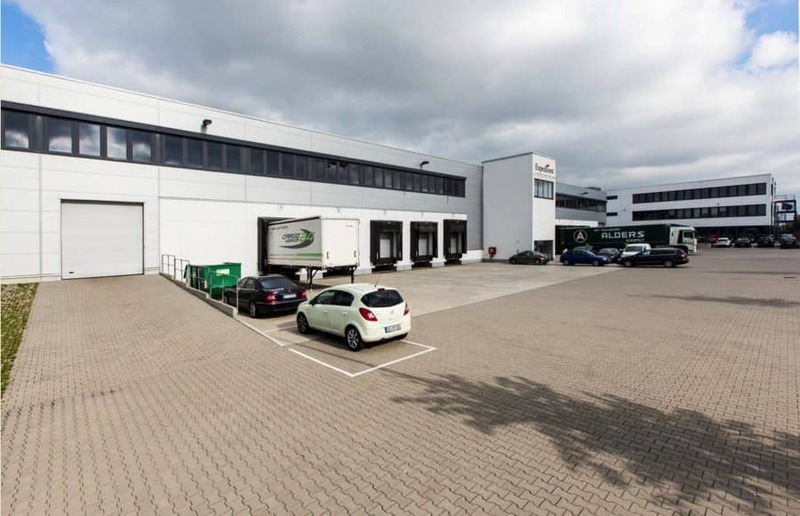 The company will move into MULTIPARK Kirchheim-Heimstetten premises in the coming days. 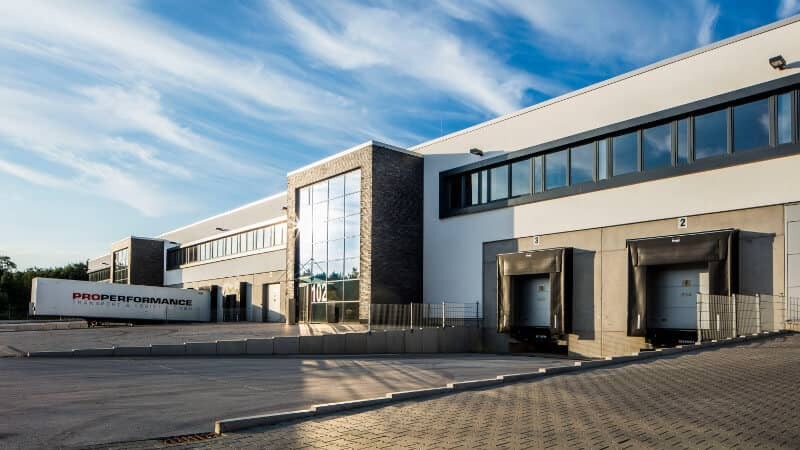 Closure of a joint venture between Fraport Real Estate Mönchhof GmbH & Co. KG and MP Holding GmbH. 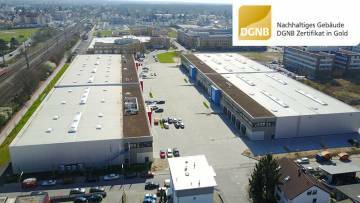 Simultaneous acquisition of approximately 100,000 m² of land on the Mönchhof site. 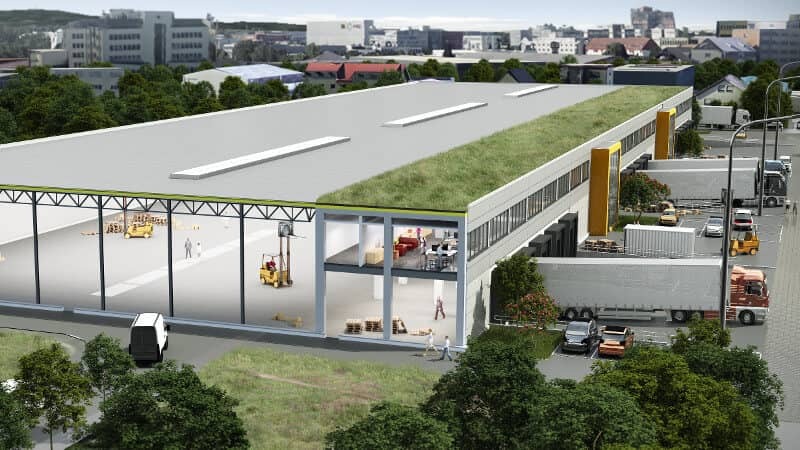 Under the name "M-Port³" approximately 53,000 m² of modern storage and office space will be created on the property. Before starting construction, conclusion of the first lease contract for the MULTIPARK Ginsheim-Gustavsburg with the Balthasar Papp Internationale Lebensmittellogistik KG (approx. 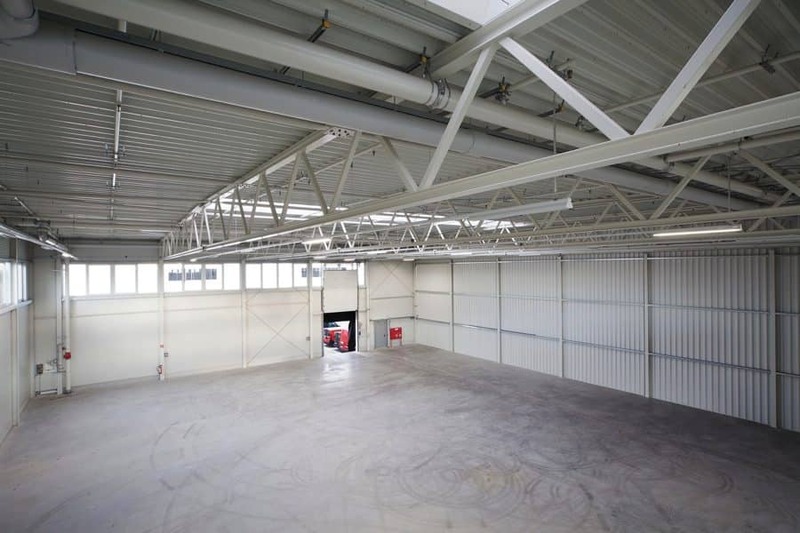 9,400 m² warehouse and office space). 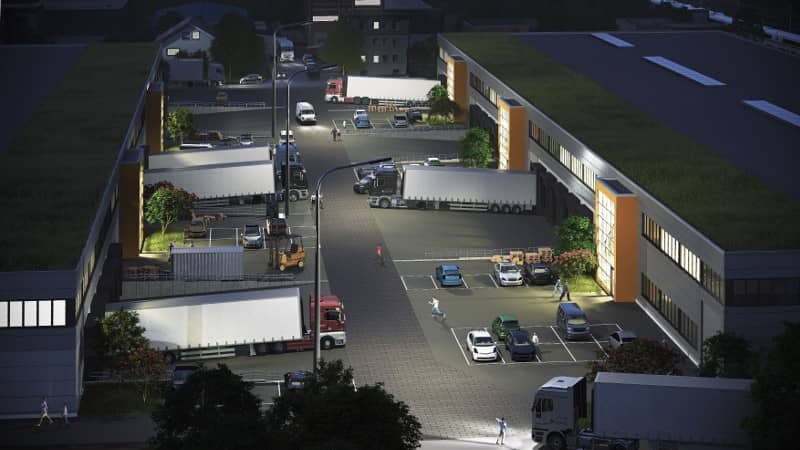 With start of construction, conclusion of the first lease contract for the MULTIPARK Olching - Munich West III with the 4WHEELS Services GmbH (approx. 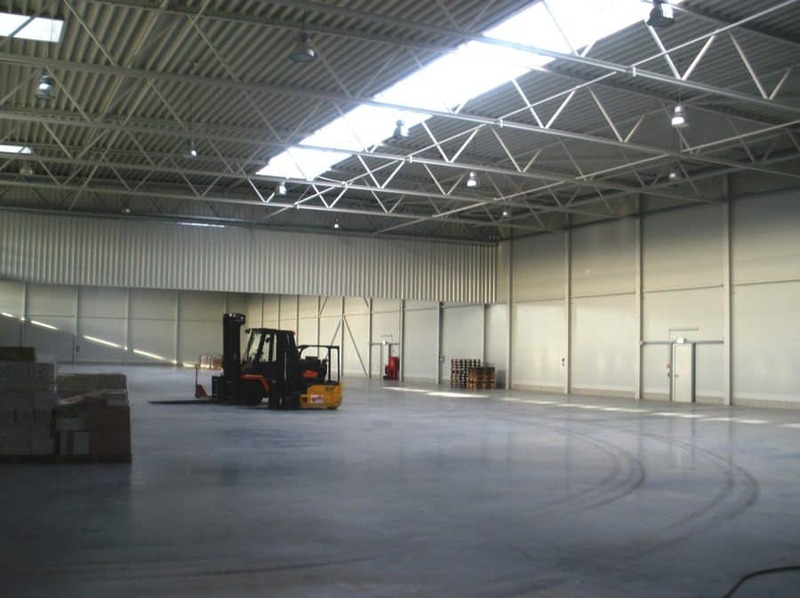 5,800 m² warehouse and office space). 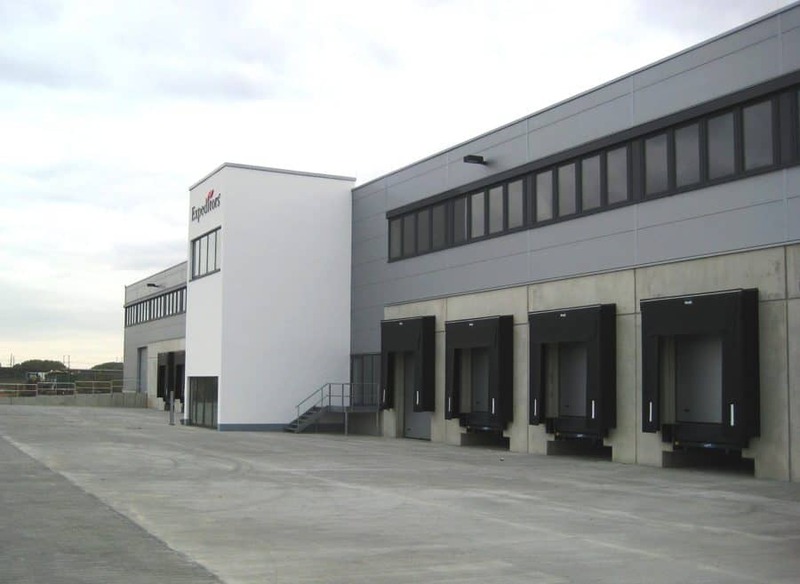 Hand-over of the logistics property of fruit importer vanWylick GmbH in the industrial park G-Park 471 in Olching. The company will move into premises in the coming days. 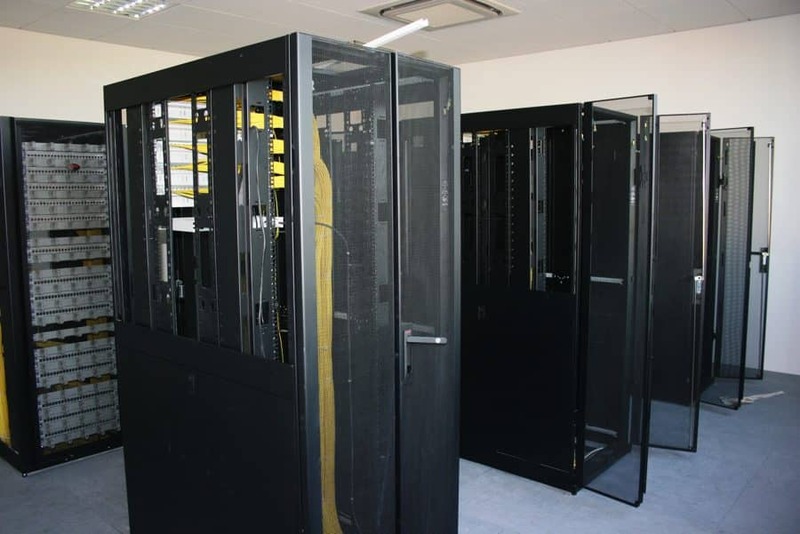 Hand-over of the rental space to TE Connectivity Germany GmbH. 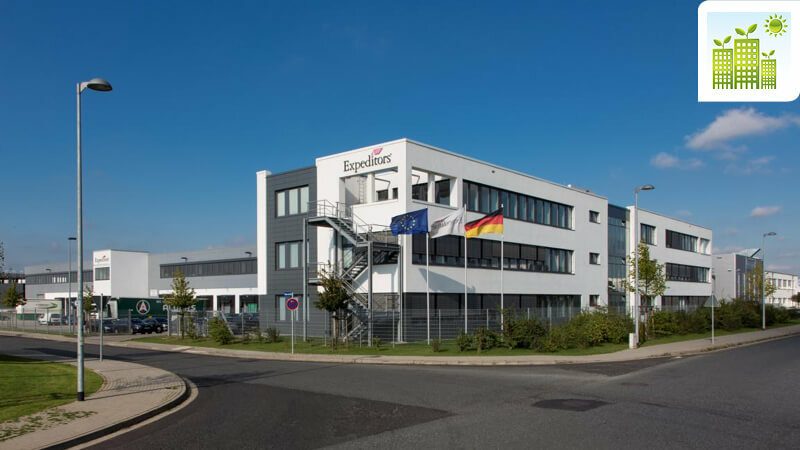 The company will move into MULTIPARK Kirchheim-Heimstetten premises in the coming days. 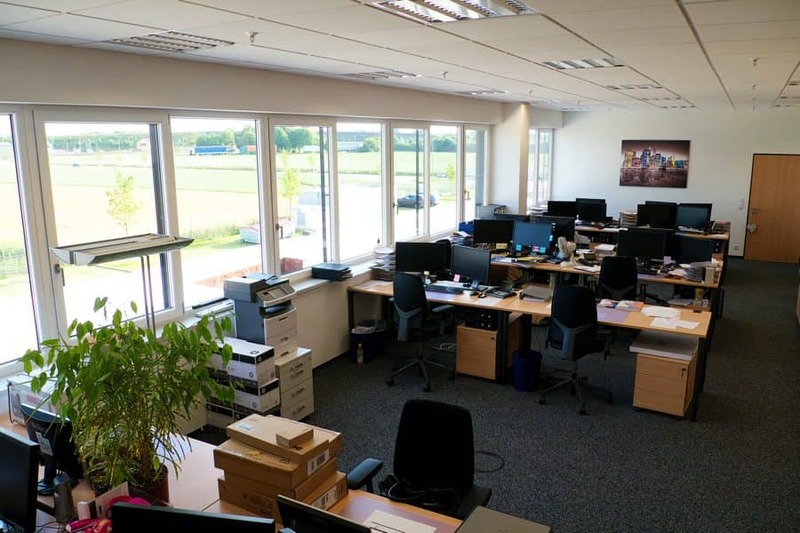 On August 1, 2016, the MP Holdings headquarter changed location from Langen to Neu-Isenburg. 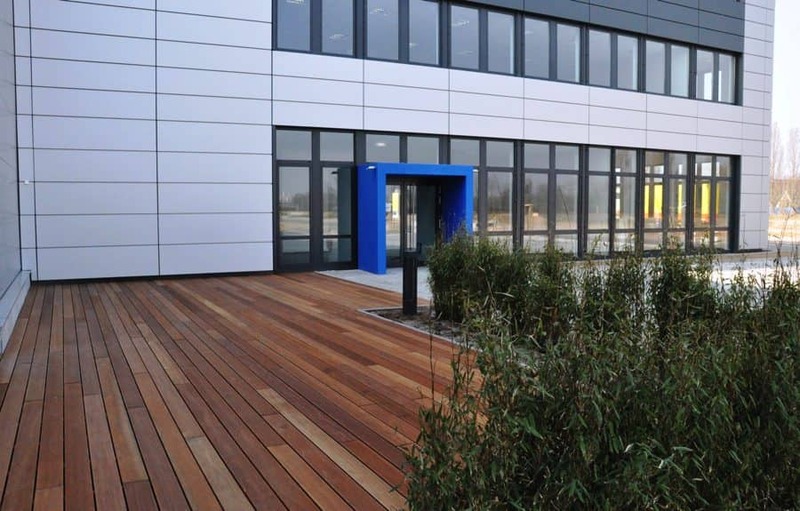 Employees have moved into the newly completed MULTIPARK Neu-Isenburg. 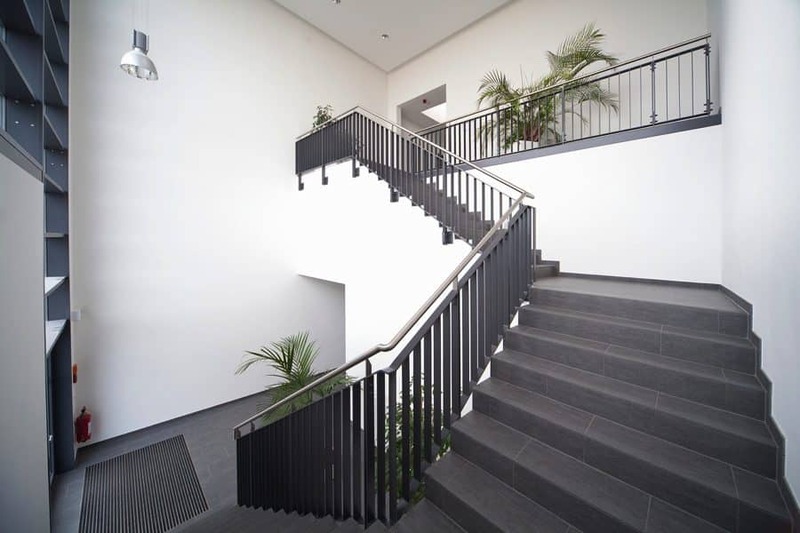 The new address is: An der Gehespitz 100, 63263 Neu-Isenburg. 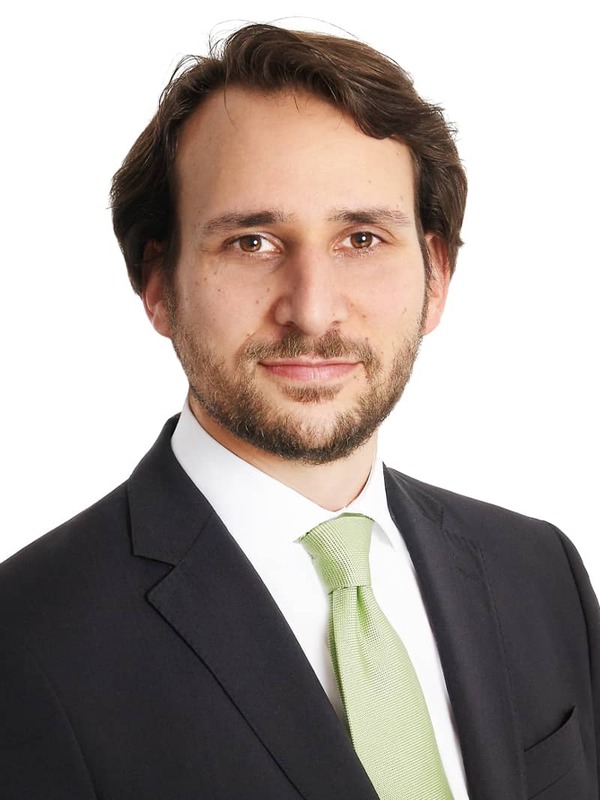 Effective July 7, 2016, the 35-year-old Jens Herbert took over the position of Managing Director and shareholder of planning and rent at the MP Holding GmbH. 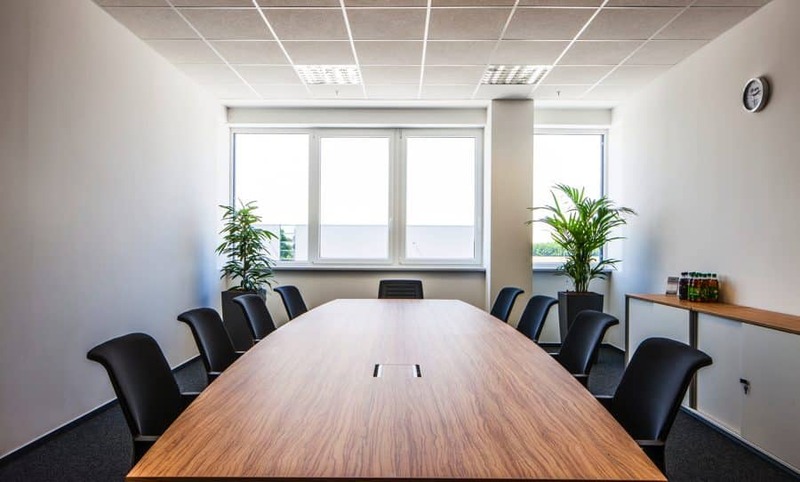 The real estate business administrator has many years of experience in the real estate industry and since 2008 worked in various positions for the management team of MP Holding. 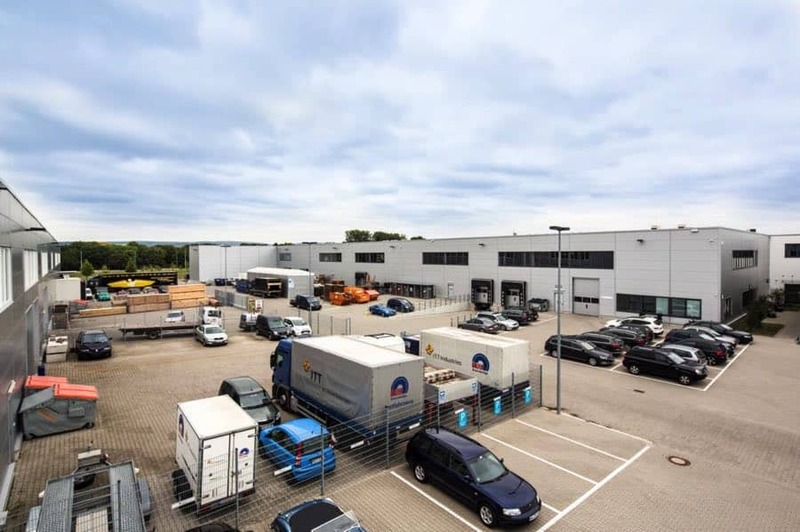 The Multi Park Pittlerstraße GmbH, which belongs to MP Holding Group, sold a 7,068m² site on Pittlerstraße/Raiffeisenstraße in 63225 Langen. 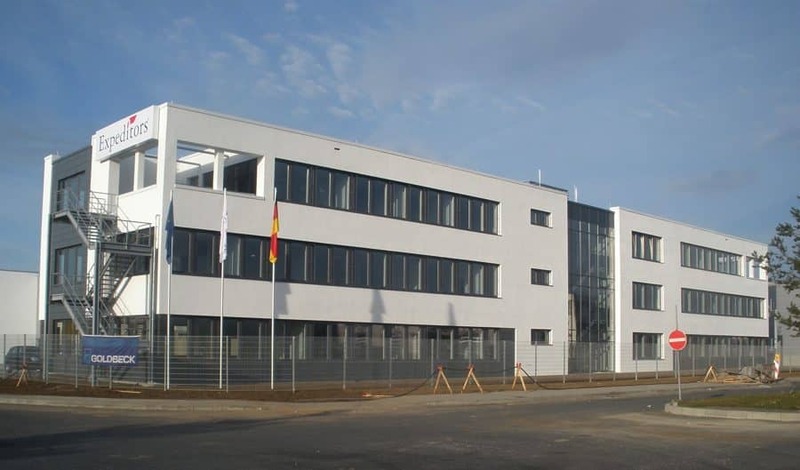 The new owner is the ERWEKA GmbH, an leading international producer of testing machines for the pharmaceutical industry. The transfer of ownership will take effect from the 1st of July this year. 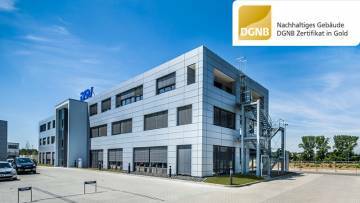 The sustainable MULTIPARK Olching II receives the gold DGNB certificate. 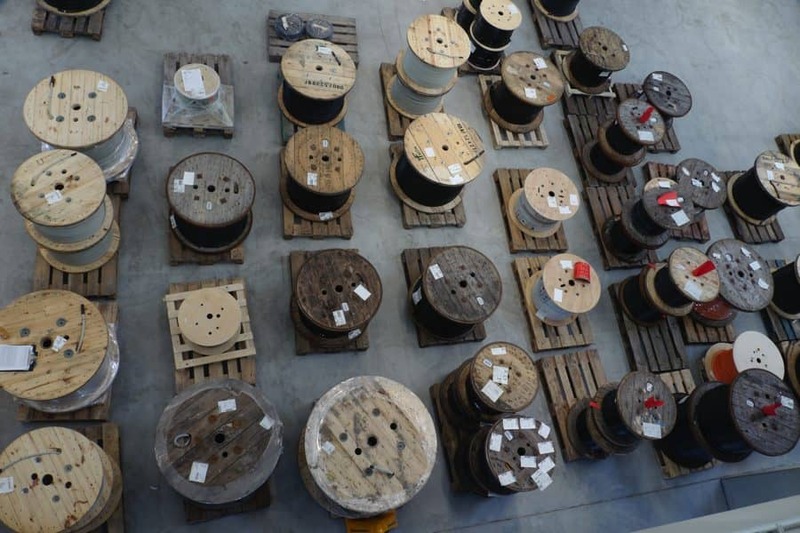 Conclusion of a long-term lease with the largest distributor of components TTI Inc., establishing a rd. 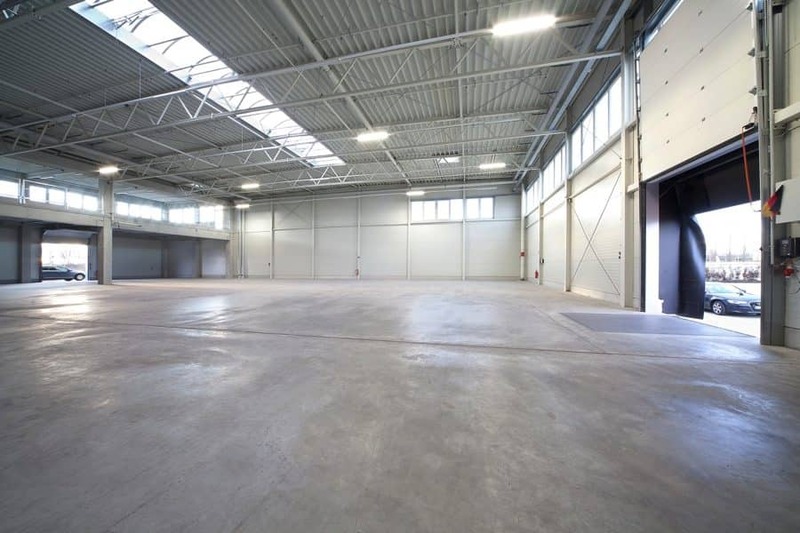 19.300m² large logistics property in Maisach (approx. 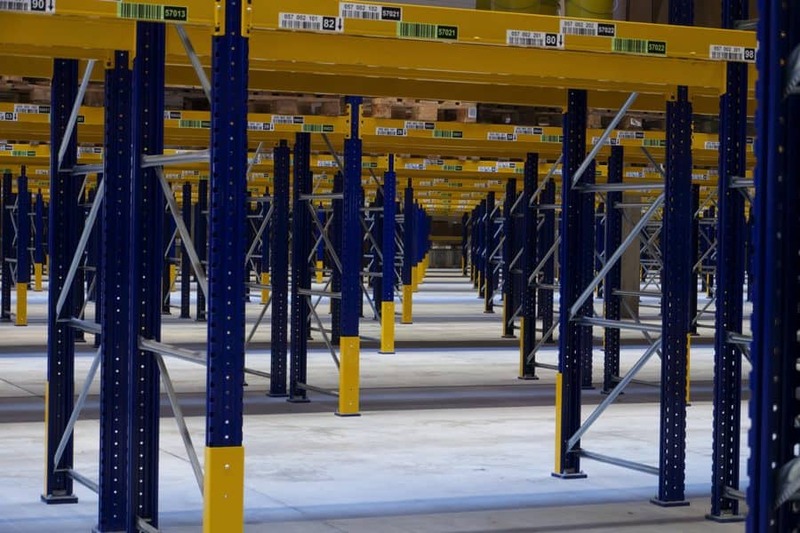 15,000m² storage and technical areas and approx. 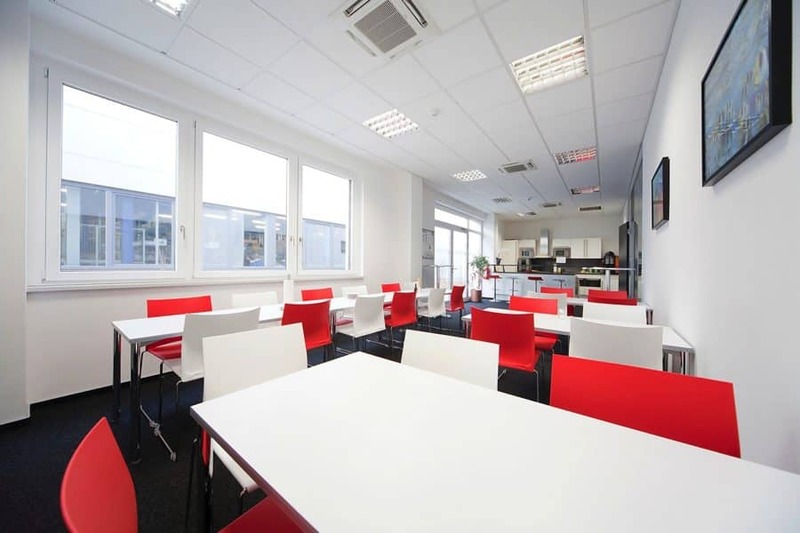 4,300m² office, social space and circulation areas). 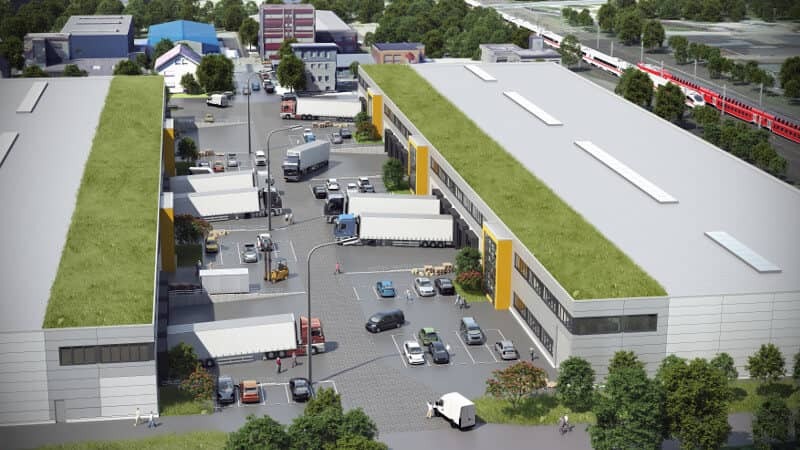 With a symbolic groundbreaking ceremony for the MULTIPARK Mönchhof, 6. construction phase, the project developer and the city's mayor of the city Kelsterbach and Raunheim, gave the start of construction for approximately 7,800 m² office and warehouse building on a approximately 14,100 m² site. 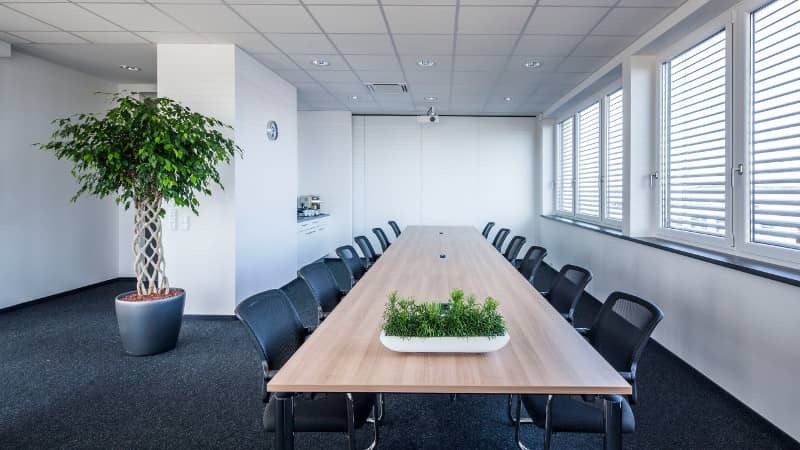 Conclusion of the third lease contract with an internationally operating company for the MULTIPARK Kirchheim-Heimstetten (approx. 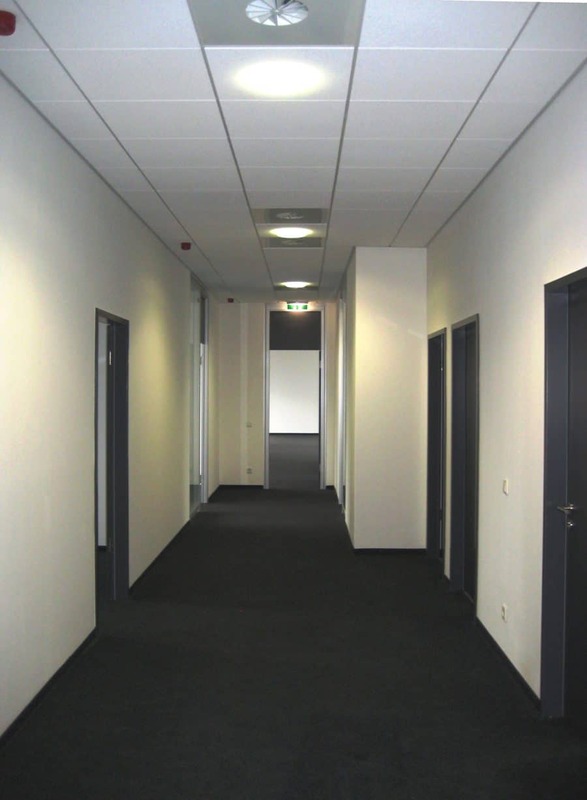 16,900m² hall and office space). With this the object is now fully rented. 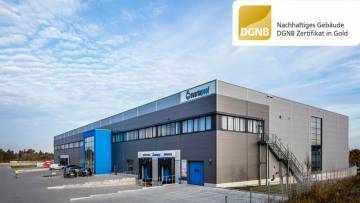 Conclusion of the fourth lease contract with DAMI GmbH for the MULTIPARK Langen (approx. 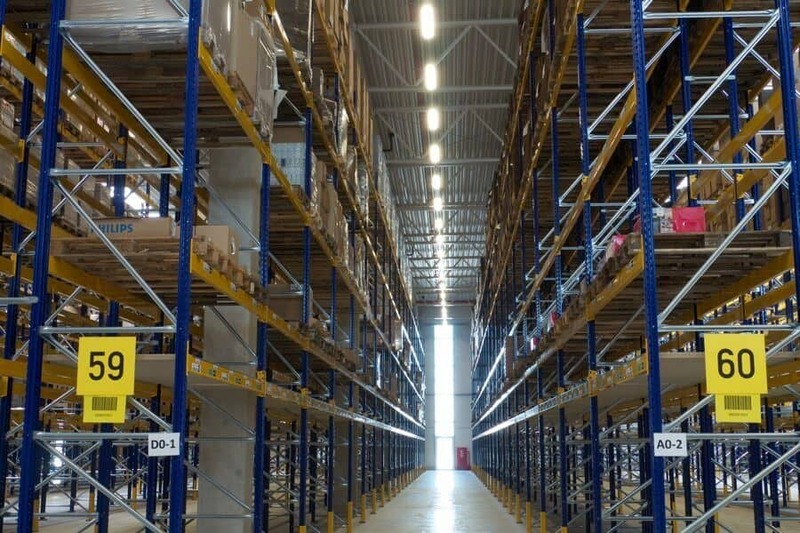 1,225 m² warehouse and approx. 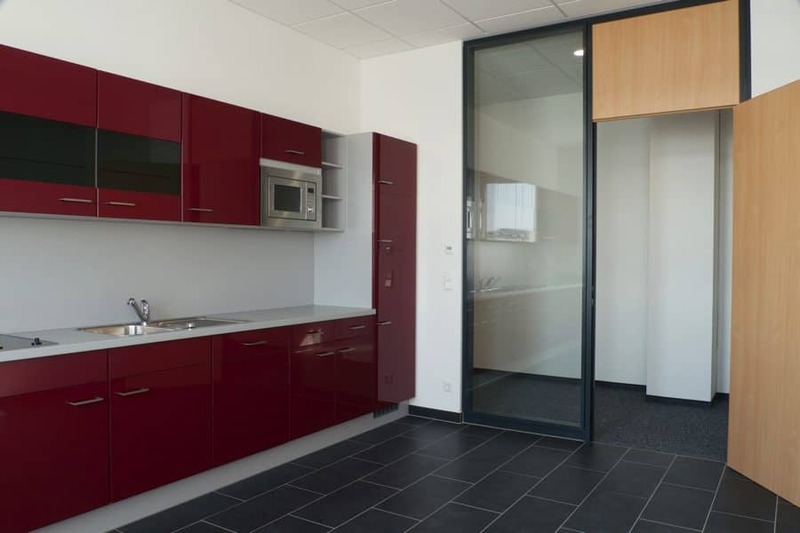 315 m² office areas with photographic studio). 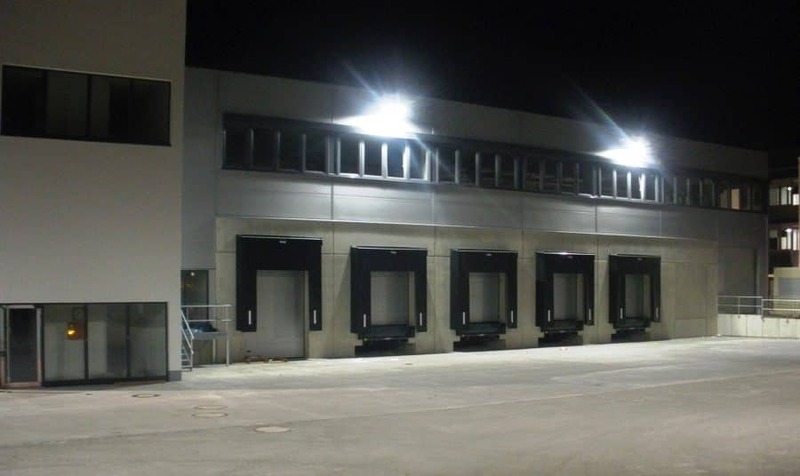 Conclusion of the second lease contract (Dezember 2015) with REWE Markt GmbH for the MULTIPARK Neu-Isenburg (approx. 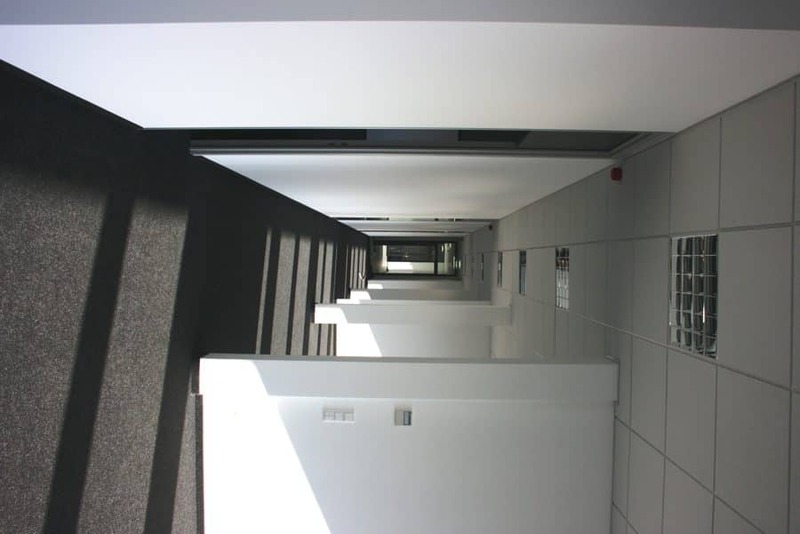 7,900m² hall and office space). With this the MULTIPARK is now fully rented. The handover of the property to the tenant took place on 1 March. 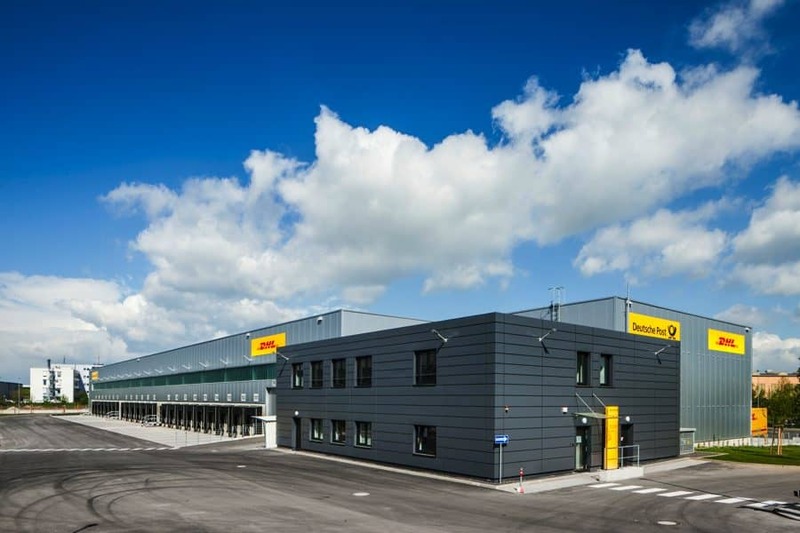 Conclusion of the third lease contract with Trelleborg Sealing Solutions Germany GmbH for the MULTIPARK Langen (approx. 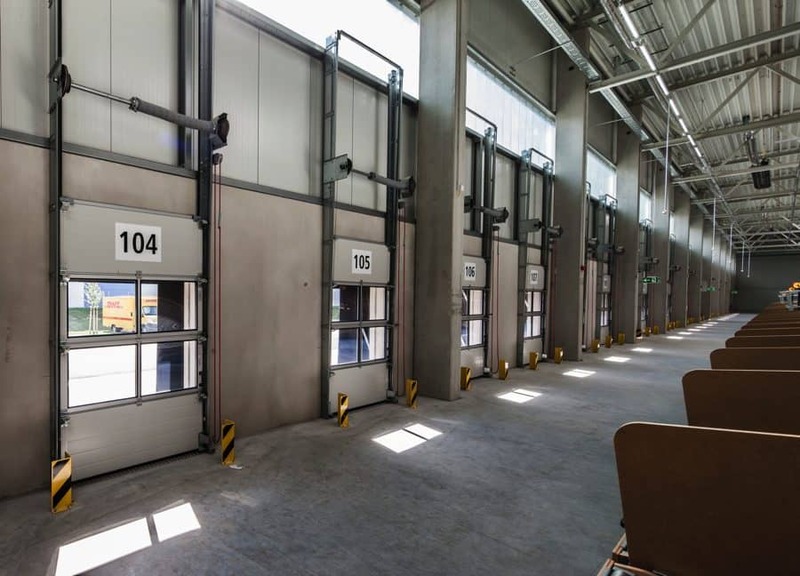 1,025 m² warehouse and approx. 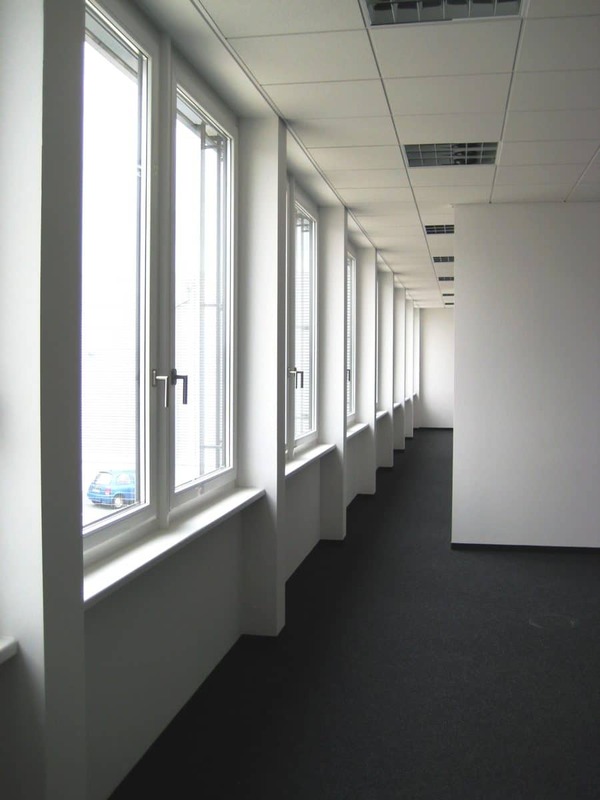 290 m² office areas). 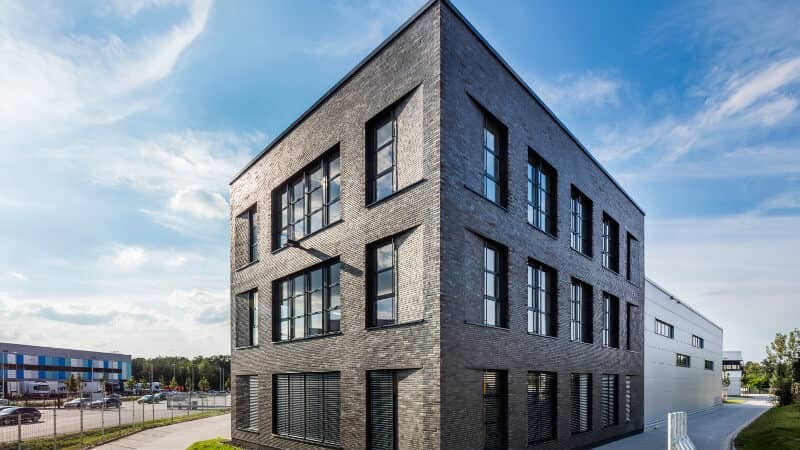 The L1 Gewerbepark Langen GmbH, which belongs to MP Holding Group, sold a revitalized buildings in Pittlerstrasse 21, 63225 Langen. 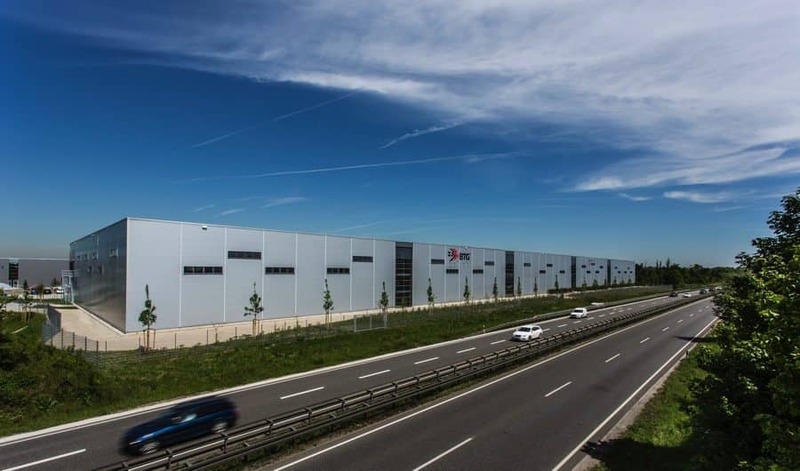 The new owner of approximately 4.880m² large logistics property is the RUG SEMIN GmbH, Germany's leading manufacturer of access panels. The transfer of possession, benefits and burdens took place in February this year. 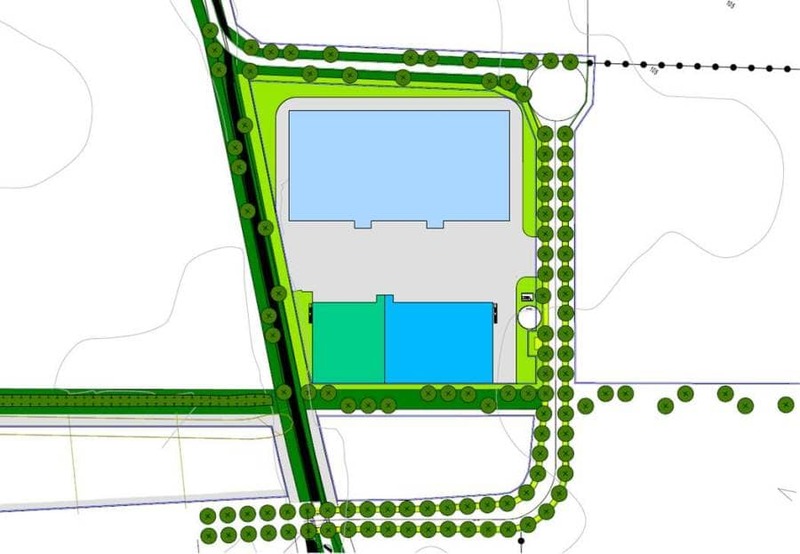 Construction works starts on a new industrial property of the fruit importer vanWylick GmbH in the industrial area G-Park 471 in Olching. (approx. 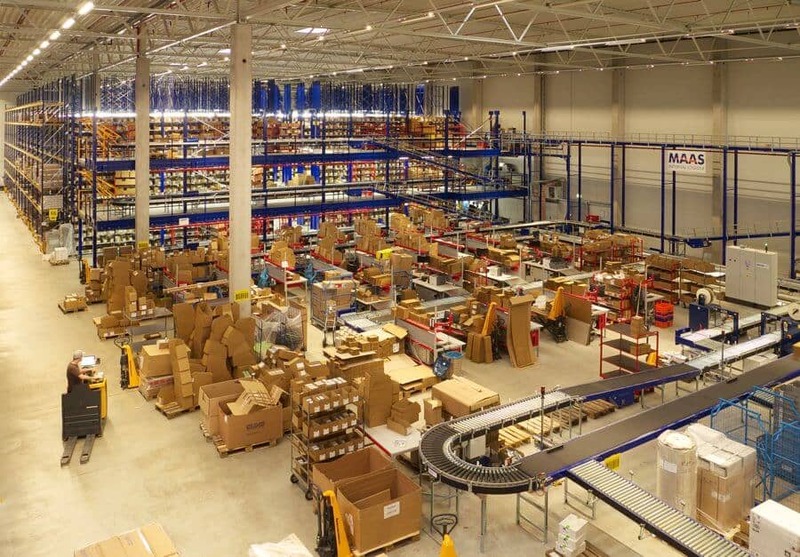 7,000 m² warehouse and approx. 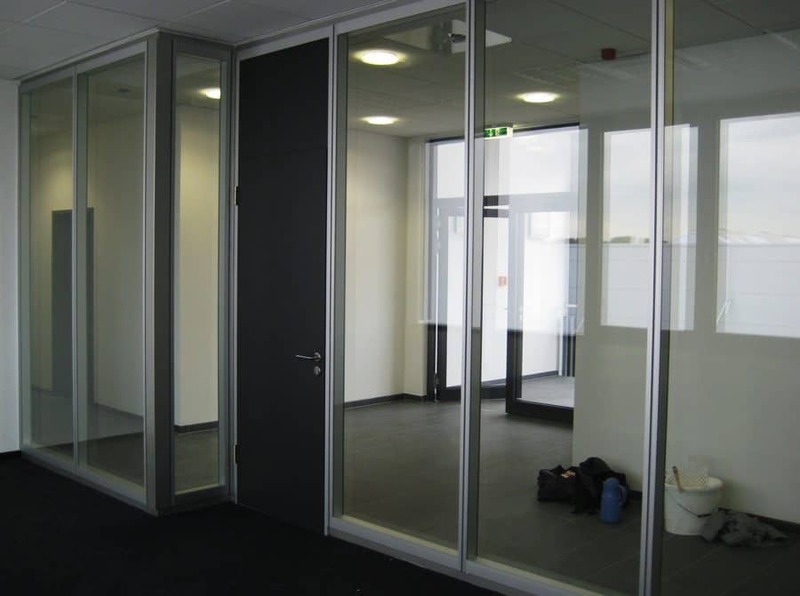 900 m² office, social space and circulation areas). We are expecting to complete this project during the third quarter of 2016. The sustainable MULTIPARK Neu-Isenburg receives the gold DGNB certificate. 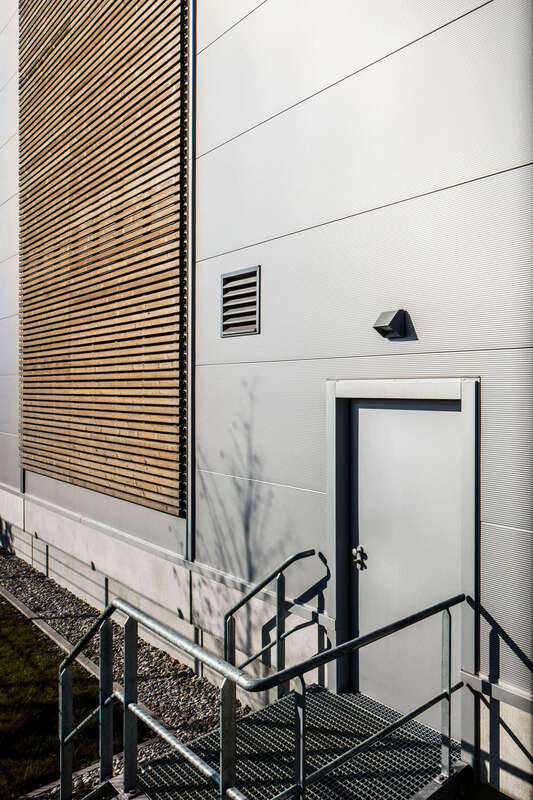 Conclusion of the second lease contract with Enshu GmbH for the MULTIPARK Langen (approx. 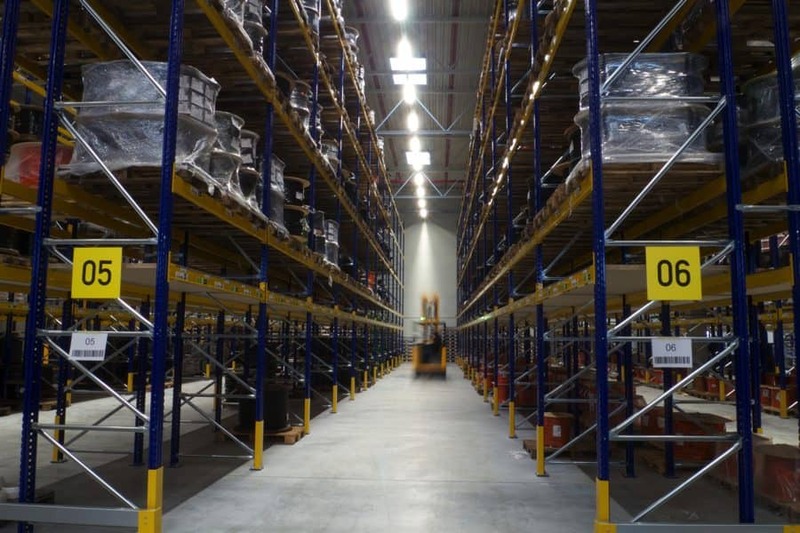 660 m² warehouse and approx. 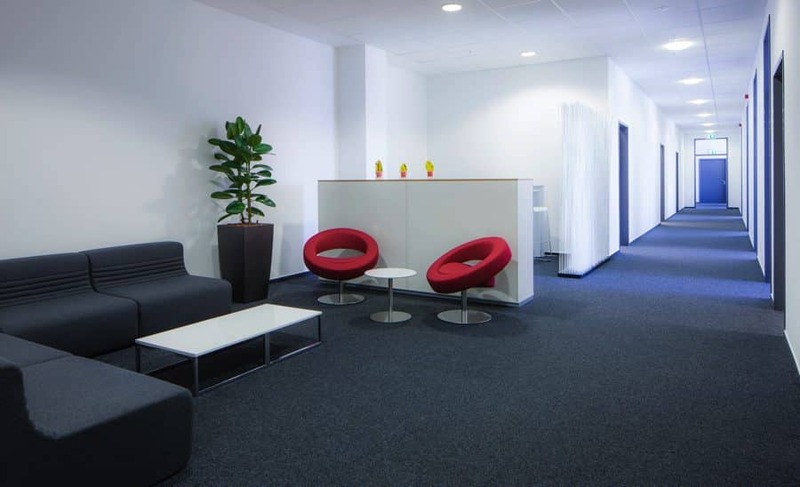 276 m² office, social space and circulation areas). 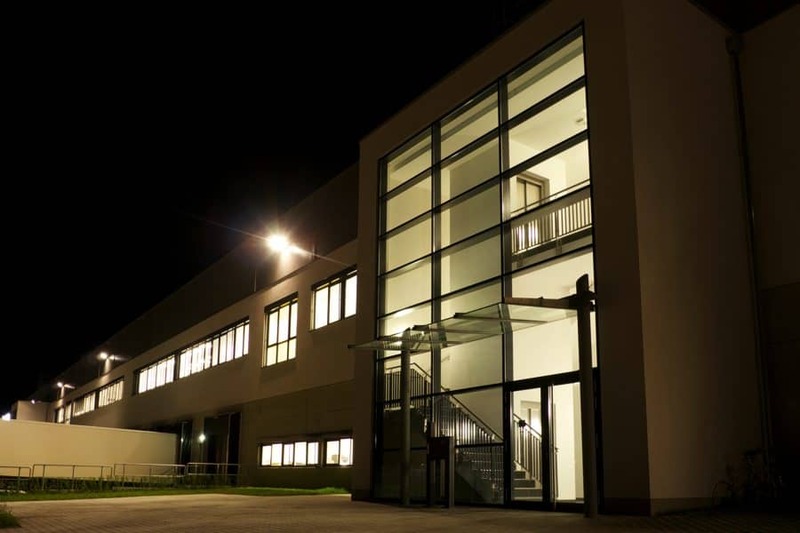 Conclusion of the second lease contract with Brainlab AG for the MULTIPARK Kirchheim-Heimstetten (approx. 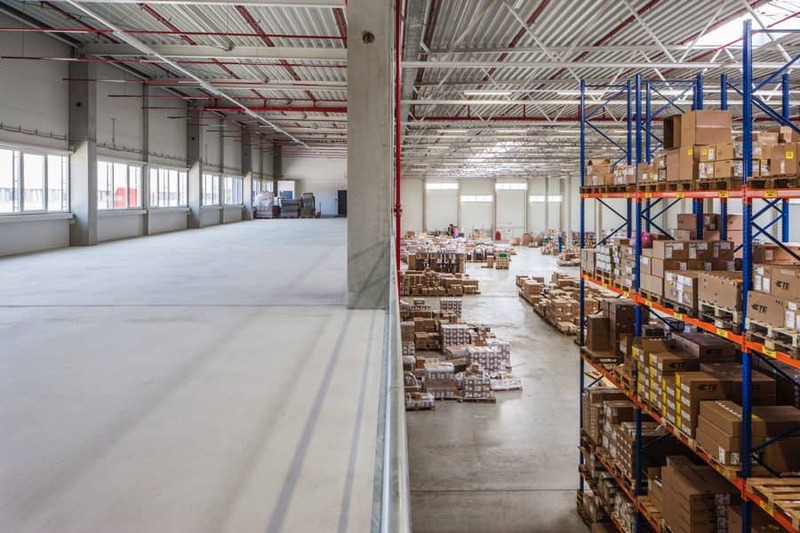 2,680 m² warehouse and approx. 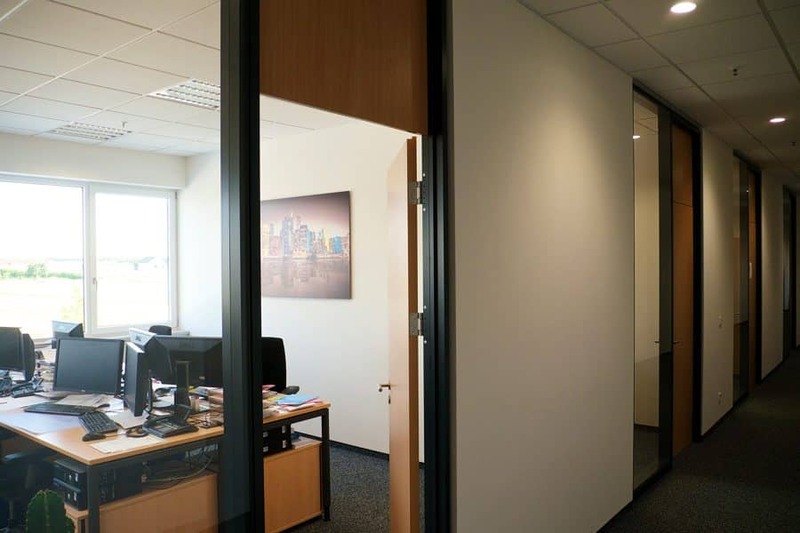 370 m² office space). With that 40% of the space is leased out. 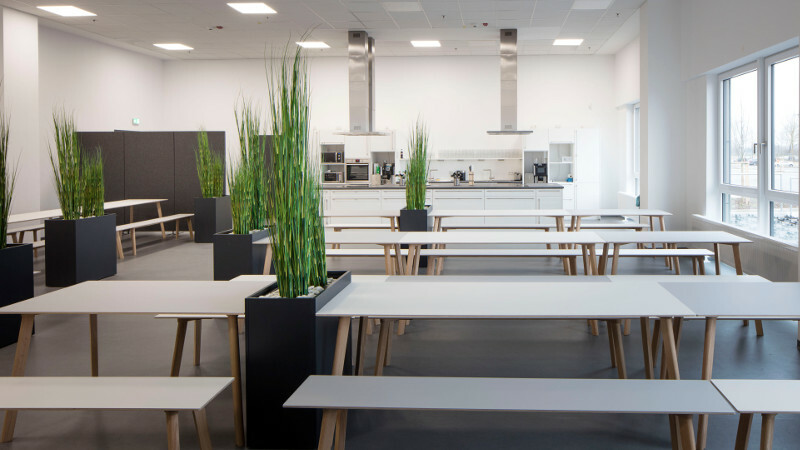 The MULTIPARK Langen groundbreaking ceremony took place among a city of Langen business and entrepreneur breakfast on Wednesday, November 4, 2015. 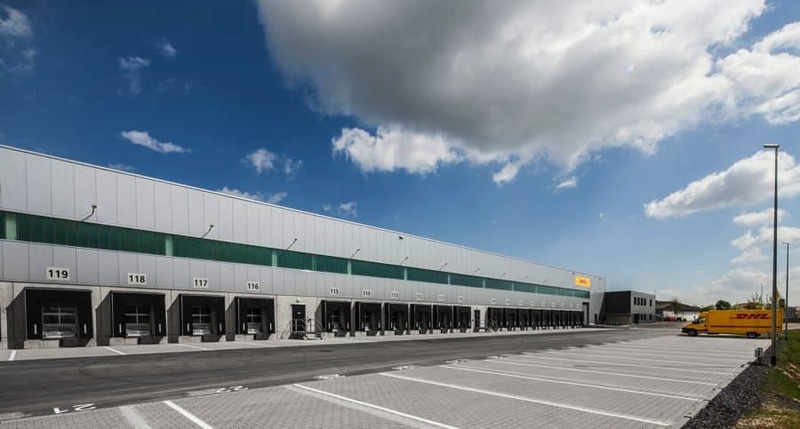 The third and the final rental contract of MULTIPARK Olching München West II has been entered with Amazon Deutschland Transport GmbH (approx. 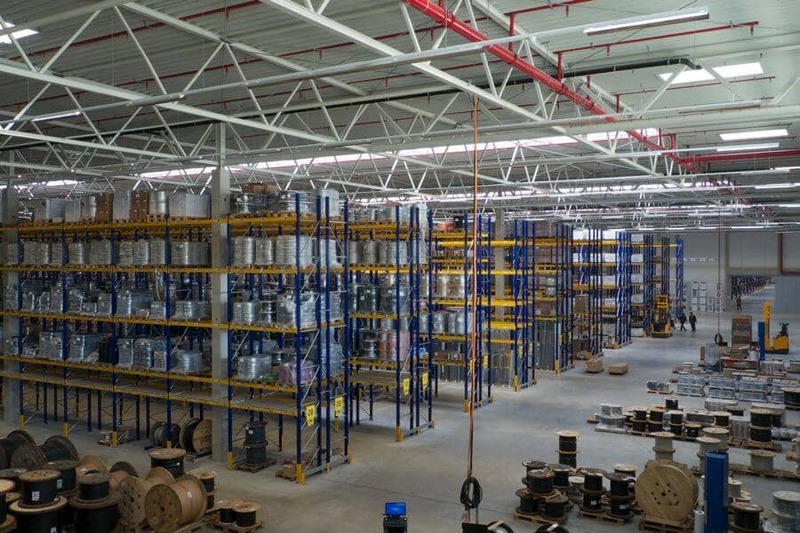 7,500m² warehouse and office space). 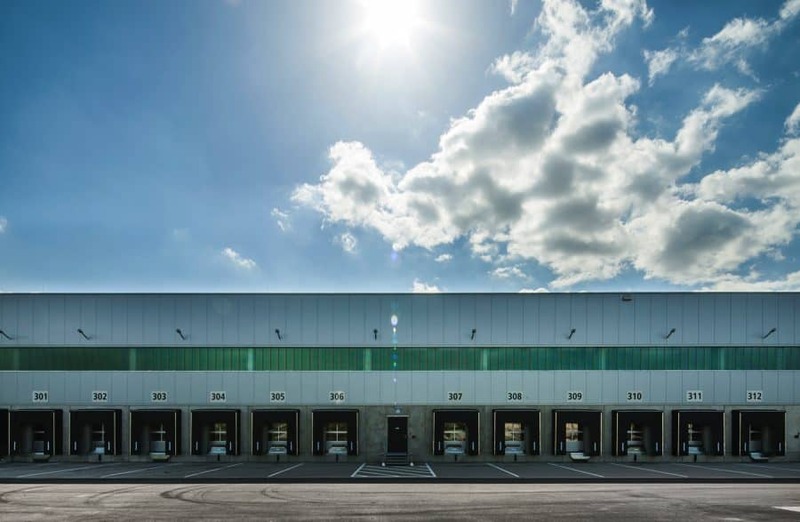 With this MULTIPARK Olching München West II is now fully rented. 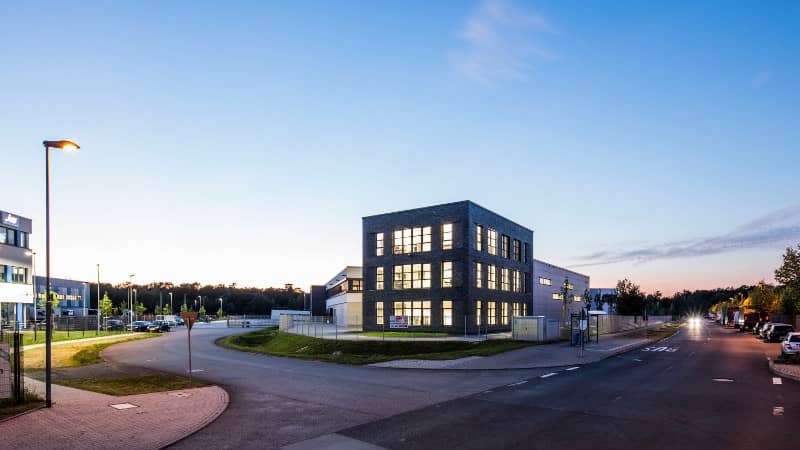 Conclusion of the first lease contract with TE Connectivity Germany GmbH for the MULTIPARK Kirchheim-Heimstetten (approx. 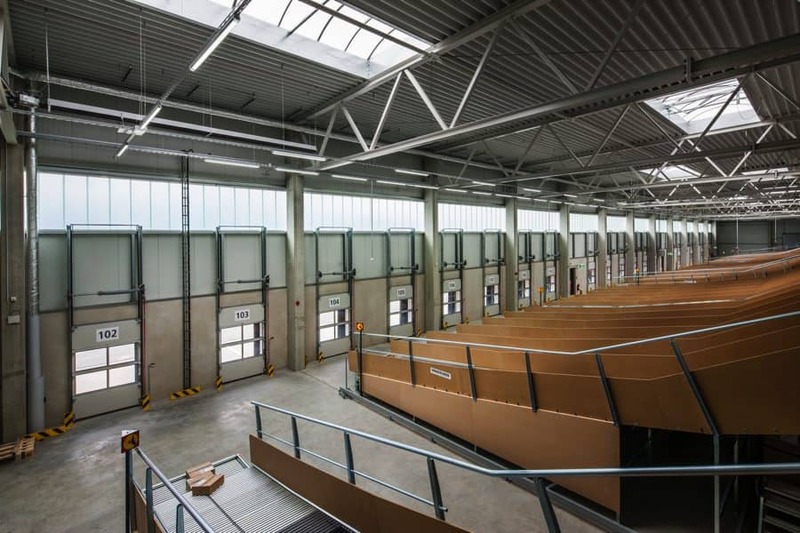 4,100 m² warehouse and approx. 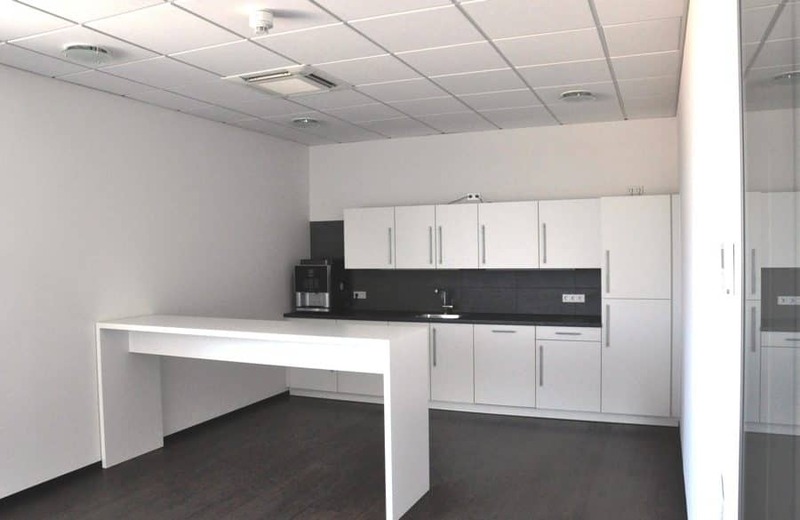 2,500 m² office space and technical levels). 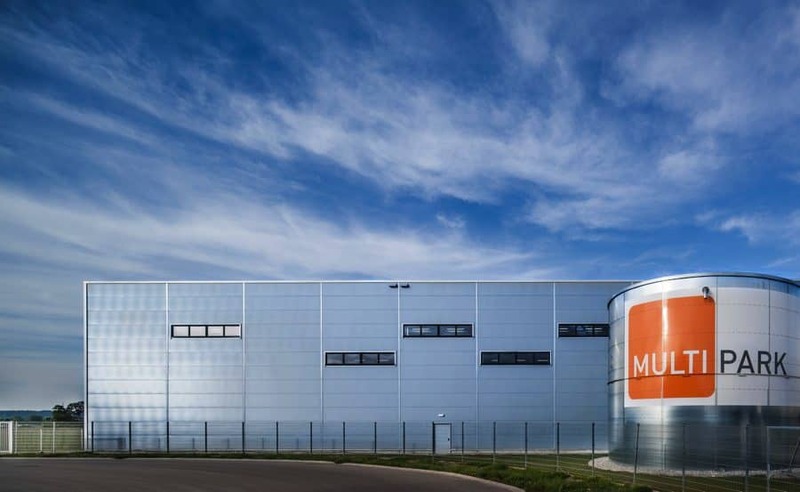 The first rental contract for the sixth construction phase of MULTIPARK Mönchhof has been entered with CHEP Aerospace Germany GmbH (approx. 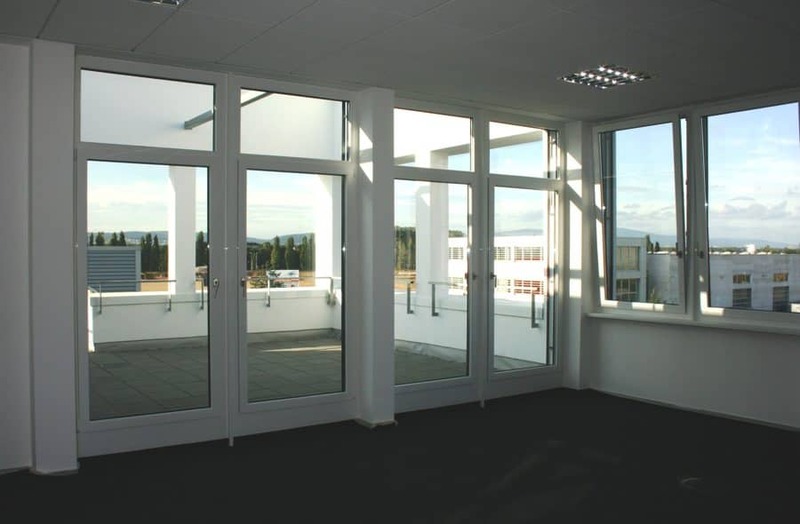 2,250m² storage space, 2,500m² open space and 600m² office space. 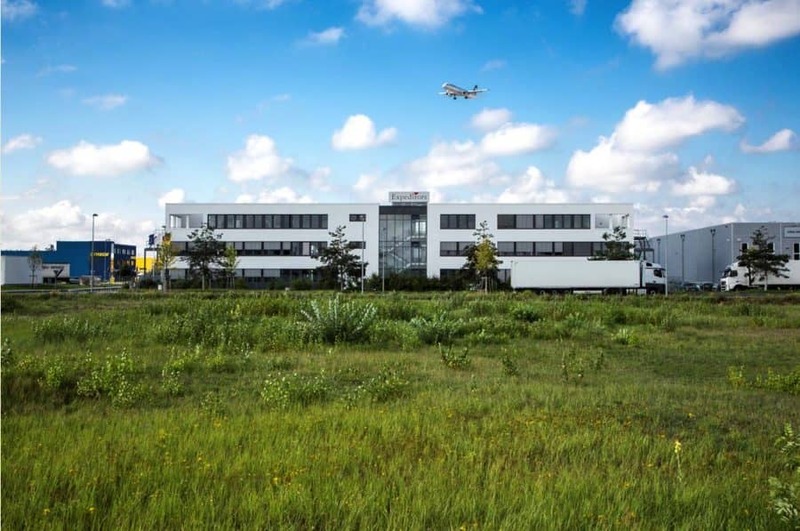 Conclusion of the first lease contract with Okamoto Machine Tool Europe GmbH for the MULTIPARK Langen (approx. 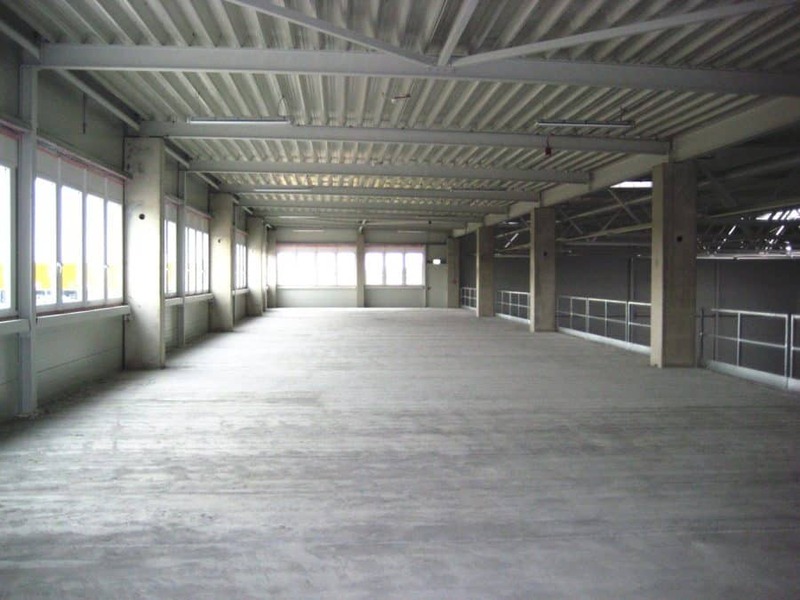 990m² warehouse and 450m² office space). The sustainable MULTIPARK Mönchhof receives the silver DGNB certificate for the fourth construction phase. 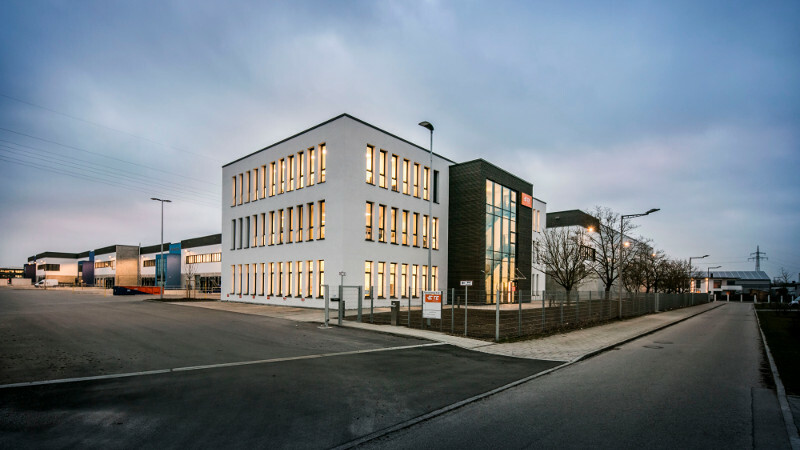 Long-term extension of the rental agreement with TTI, Inc., one of the biggest distributors of electronic components worldwide, which has been located in Maisach-Gernlinden since 2004 (approx. 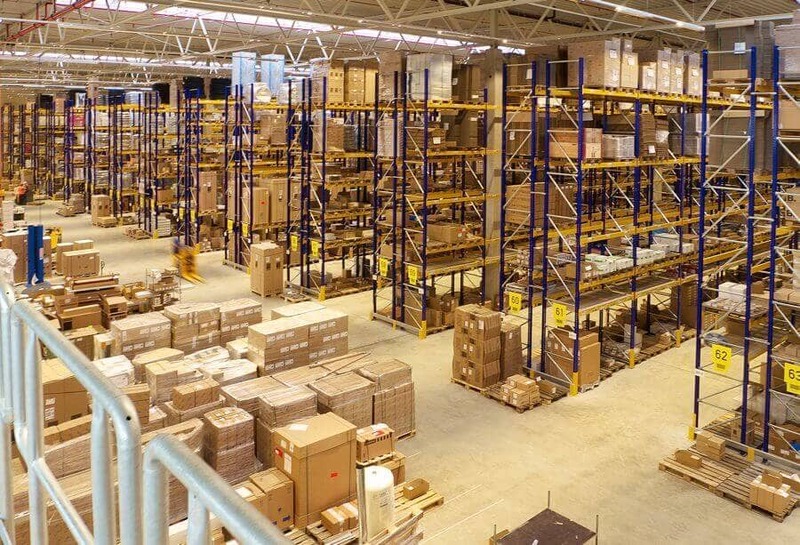 10,400m² warehouse space and 3,650m² office space). 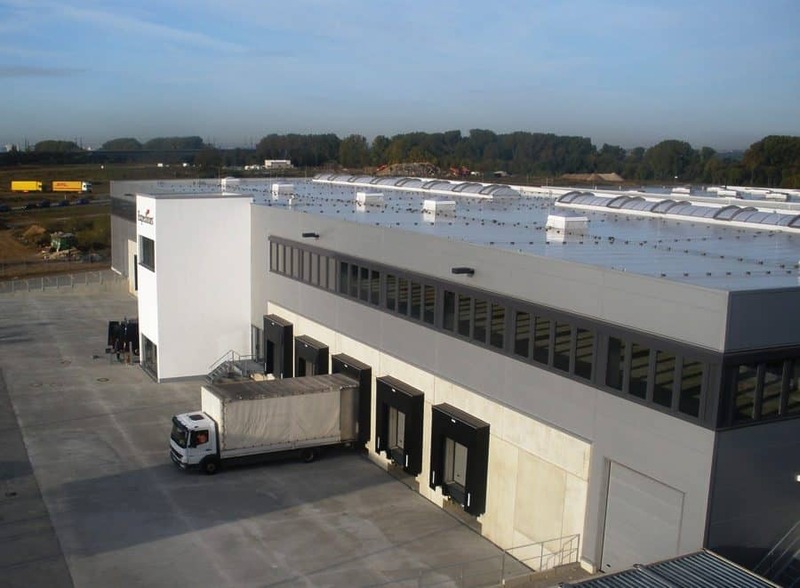 Leasing contract entered with vanWylick GmbH for a customized logistic property for storing fresh produce and for ripening bananas (approx. 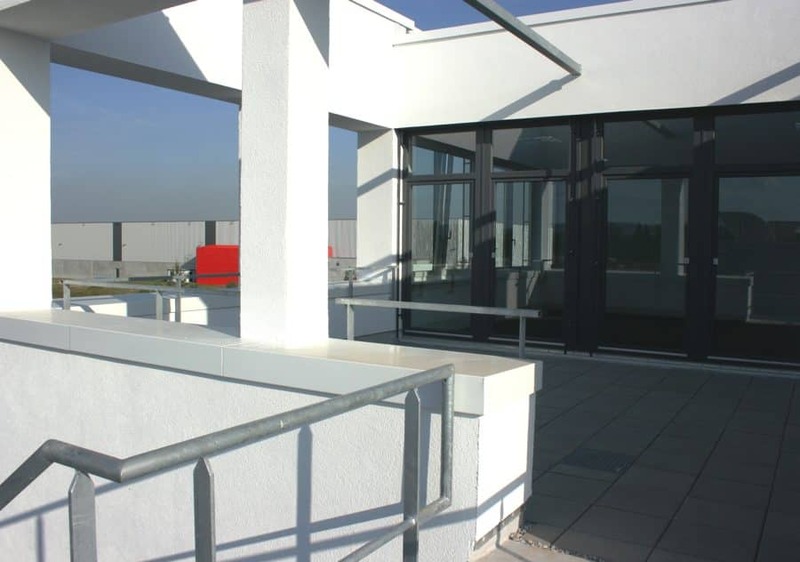 7,000m² warehouse space and 900m² office space) in the G-Park 471. 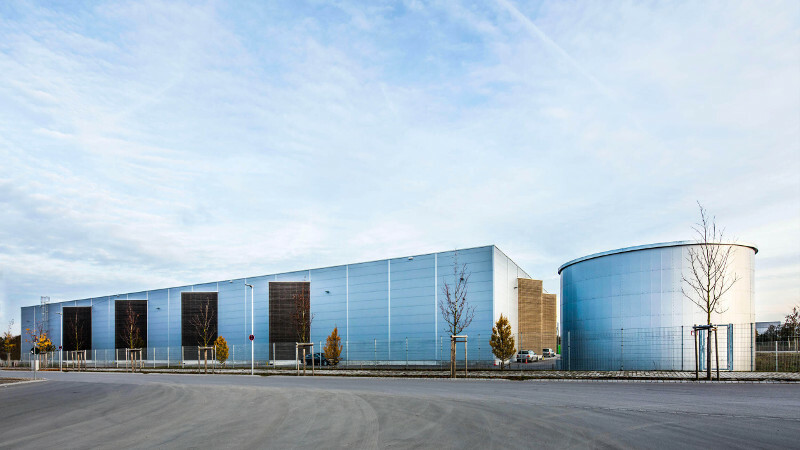 Conclusion of the second lease contract with Bavariapool Thomas Emmerichs GmbH for the MULTIPARK Olching München West II (approx. 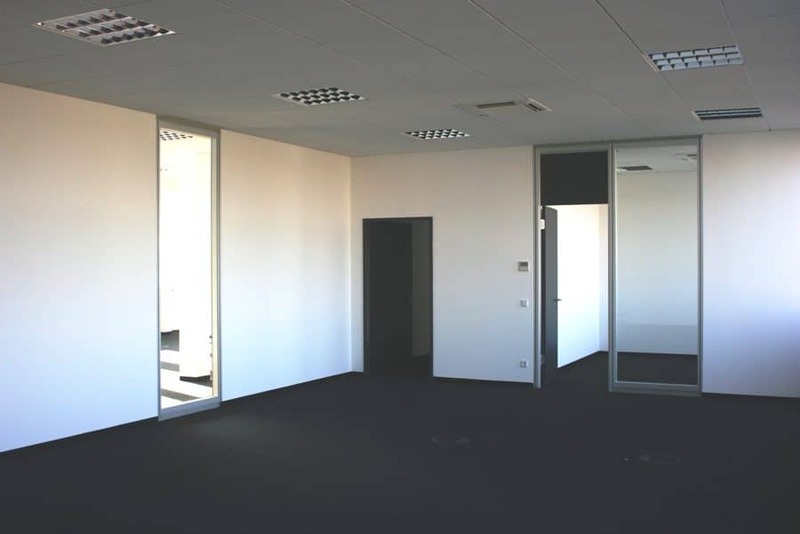 1,930m² hall and office space). Sale of the BALTH. 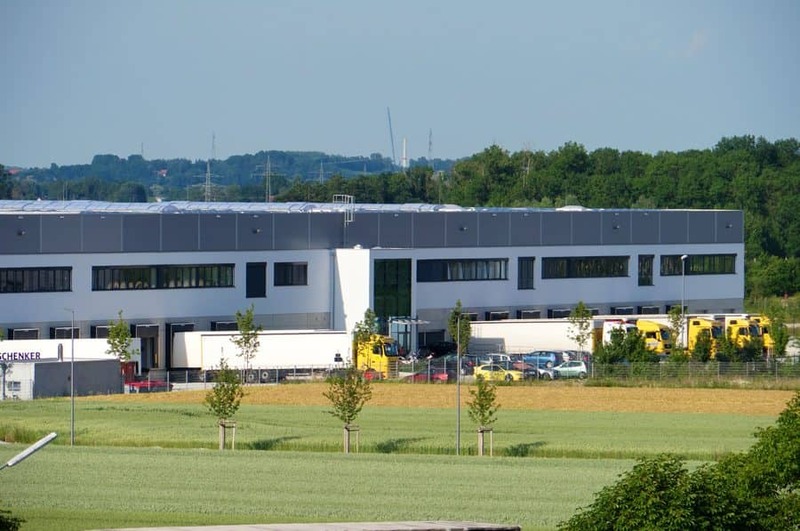 PAPP Internationale Lebensmittel KG logistic center for refrigerated foods in Ottobrunn. 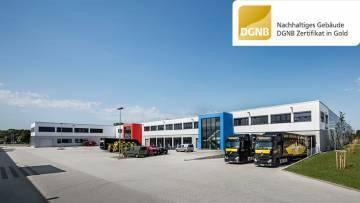 Buyer is the IVG Garbe Logistik fund, which was jointly launched in 2012 by IVG Institutional Funds GmbH and Garbe Logistic AG. The Neu-Isenburg MULTIPARKs groundbreaking ceremony. 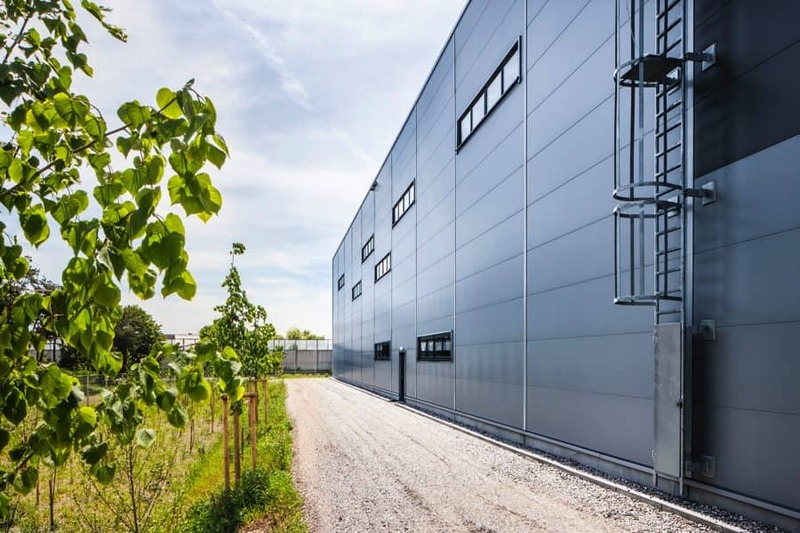 The Seiko Instruments GmbH are renting the entire first construction phase with ~ 3,650m² warehouse, office and mezzanine space. Markus Strauch (constuction supervisor Goldbeck Süd GmbH) handed over the key to Björn Lehnert from the Sovereign Speed GmbH in Kelsterbach. 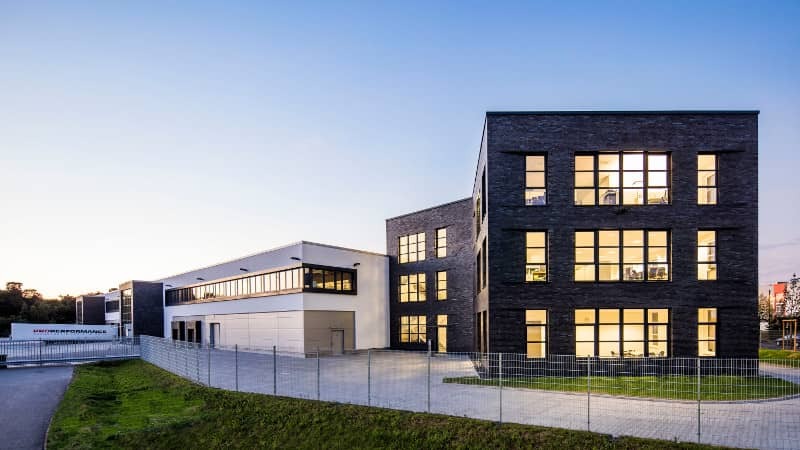 The company has been a tenant since september 2011 in the Monchhof area and is going to move from the first to the fifth construction phase of the MULTIPARK Mönchhof on May 1, 2015. 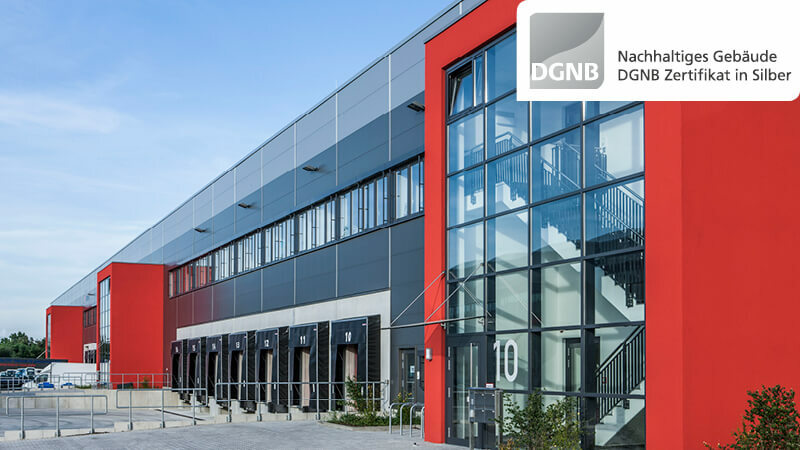 The sustainable MULTIPARK Mönchhof receives the silver DGNB certificate for the fifth construction phase. Topping out ceremony for the fifth construction phase of the MULTIPARK Mönchhof in Kelsterbach. 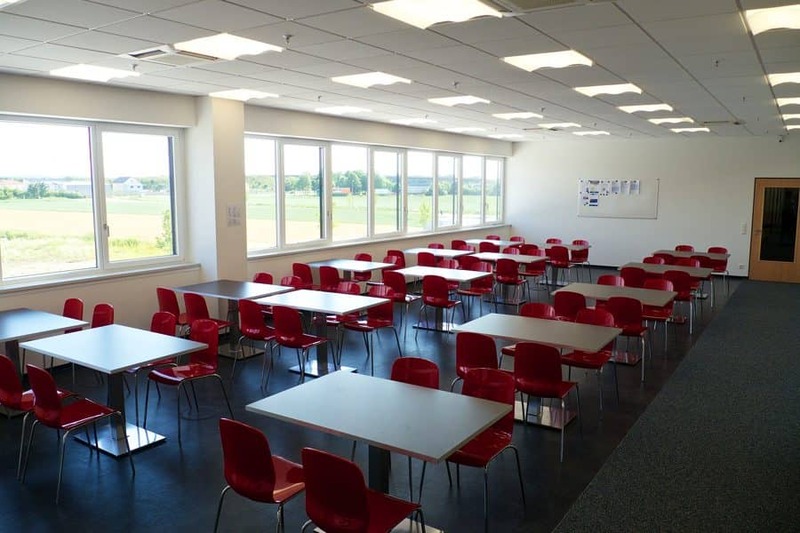 Technicon Design Limited and Souvereign Speed GmbH are the first tenants. 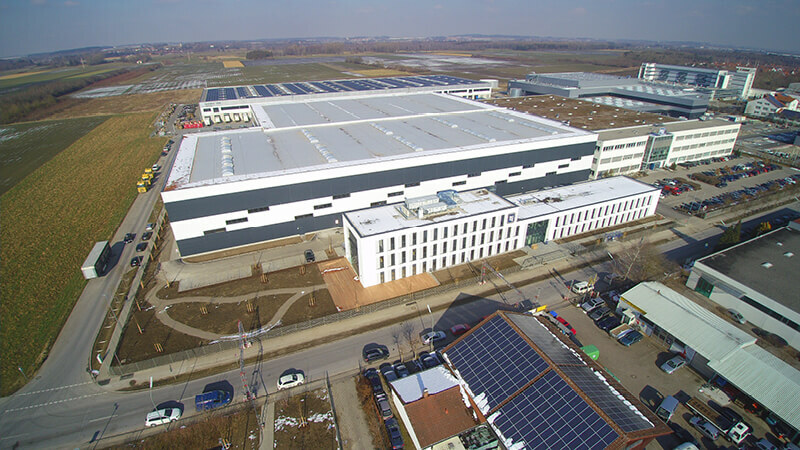 Sale of the fourth construction phase of MULTIPARK Mönchhof to CBRE Global Investors. 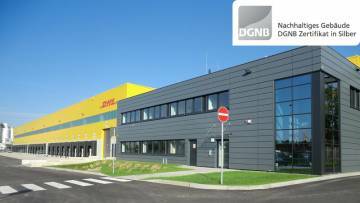 Sale of the mechanical delivery point for Deutsche Post DHL Ottobrunn to Aquila Capital. Conclusion of the second lease contract with Sovereign Speed GmbH for the fifth construction phase in the MULTIPARK Mönchhof (approx. 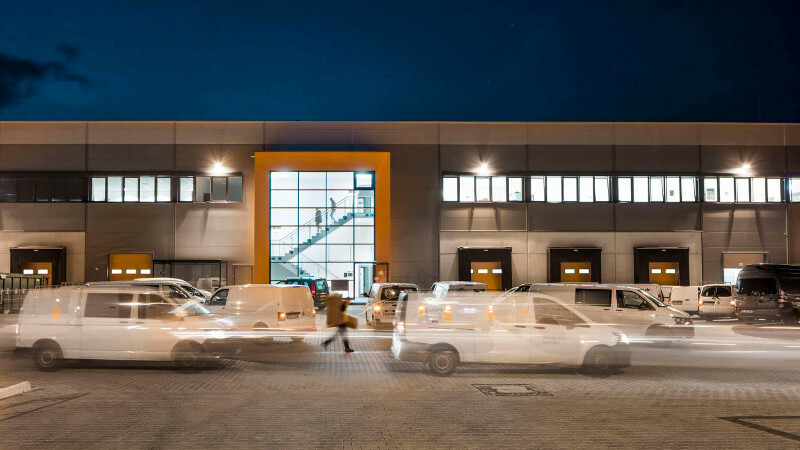 1,450m² warehouse and 400m² office space). 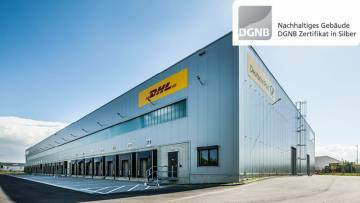 The sustainable Deutsche Post DHL delivery point in Leimen near Heidelberg receives the DGNB silver certificate. 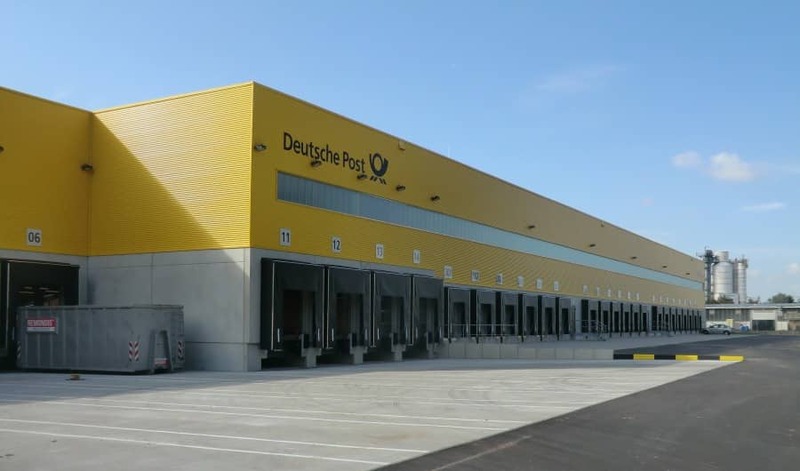 Sale of the mechanical delivery point for Deutsche Post DHL Ottobrunn to the Höchster Pensionskasse VVaG. Construction start for the fifth construction phase of MULTIPARK Mönchhof. Conclusion of the first lease contract with Technicon Design Limited for the fifth construction phase of the MULTIPARK Mönchhof (approx. 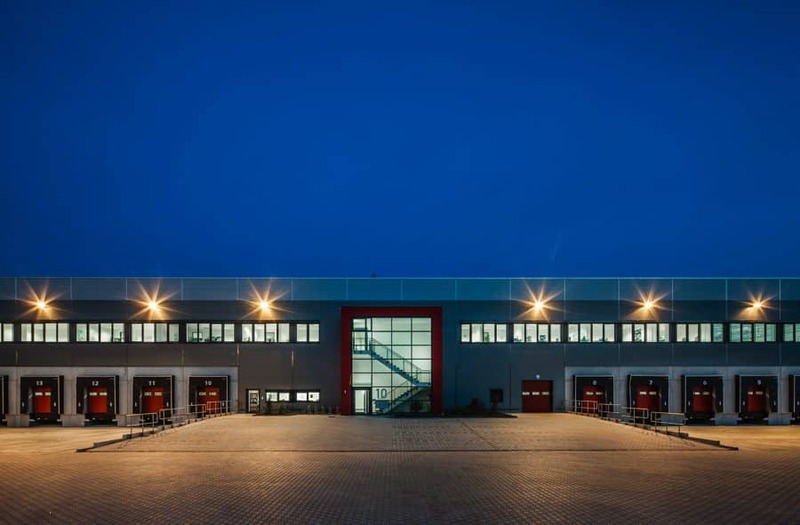 2,150m² warehouse and 750m² office space). Construction start of the MULTIPARK Olching München West II. 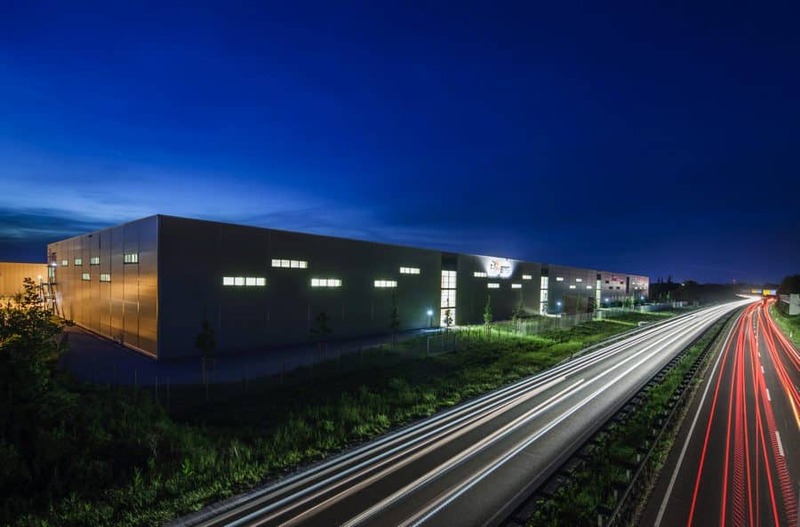 Marketing launch for the new MULTIPARK in Ginsheim-Gustavsburg that offers spaces from approximately 1,000 to 40,000m² on an area covering about 75,000m² on In der Kammerwiese. 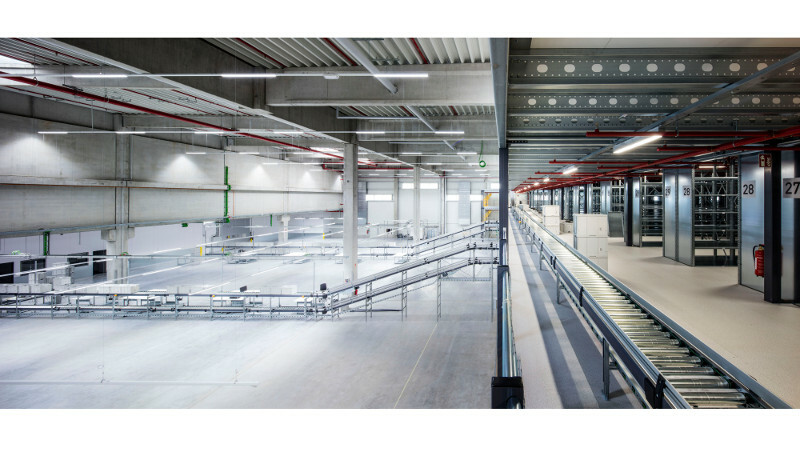 With 64,100m² of developed area in 2014, we have climbed to sixth place among the TOP10 project developers of modern logistics real estate in Germany. 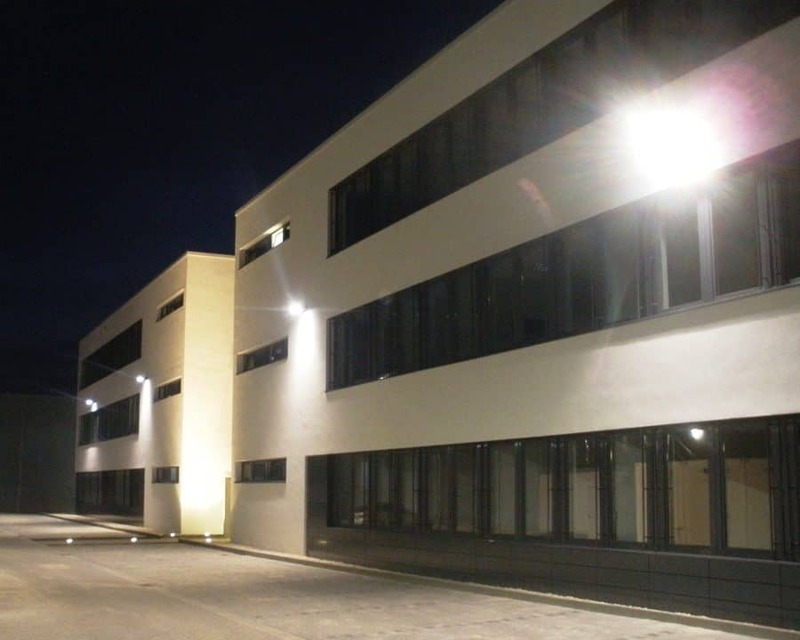 Handover of the 4th construction phase of MULTIPARK on the Mönchhof area to the DSV Air & Sea GmbH. Sale of plots no. 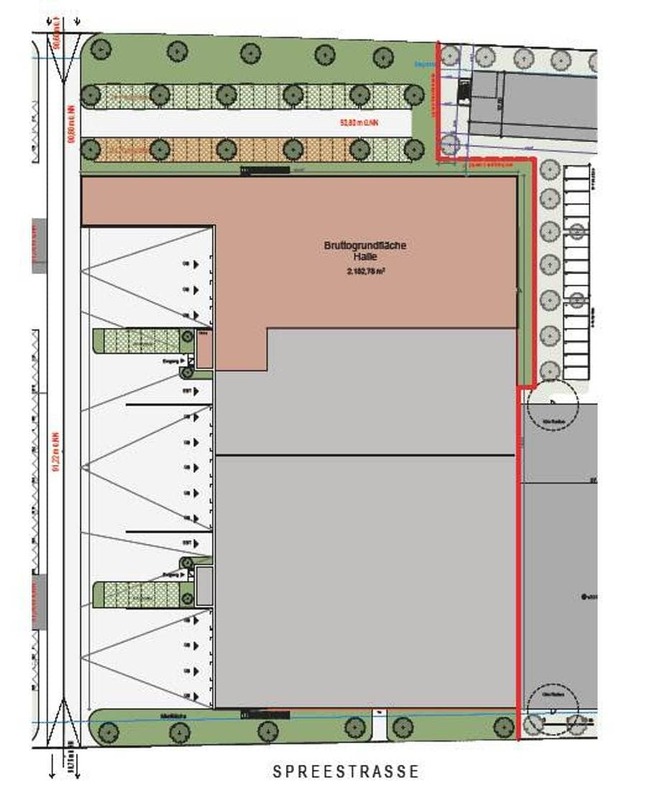 16 and 17 in the G-Park471 to two private investors as a site for a sorting depot for their own use as well as rental on an area of approx. 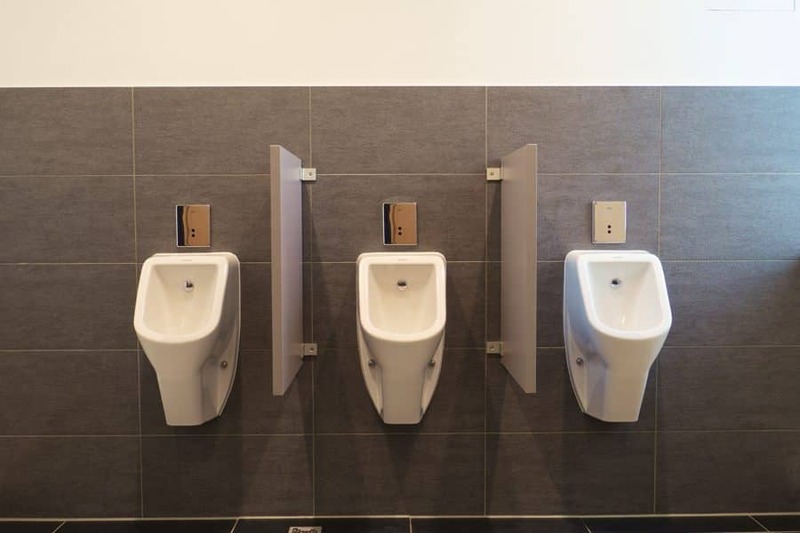 4,000m². Sale of property no. 15 in the G-Park471 for locating the WELDEX EURO GmbH on an area spanning about 1,800m². Sale of property no. 14 in the G-Park471 for locating the Projektgesellschaft Wittelsbacher Allee mbH on an area spanning about 4,200m². 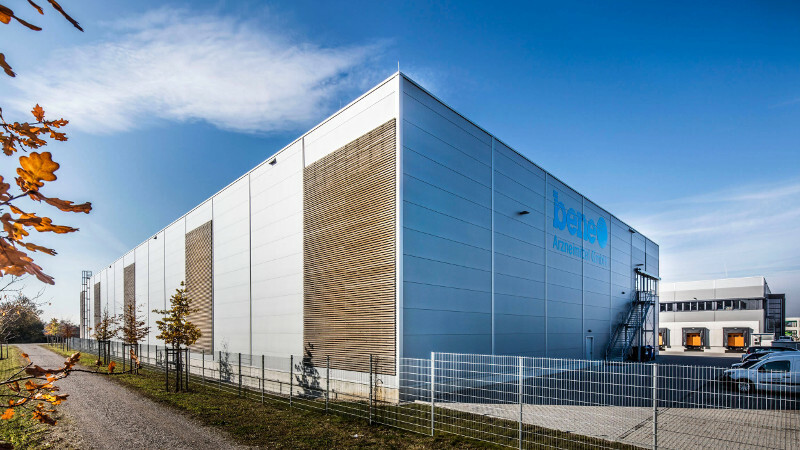 Property hand over of the refrigerated storage hall and warehouse in Ottobrunn to the BALTH. 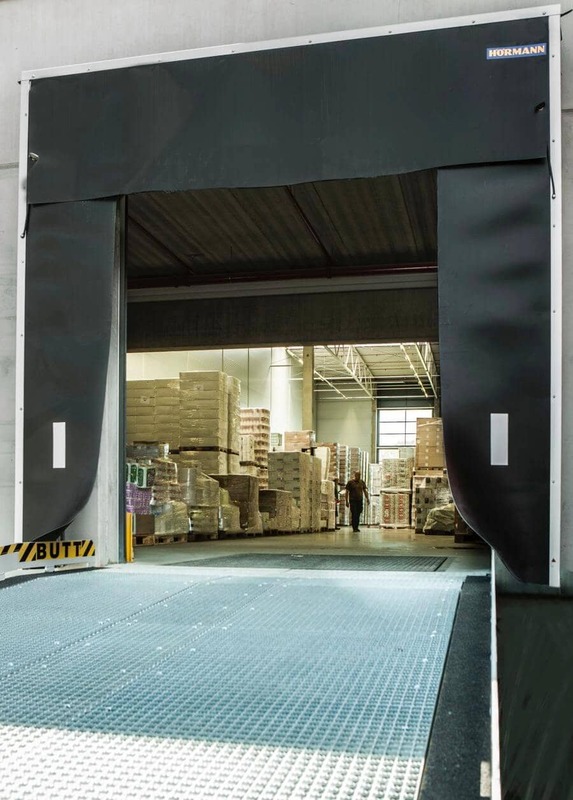 PAPP Internationale Lebensmittellogistik KG. 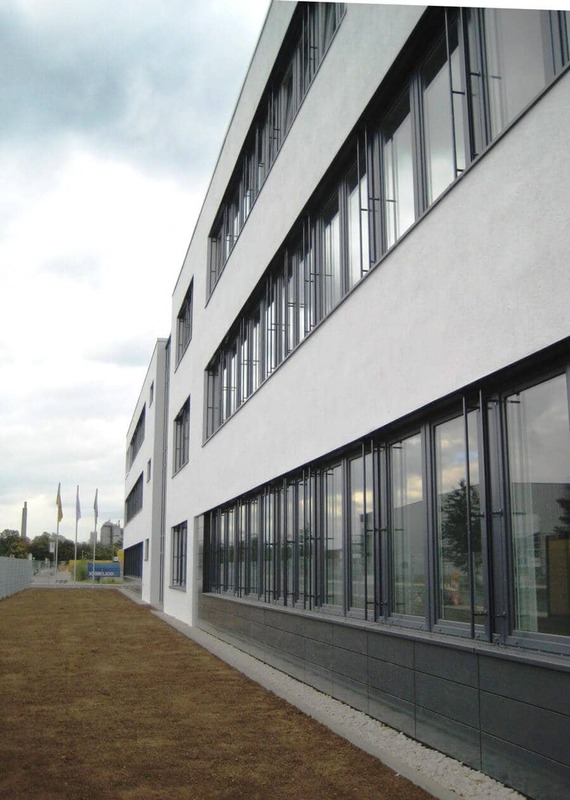 Conclusion of the first lease contract with Seiko Instruments GmbH in the MULTIPARK Neu-Isenburg. The leading producer of electronic high-tech components rents the whole first construction phase (approximately 3,650m² warehouse and office space). 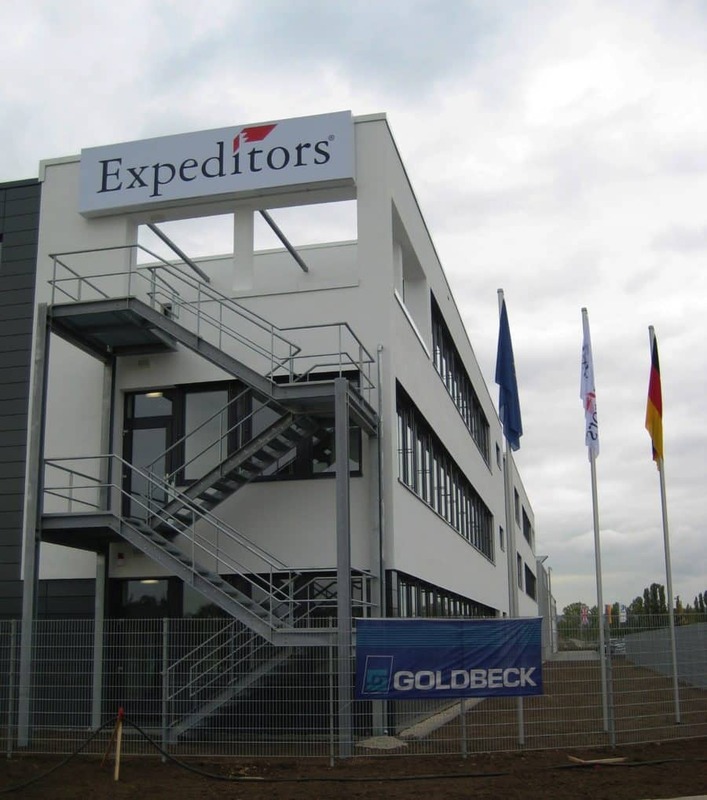 Marketing launch for the new MULTIPARK Neu-Isenburg in the business park "An der Gehespitz". 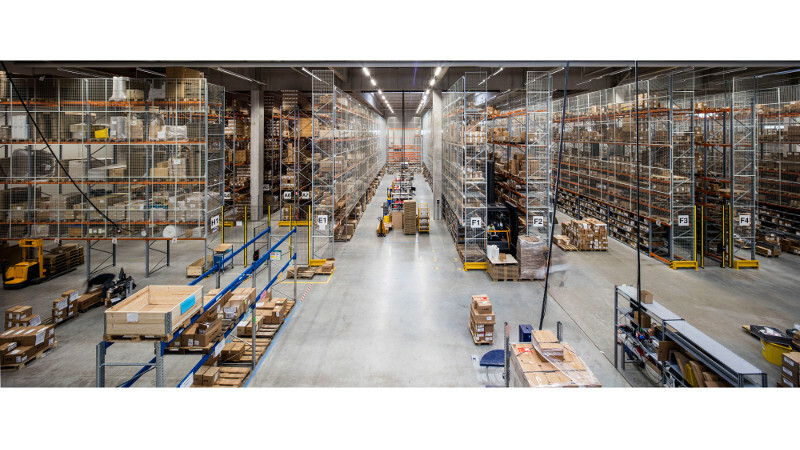 On an area spanning about 30,000m² a new MULTIPARK with approximately 12,000m² warehouse and office space will be constructed. 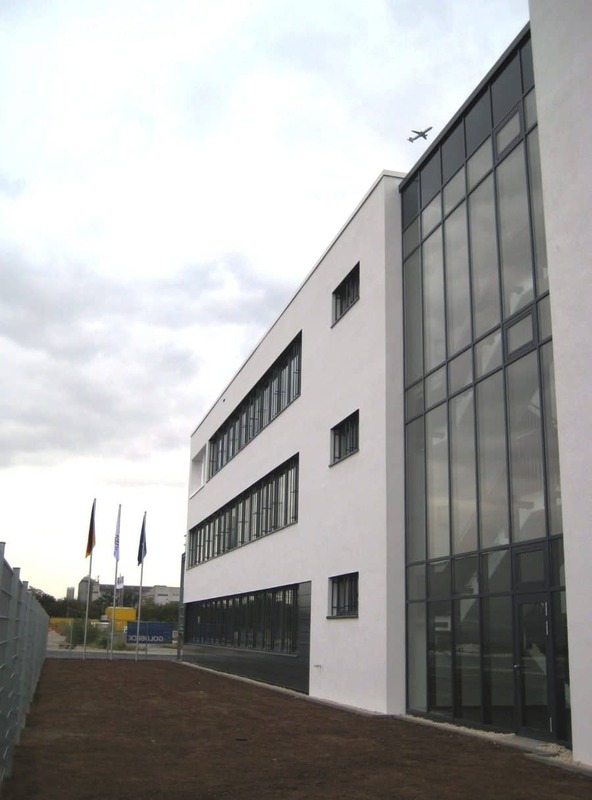 Conclusion of the lease contract with bene-Arzneimittel GmbH (approximately 2,150m² hall/warehouse space approx. 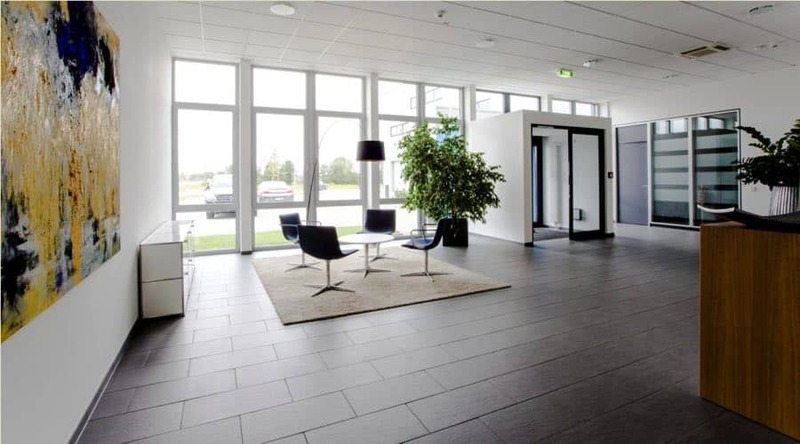 630m² office, gallery, communal and circulation areas) in the MULTIPARK Olching München West II. 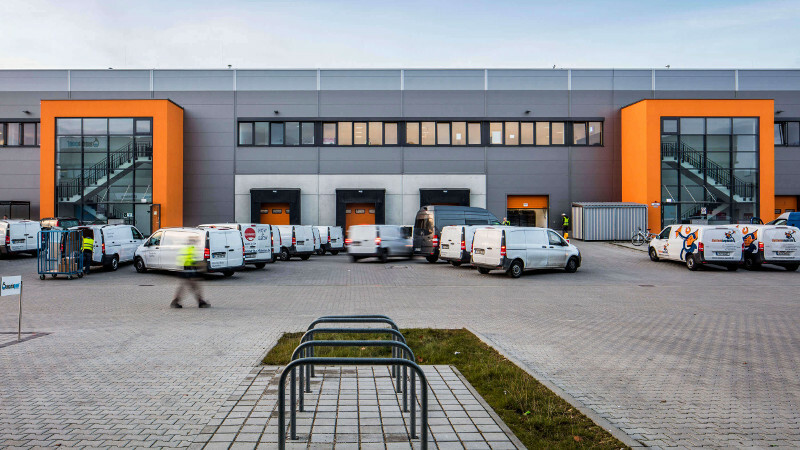 Marketing launch for the new MULTIPARK in Langen that offers space from about 250m² to 7,000m² on an area covering around 50,000m² on Pittlerstraße/Raiffeisenstraße. 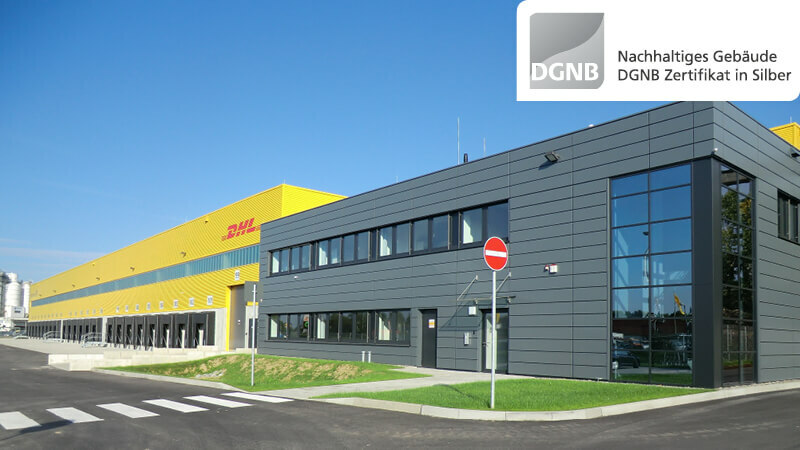 Transfer of mechanical distribution center in Ottobrunn to the Deutsche Post DHL. 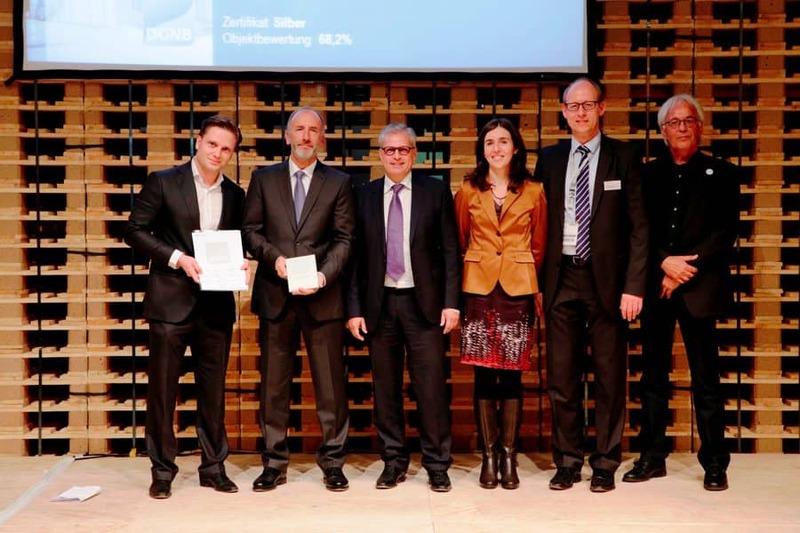 The sustainable MULTIPARK in Olching near Munich receives the silver DGNB certificate. 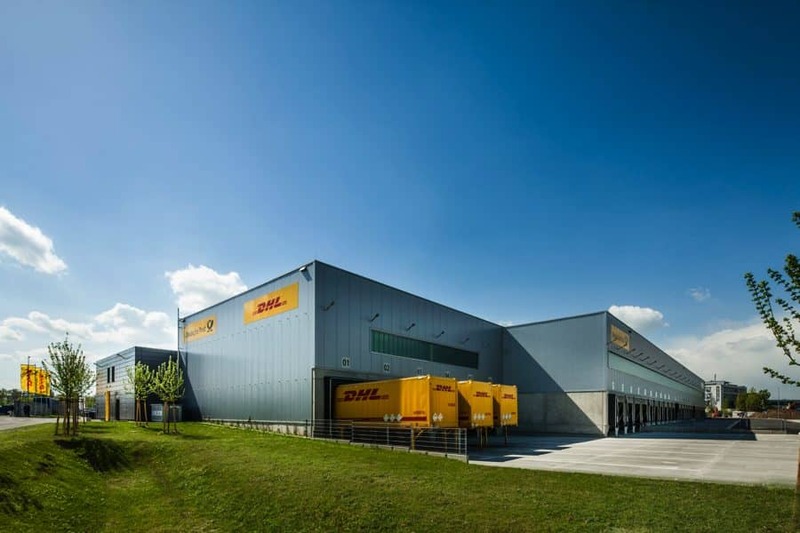 Sale of the mechanical delivery point of Deutsche Post DHL Ginsheim-Gustavsburg to the Höchster Pensionskasse VVaG. 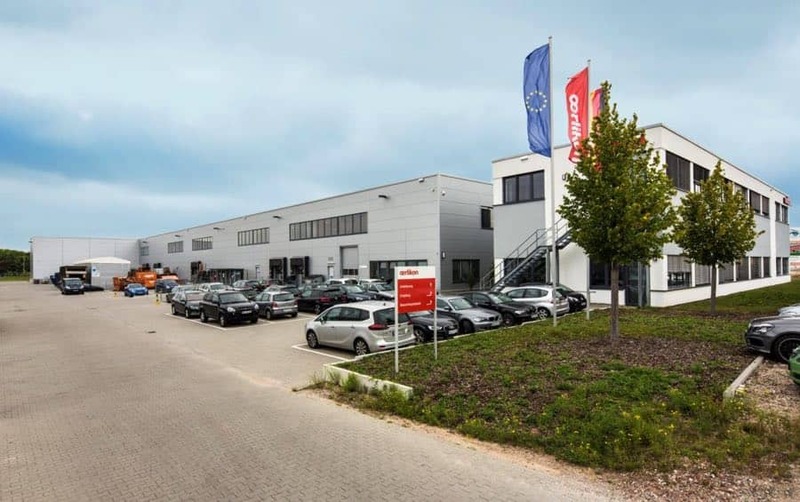 Sale of the MULTIPARK Olching München West to Talanx Immobilien Management GmbH. 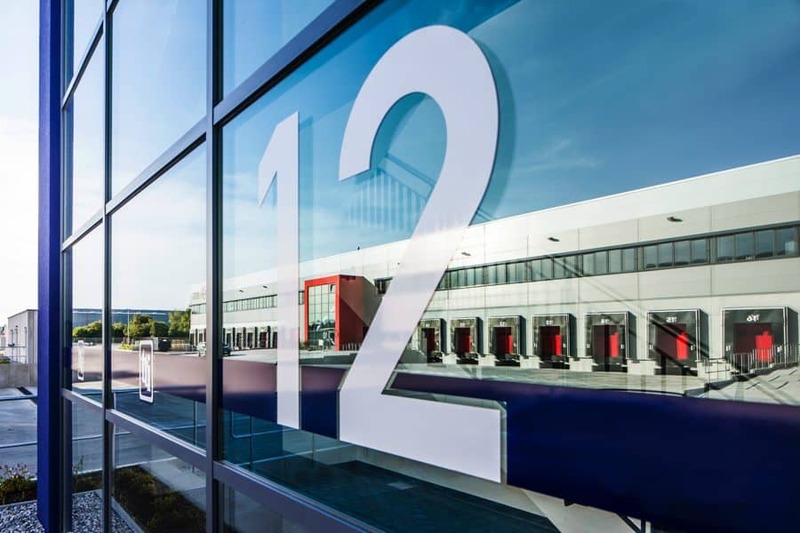 Marketing launch for the new 12,000m² large MULTIPARK Olching München West II on an area covering about 21,000m² in the business park G-Park471. 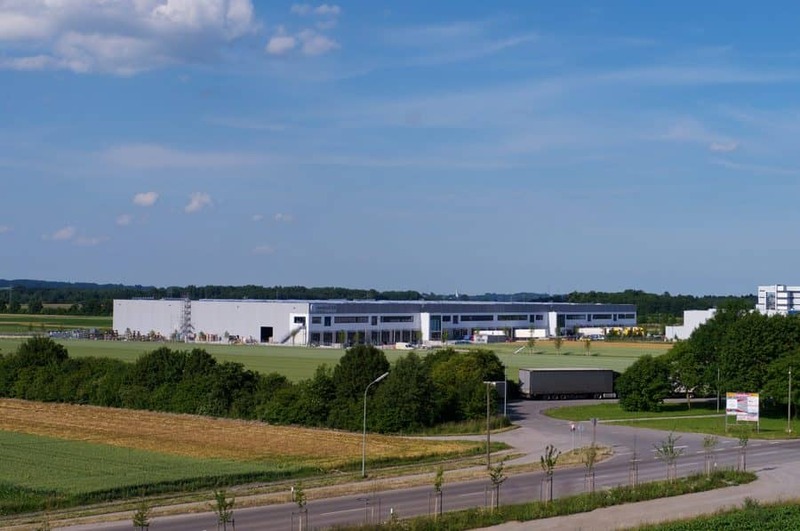 Sale of property 13 in the G-Park471 to Heiderbeck Käse vom Feinsten GmbH, who have increased their site area by about 3,400m² to a total of approximately 14,500m². 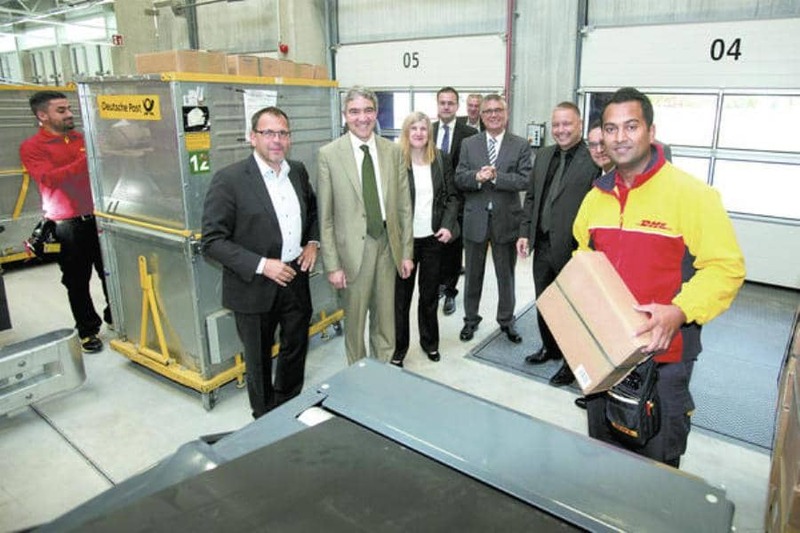 Construction start of the mechanical delivery point for the Deutsche Post DHL in Leimen near Heidelberg, Germany. Sale of property no. 12 in the G-Park471 for locating the Linergy GmbH on an area spanning about 1,500m². 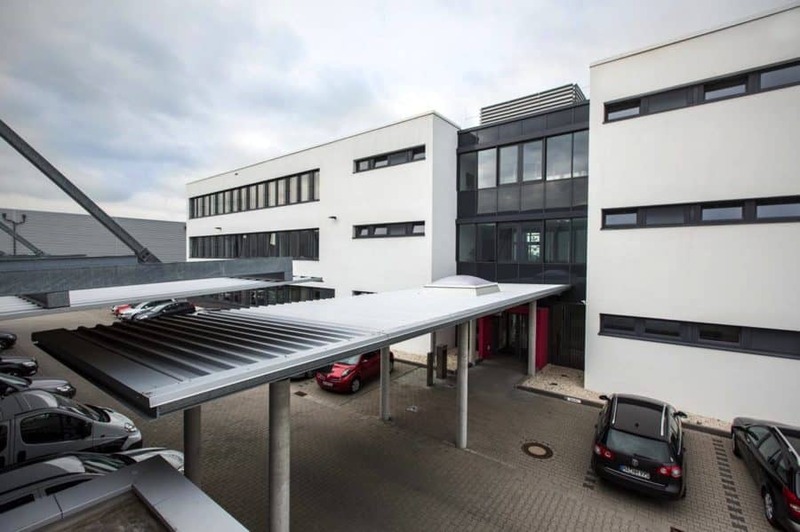 Conclusion of the lease with the RUG Semin GmbH and at the same time full occupancy of the renovated existing building on Pittlerstrasse in Langen (approximately 4,700m² warehouse and office space). 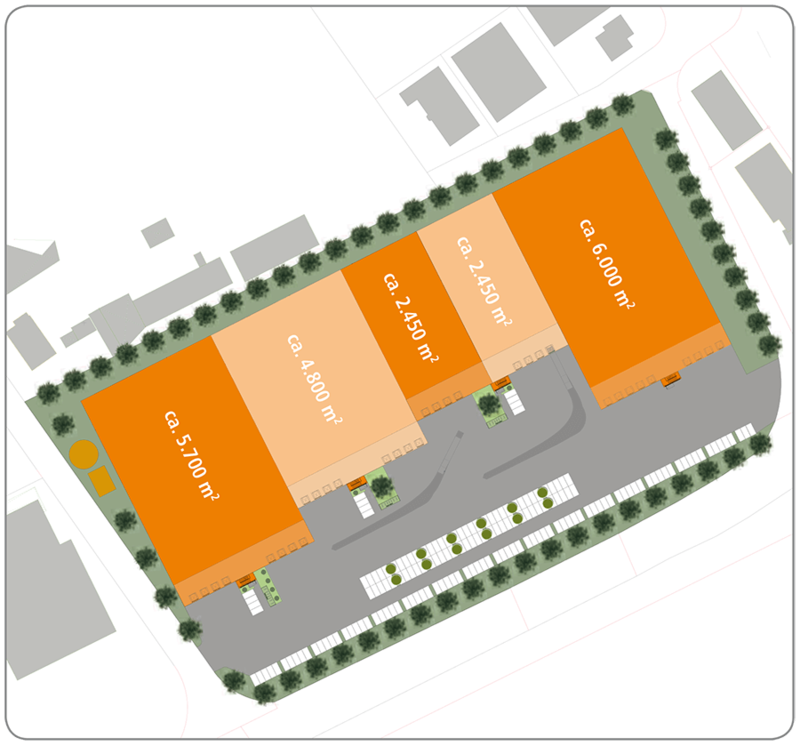 Purchase of a 50,000m² plot in Langen for a new industrial park. 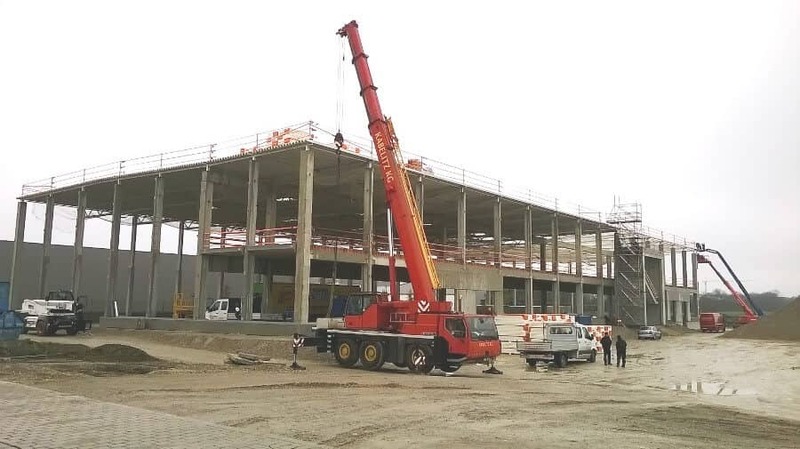 Construction start of the refrigerated storage hall and warehouse for BALTH. 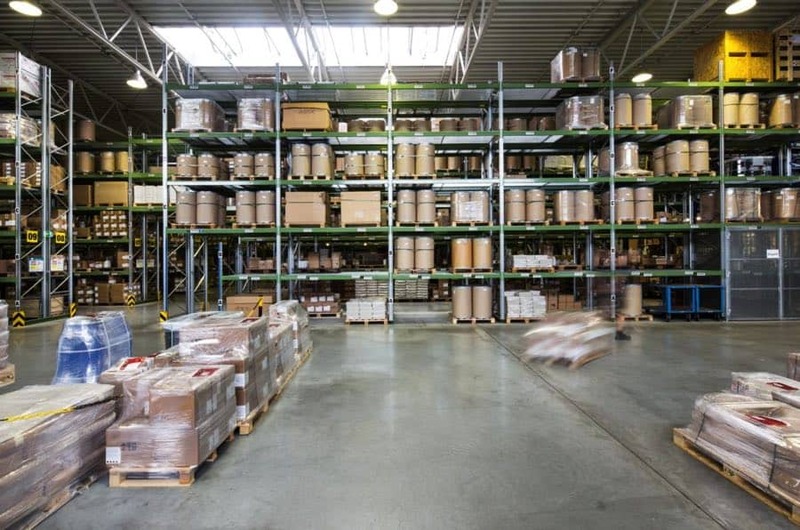 PAPP Internationale Lebensmittellogistik KG in Ottobrunn. Sale of property no. 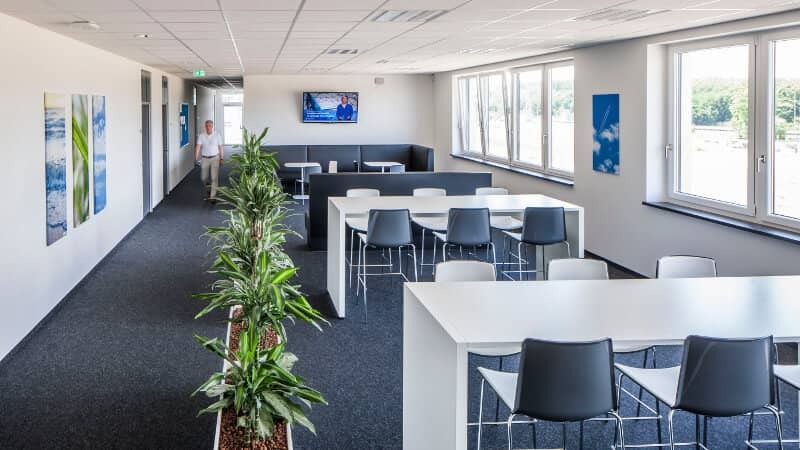 11 in the G-Park471as a location for TÜV Süd AG on an area of about 7,900m². Groundbreaking for the fourth construction phase of MULTIPARK on the Mönchhof area which is being custom built for DSV Air & Sea GmbH. 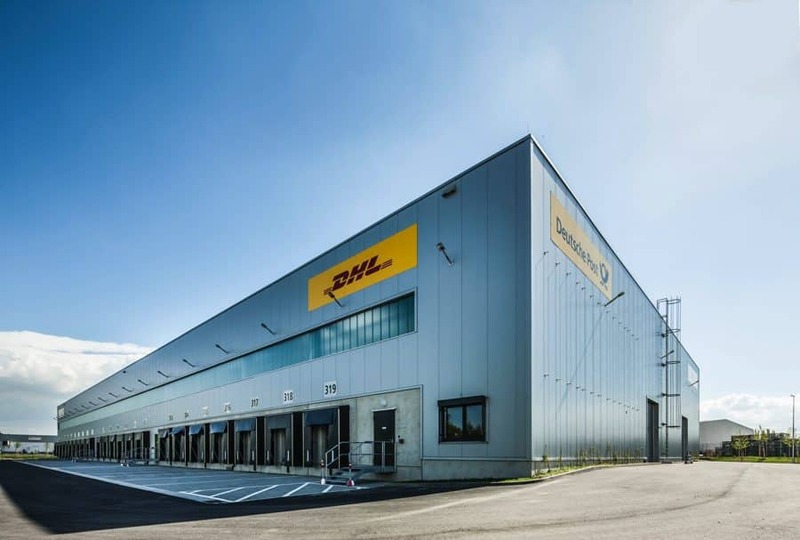 Construction start of the mechanical delivery point for Deutsche Post DHL in Ottobrunn. 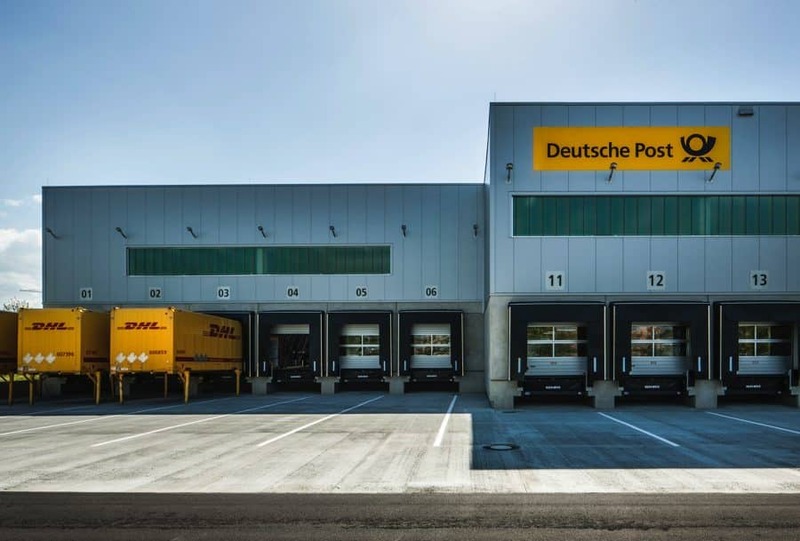 Completion and handover of the mechanical delivery point for Deutsche Post DHL in Ginsheim-Gustavsburg. 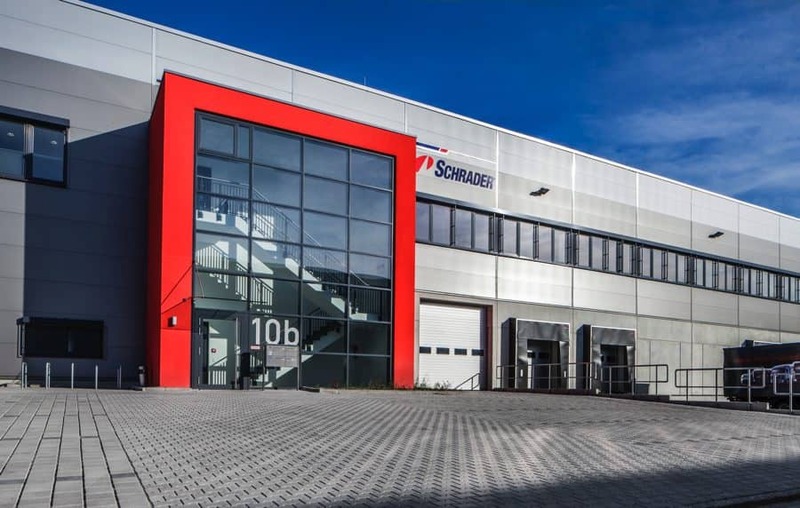 Conclusion of the lease contract with Schrader Electronics Ltd. (approximately 2,400m² warehouse and office space) in the MULTIPARK Olching. This means that the first MULTIPARK in Olching is fully occupied. 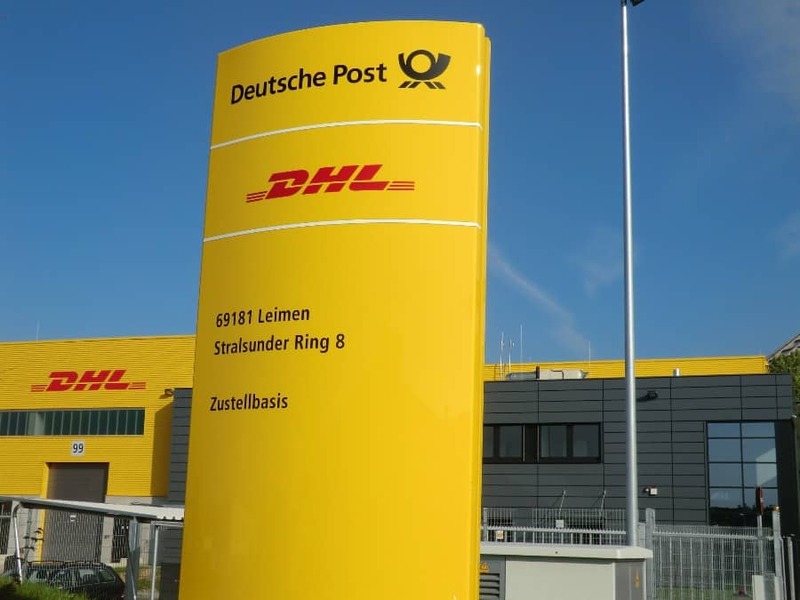 Conclusion of the lease contract with Deutsche Post DHL for a customized mechanical delivery point (approx. 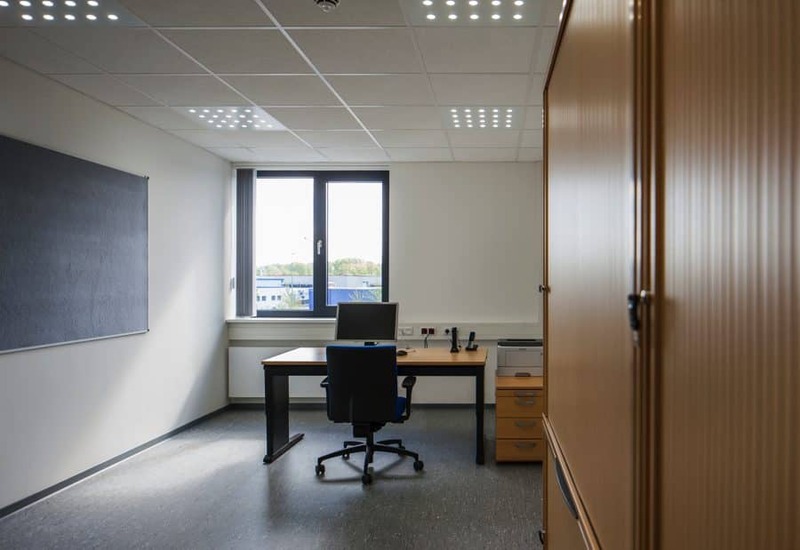 5,650m² warehouse and office space) on an area of about 17,900m² in Leimen near Heidelberg. Sale of property no. 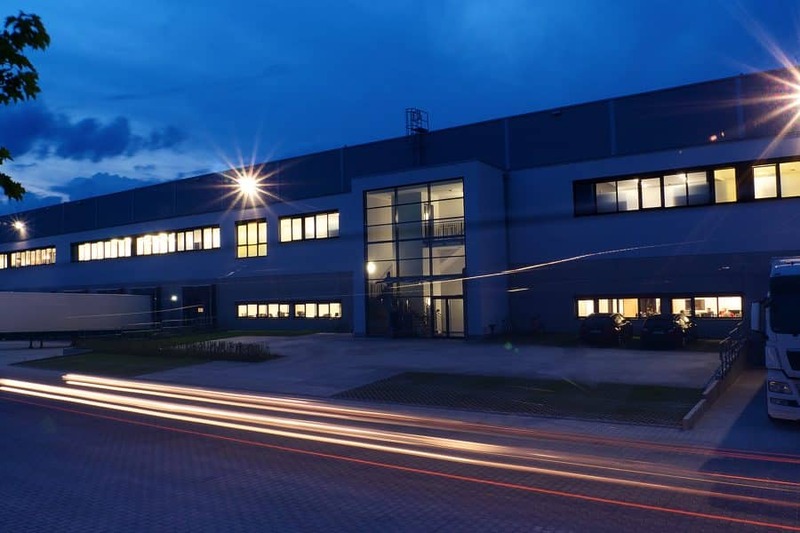 10 in the G-Park471 as a location for the Alber Metallbearbeitungs-GmbH on an area of about 1,800m². 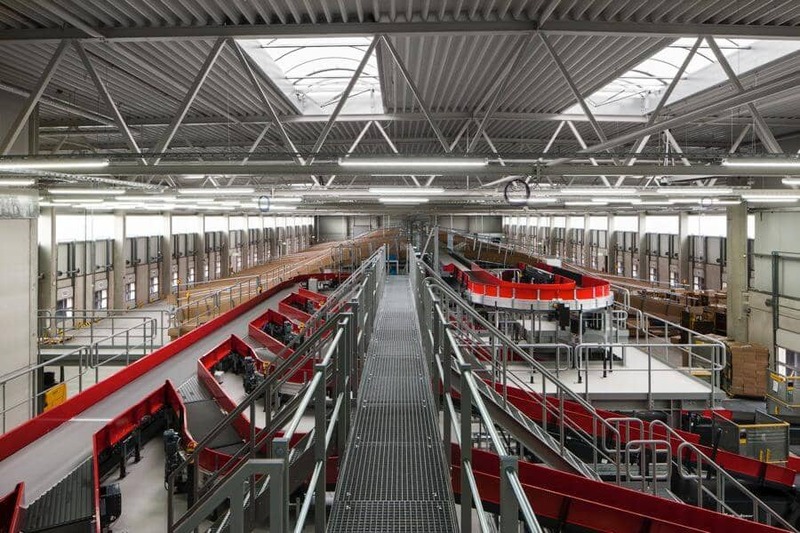 Full occupancy of the second construction phase in the MULTIPARK Olching. 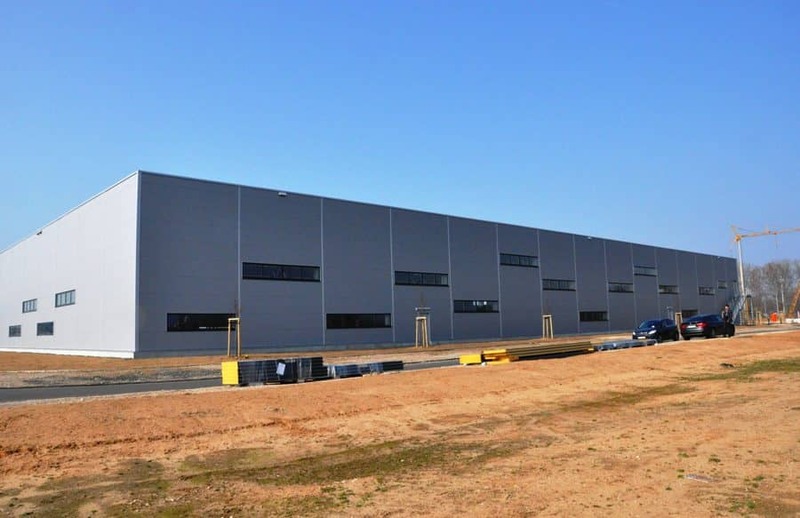 TTI Inc. leases the entire structure with roughly 10,000m² warehouse, gallery and office space. Sale of property no. 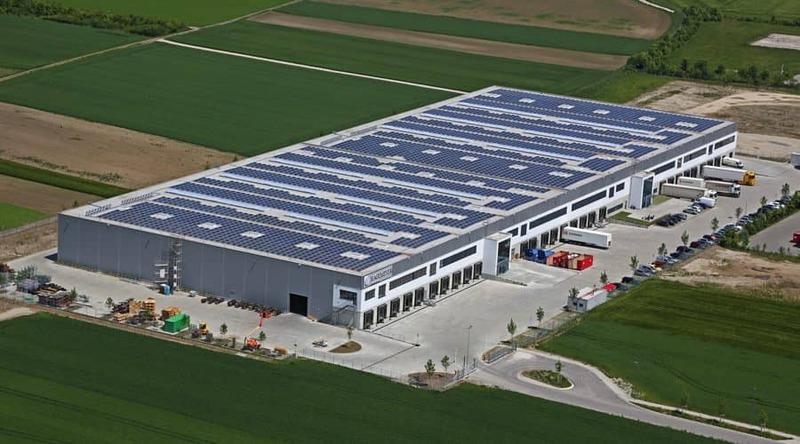 9 in the G-Park471 as a location for Auto Schweizer GmbH on about 2,100m². The sustainable Logistikzentrum Hagemeyer in Maisach near Munich receives the silver DGNB certificate. Conclusion of the rental agreement with DSV Air & Sea GmbH, which is renting the entire fourth construction stage in the MULTIPARK Mönchhof. 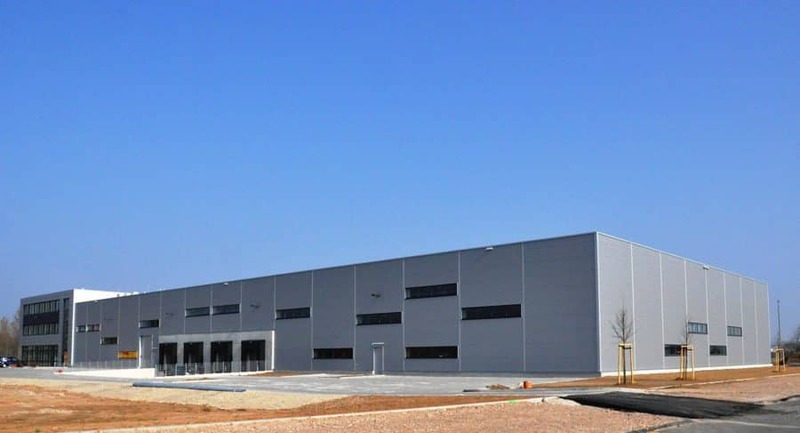 An area of about 9,000m² will be the location for a customized complex consisting of two structures with 5,200m² of office, gallery and warehouse space. 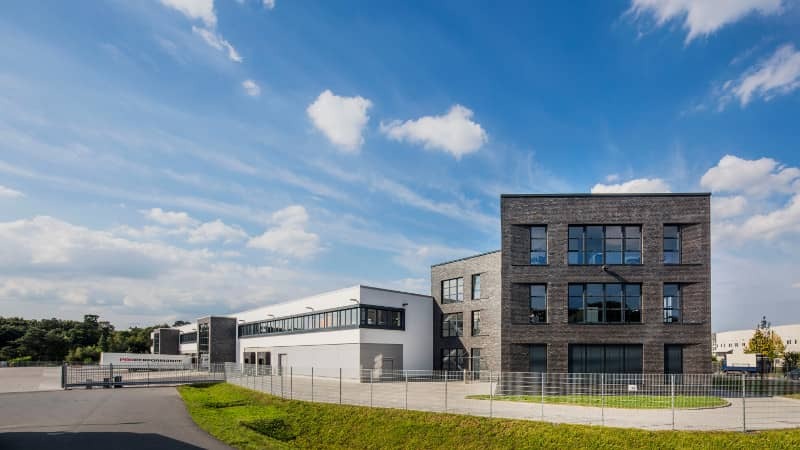 Sale of a plot of around 6,000m² in Langen to the IT company Advancis Software & Services GmbH, who are planning an office campus there. 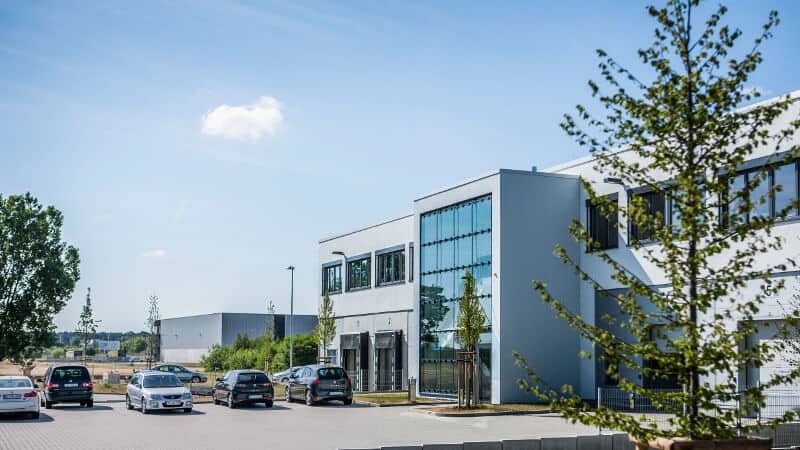 Conclusion of the rental agreement with Zwetko GmbH Fachgrosshandel für Betriebshygiene (approximately 2,000m² hall and office space) in theMULTIPARK Olching. 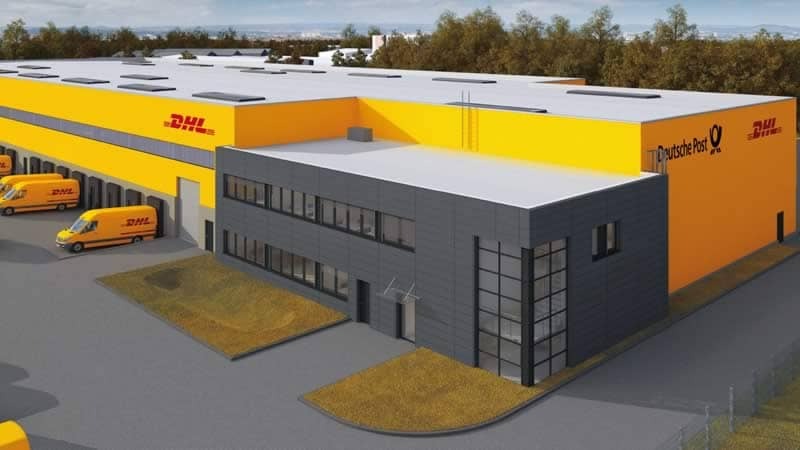 Construction start of the mechanical delivery point for Deutsche Post DHL in Ginsheim-Gustavsburg. Sale of property no. 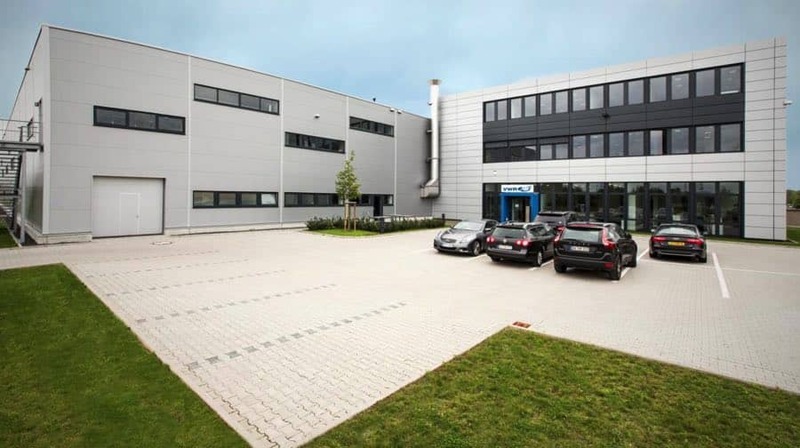 8 in the G-Park471 as a location for Schernthaner GmbH on approximately 12,750m². Conclusion of the rental agreement with BALTH. 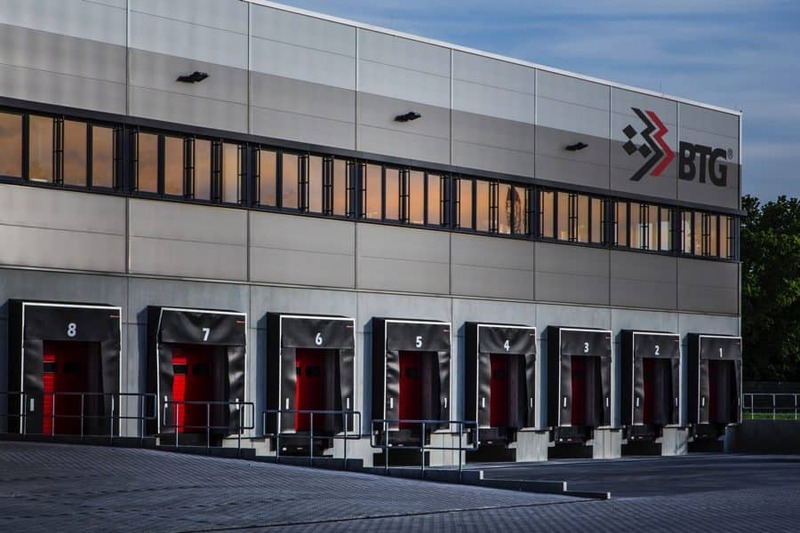 PAPP Internationale Lebensmittellogistik KG for a user-specific refrigerated storage and warehouse (approx. 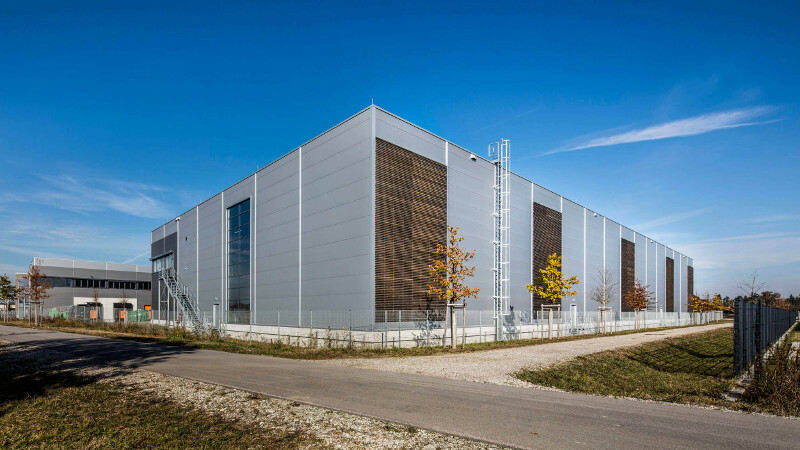 7,300m² storage and office space) on an area of about 13,100m² in Ottobrunn near Munich. 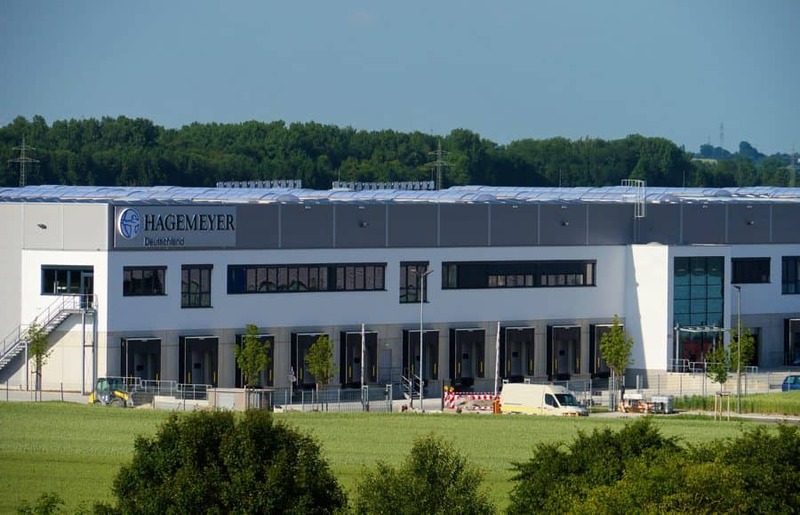 Handover of the Hagemeyer logistics center in Maisach to Cordea Savills. 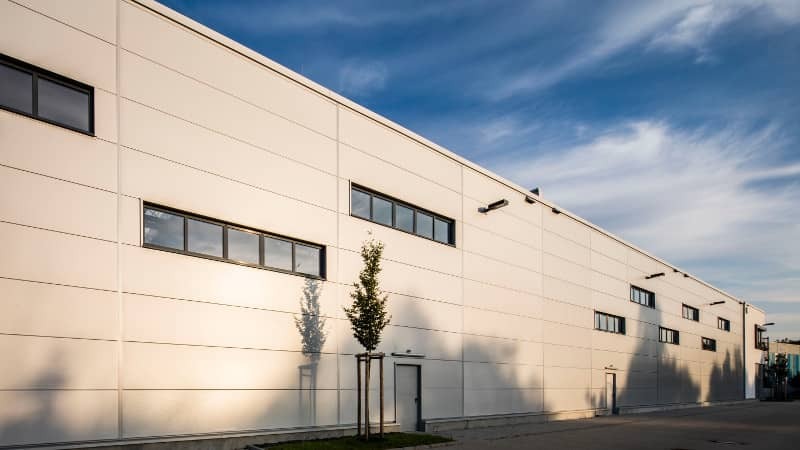 Conclusion of the rental agreement with the Klinikum der Universität München (approximately 3,000m² hall and service space for warehouse and service operation for the logistics supply of the KUM clinic) in the MULTIPARK Olching. 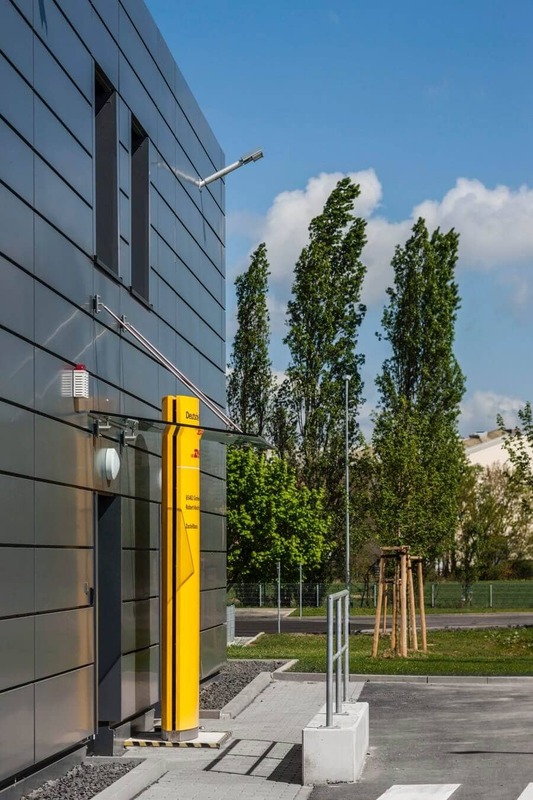 Conclusion of the rental agreement with Deutsche Post DHL for setting-up a user-specific mechanical delivery point (about 5,600m² hall and office space) on an area of about 15,200m² in Ottobrunn near Munich. 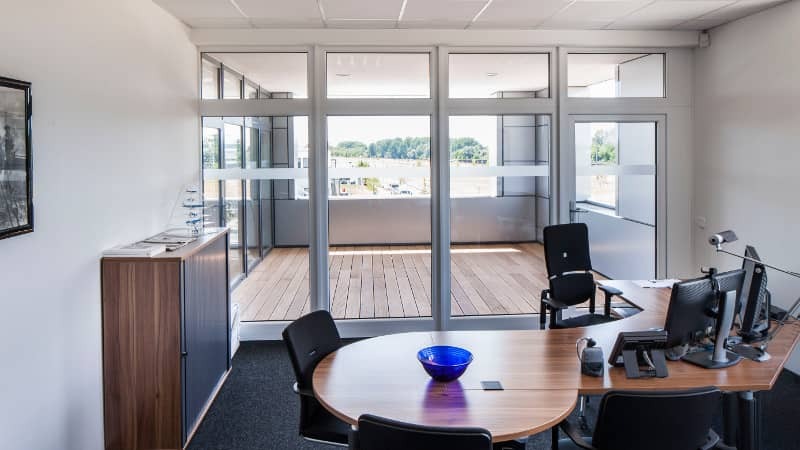 Our headquarters and the Kelsterbach sales office are relocating to the new office building in Langen situated between Frankfurt and Darmstadt. 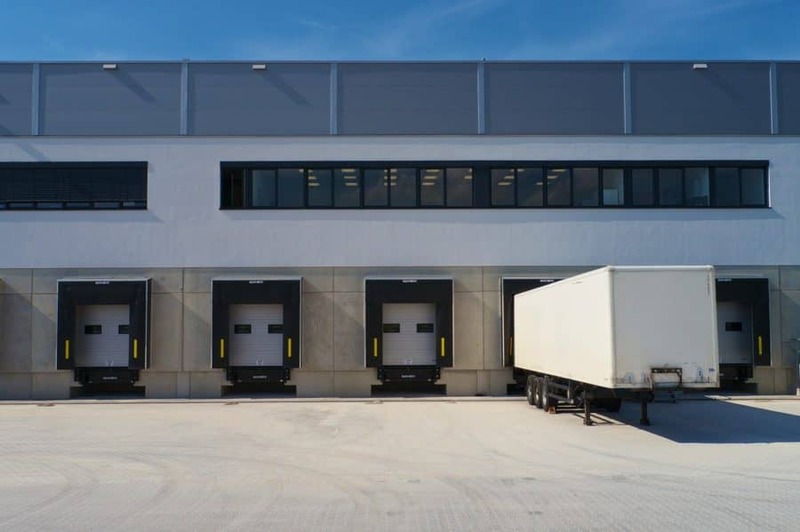 Completion of the air cargo warehouse for Streck Transportgesellschaft mbH on the Mönchhof premises in Kelsterbach near Frankfurt. 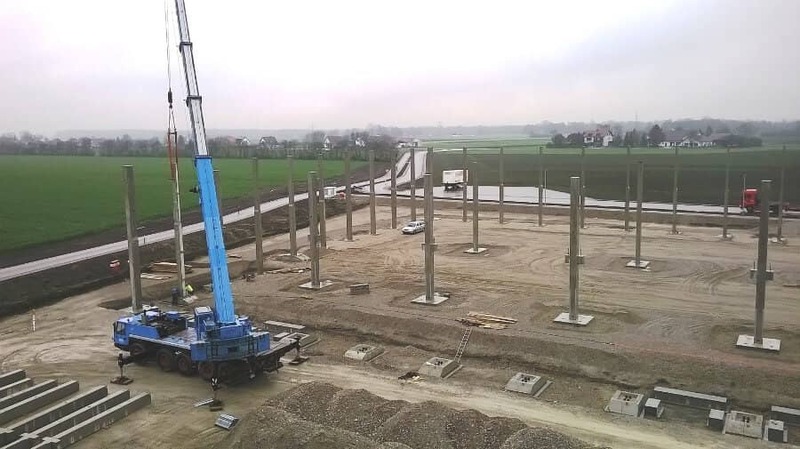 Construction start of the two MULTIPARK structures in Olching. 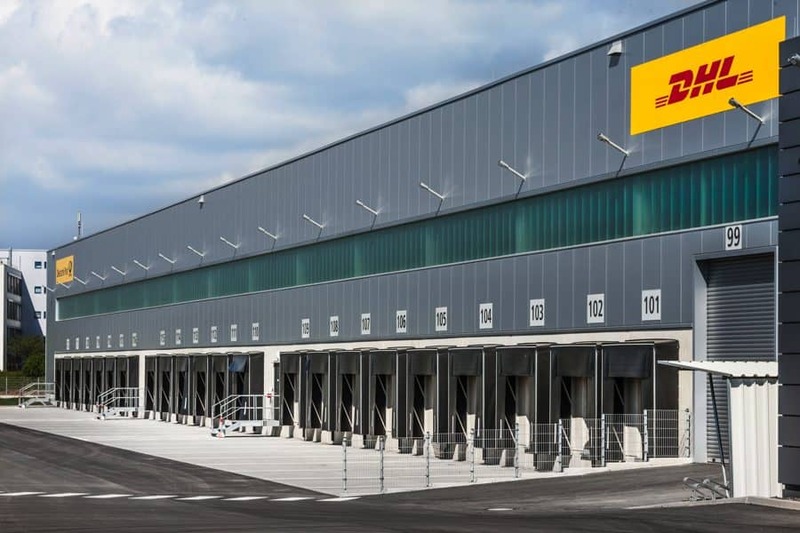 Conclusion of the rental agreement with the Deutsche Post DHL for setting up a user specific delivery point (approximately 5,500m² hall and office space, 8,200m² open area) on a property of about 19,000m² in Ginsheim-Gustavsburg. 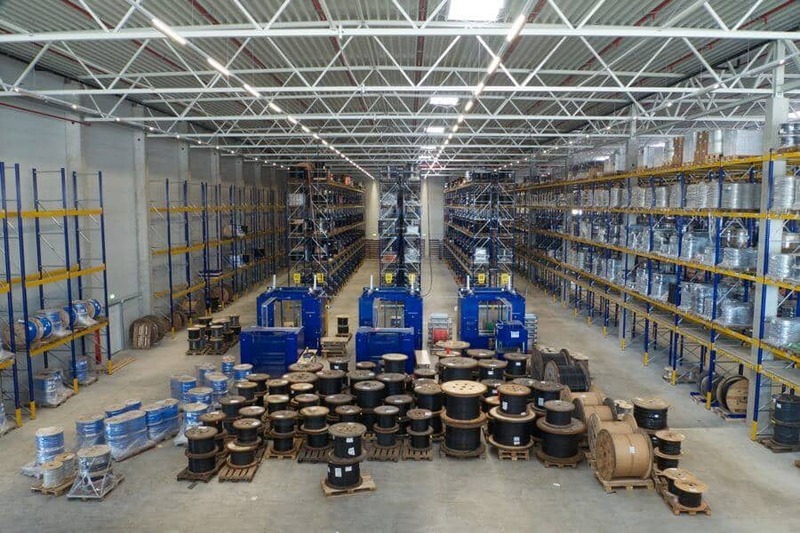 Aubinger Stahl- und Metallhandel GmbH is the first company to take up operations in the G-Park471 . 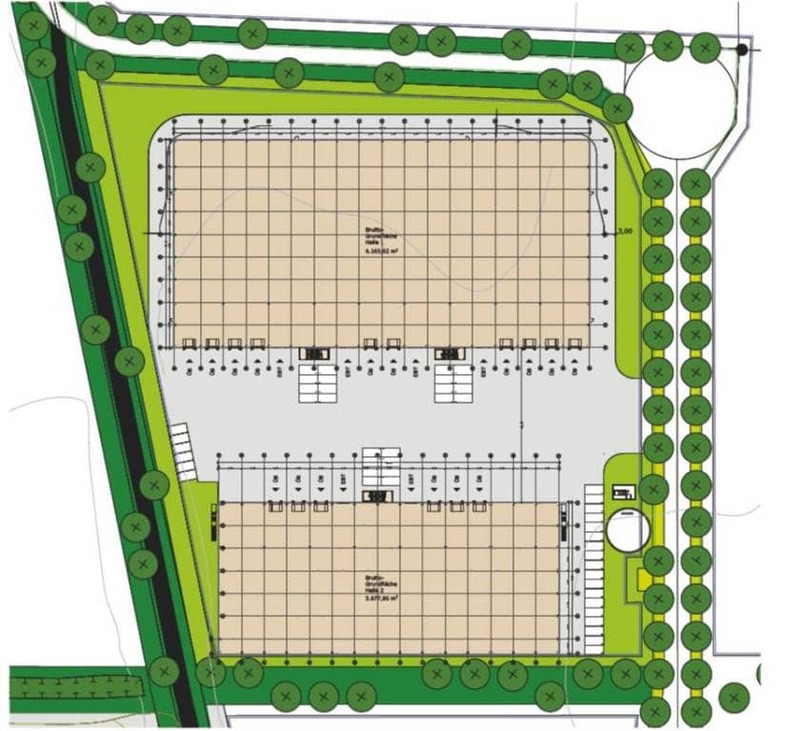 Planning start for the fourth and fifth construction phase of the MULTIPARK Mönchhof. 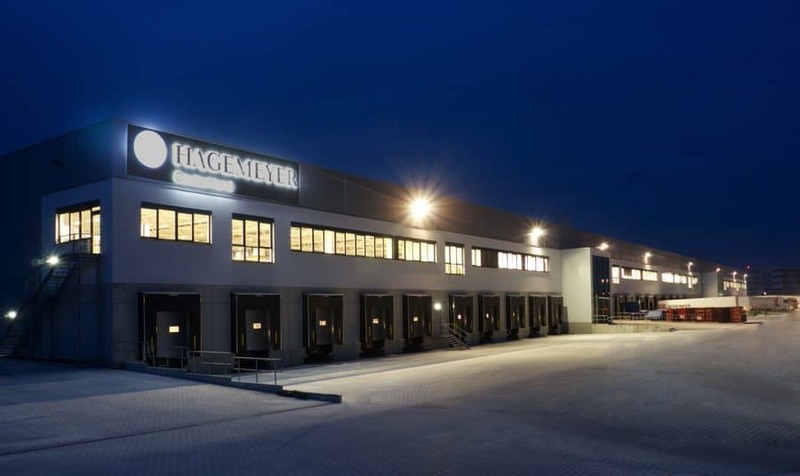 Sale of the Hagemeyer logistics center in Maisach to Cordea Savills. Sale of property no. 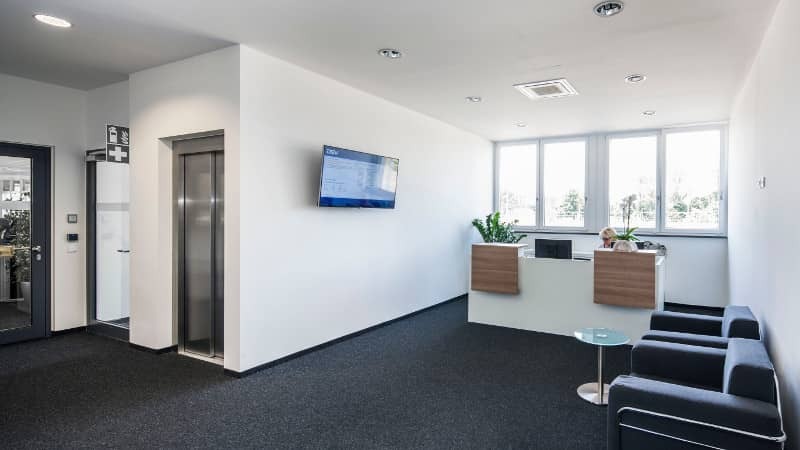 7 in the G-Park471 as a location for the head office of Spedition Helmut Müller GmbH and medin Medical Innovations GmbH on an overall area of about 7,600m². 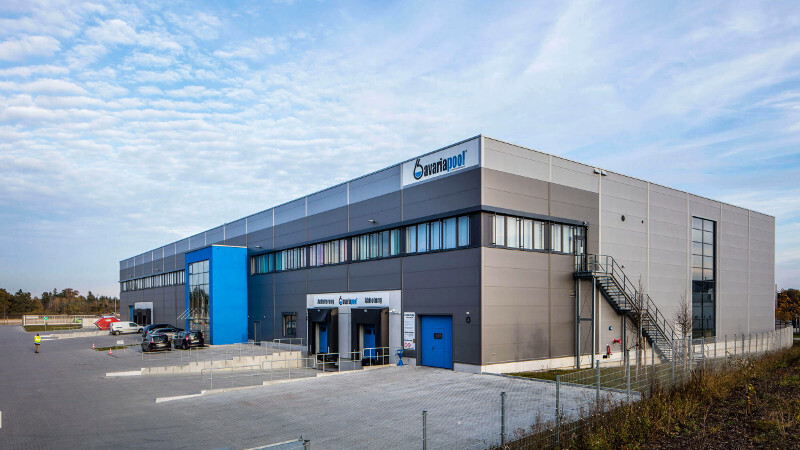 Munich branch of Steinau KG on about 5,000m². Sale of property no. 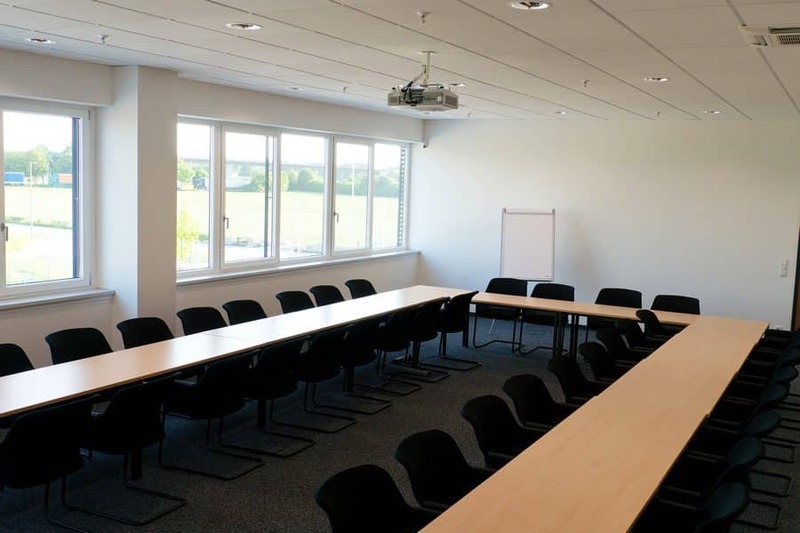 5 in the G-Park471 for establishing the company head quarters of Heiderbeck Käse vom Feinsten GmbH on about 11,100m². Sale of the “Luftfrachtlager Streck Transportgesellschaft mbH“ project on the Mönchhof site in Kelsterbach. Sale of property no. 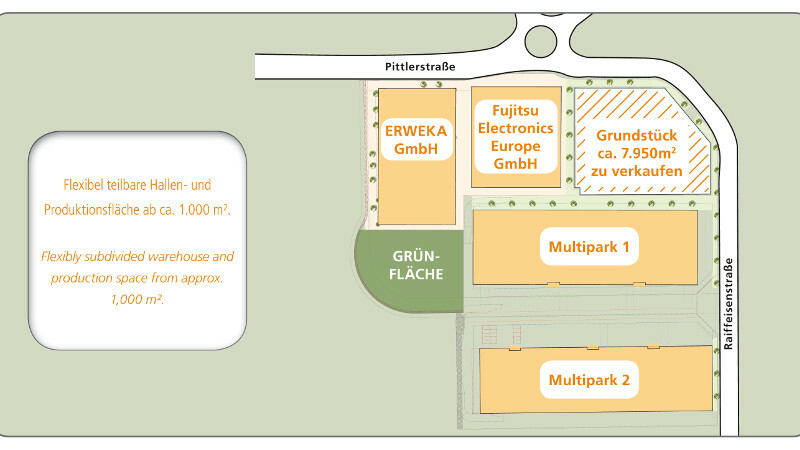 4 in the G-Park471 as a location for the headquarters of APM Gehäusetechnik GmbH on about 5,600m². Sale of property no. 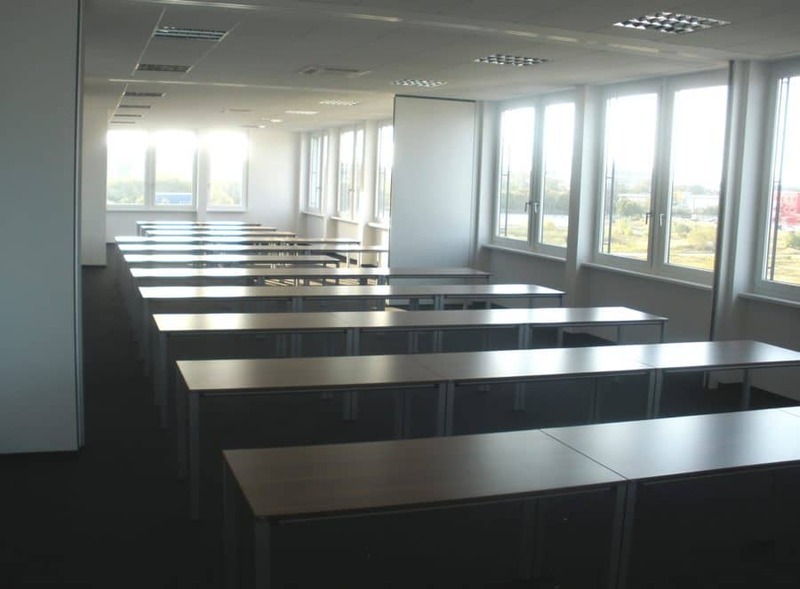 3 in the G-Park471 to the City of Olching as the location for a municipal institution on about 7,000m². 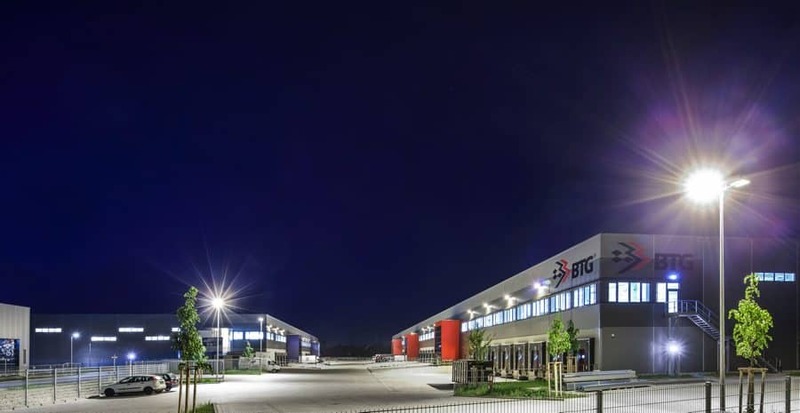 Conclusion of the first rental agreement with BTG Internationale Spedition GmbH in the MULTIPARK Olching (approximately 6,800m² hall space and about 800m² office space). 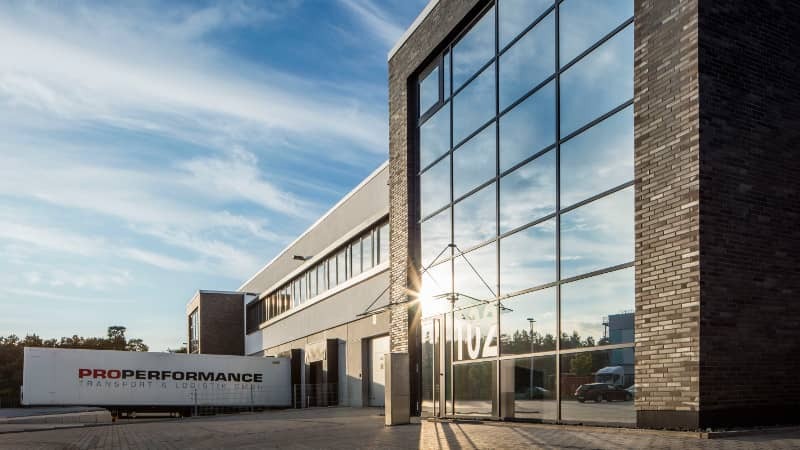 Marketing launch for the MULTIPARK Olching covering 25,000m² west of Munich on an area of about 42,000m² in the business park G-Park471. Full occupancy of the second construction phase in the MULTIPARK Mönchhof. 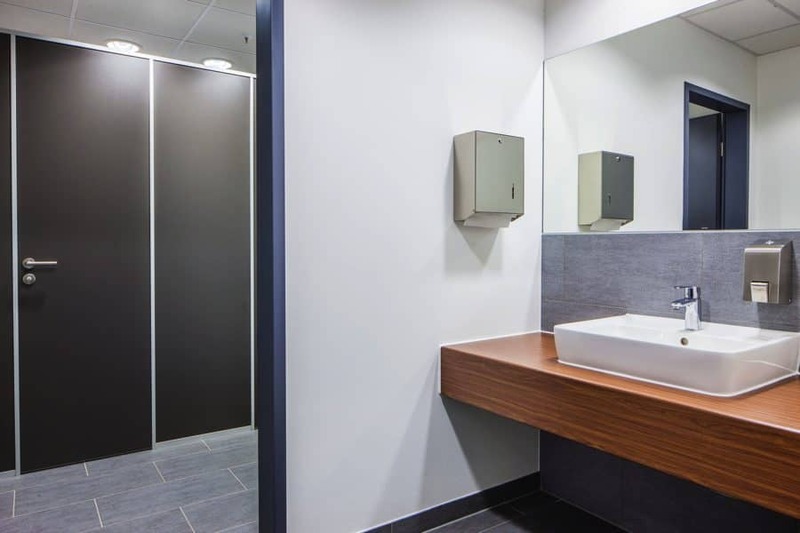 Conclusion of the lease contract with Bilfinger HSG Facility Management GmbH (approximately 2,700m² hall space and about 750m² office space) in the second construction phase of the MULTIPARKs Mönchhof. 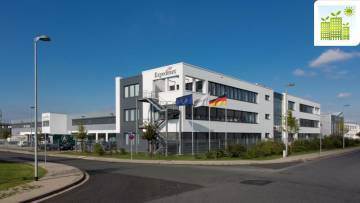 Sale of a plot of approximately 14,000m² in Bensheim to the Pharmazeutische Fabrik Dr. Reckeweg & Co. GmbH. 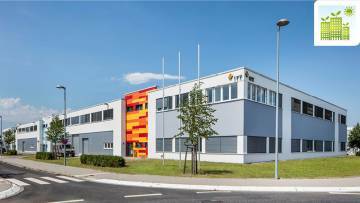 Purchase of a plot of about 21,700m² in Ottobrunn on the Finsinger Feld from Tyco Electronics Corporation. 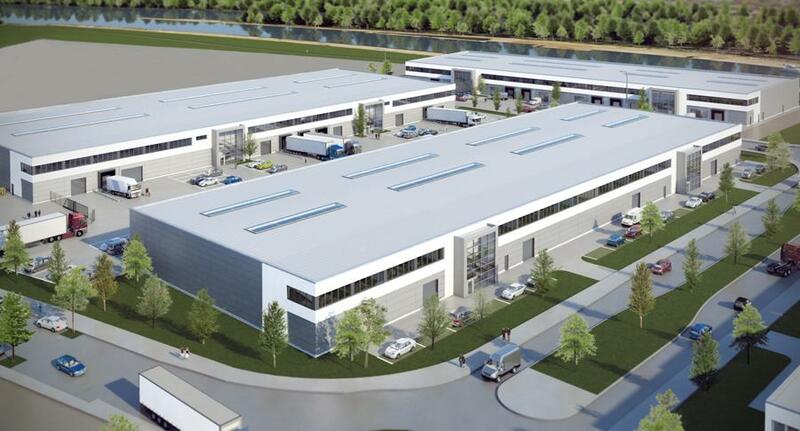 Groundbreaking for central warehouse for southern Germany for Hagemeyer Deutschland GmbH & Co. KG in Maisach. 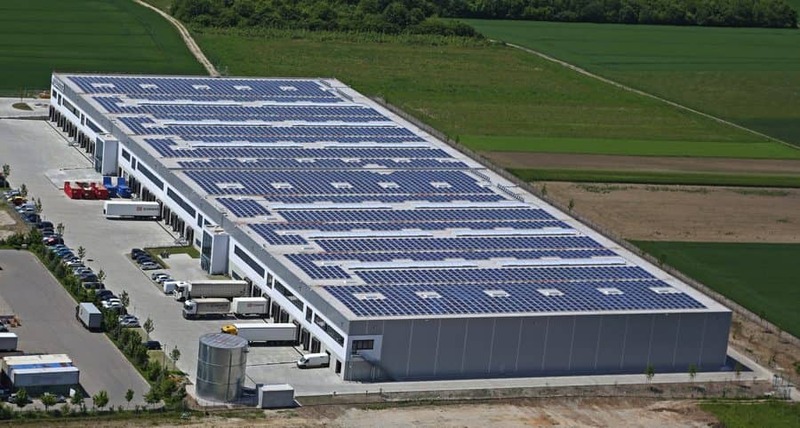 Sale of the third construction phase of MULTIPARK Mönchhof to CBRE Global Investors. 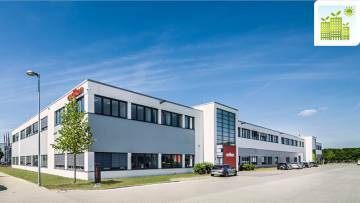 Sale of the second plot in the G-Park471 as location for the company headquarters of Gläsener + Schmidt GmbH on an area of about 6,200m². Start of construction for Proto-Technik Gesellschaft für Gestaltung technischer Produkte mbH. 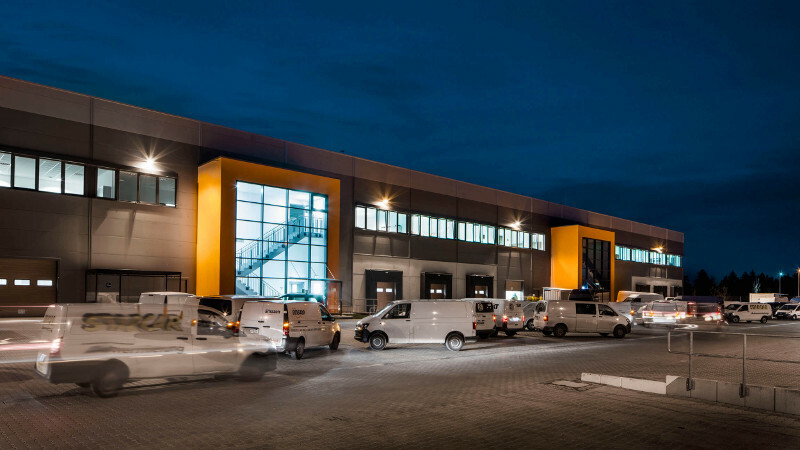 Property handover to basan GmbH. Sale of the first plot in the G-Park471 for Aubinger Eisenhandel GmbH company headquarters on an area of approximately 10,900m². 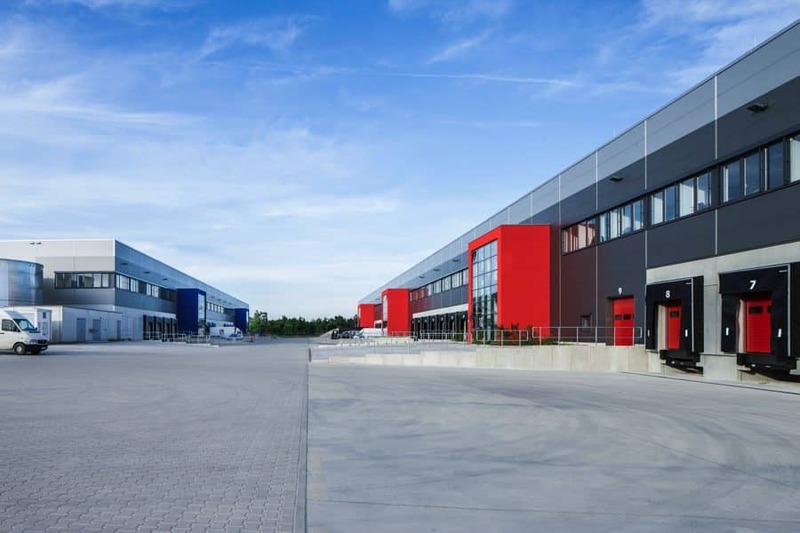 Conclusion of the rental agreement with Proto-Technik Gesellschaft für Gestaltung technischer Produkte mbH (about 640m² office and about 2,400m² hall space) for a customized logistics site on an area of 5,800m² in Bergkirchen near Munich. 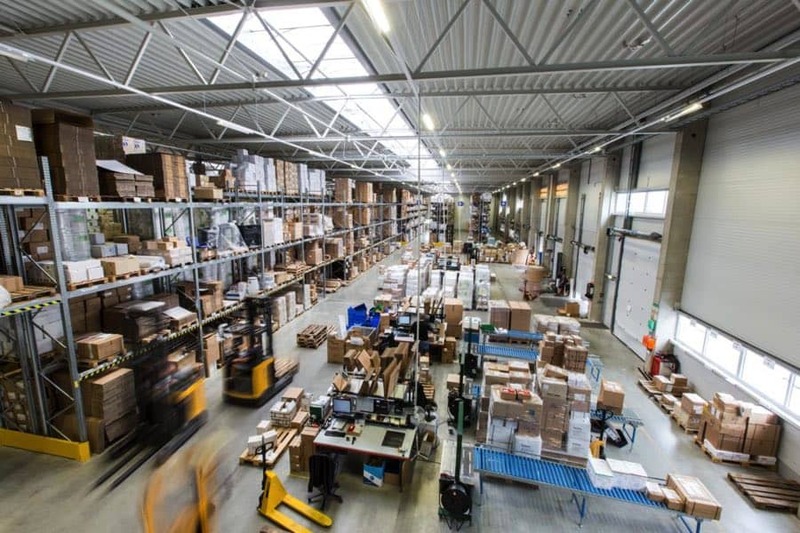 Project realization takes place as a joint venture with the Isarkies-Gruppe. 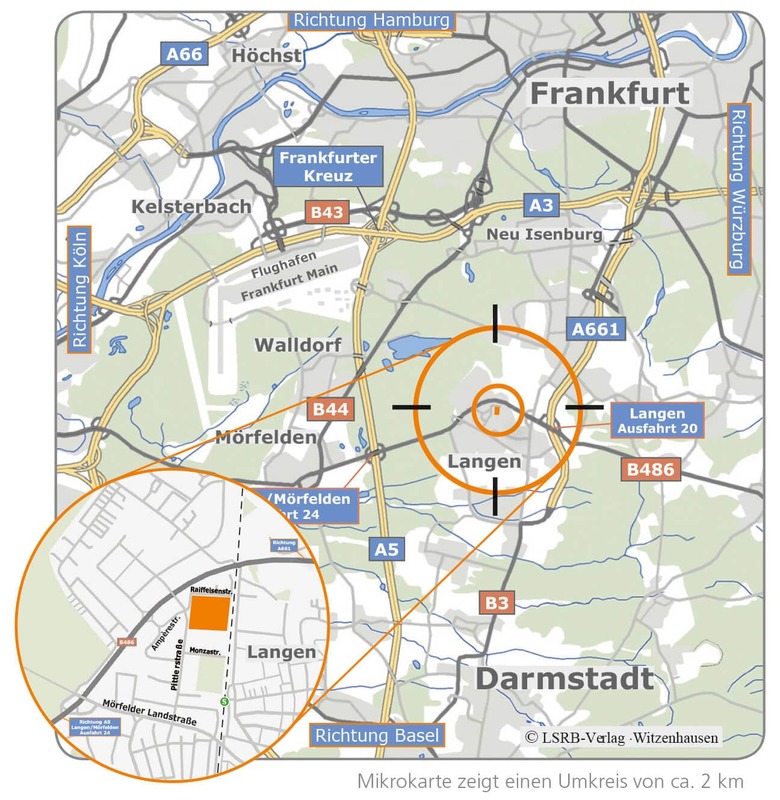 Marketing launch for the G-Park471 business park at the Dachau/Fürstenfeldbruck (A8) exit, directly on the B471 covering about 270,000m². Sale of the first and second construction phase of the MULTIPARK Mönchhof to CBRE Global Investors. 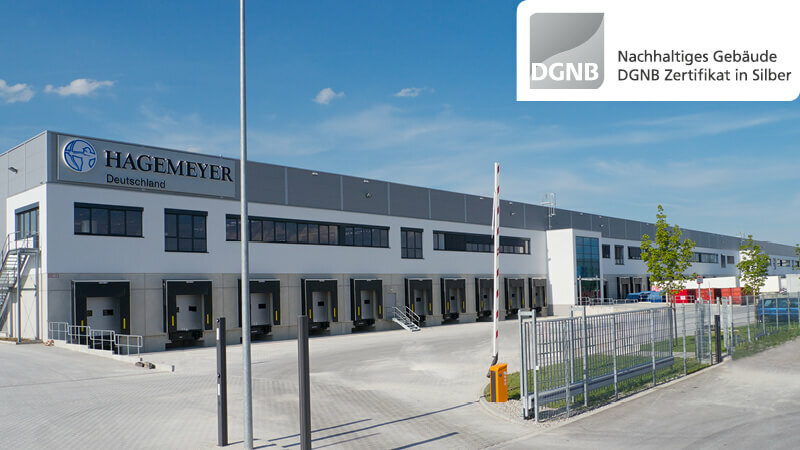 Conclusion of the rental agreement with Hagemeyer Deutschland GmbH & Co. KG as a location for a customized logistics site (about 20.000m² hall space and about 2,400m² office and gallery space) on an area covering 41,000m² in Maisach west of Munich. 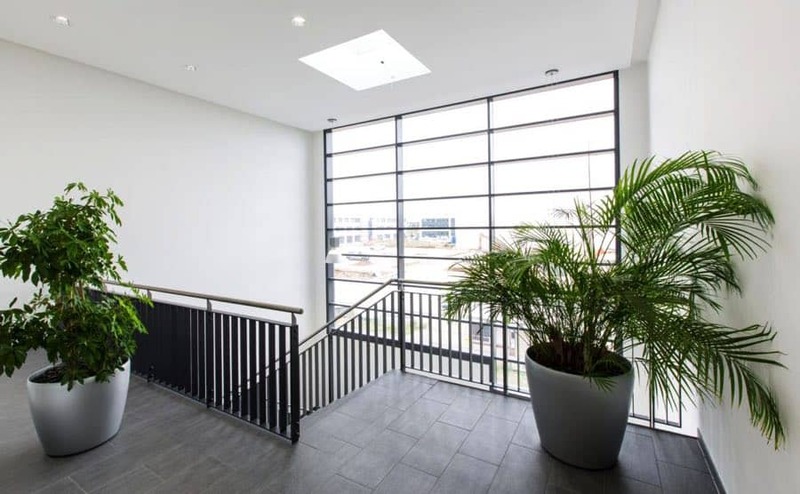 Property handover to Sovereign Speed GmbH. Completion of the second construction phase of the MULTIPARK Mönchhof. 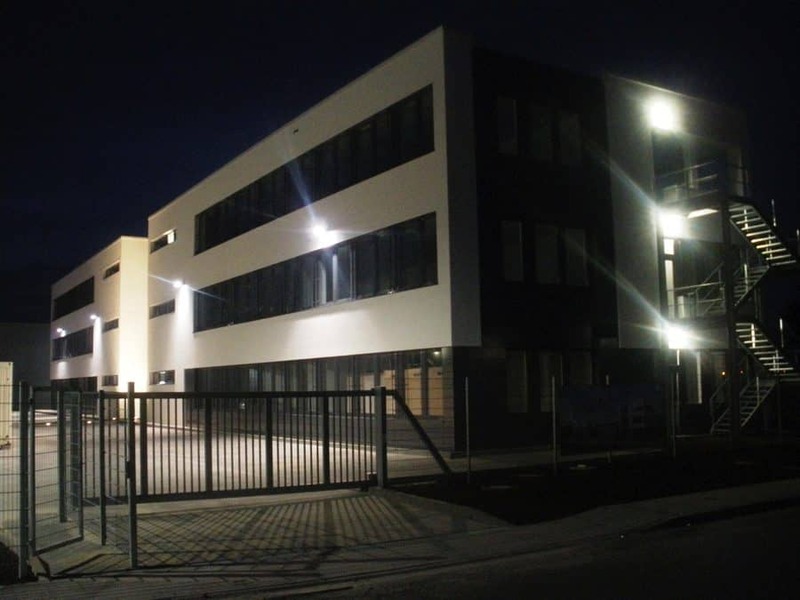 Property handover of the second construction phase of the MULTIPARK Mönchhof to Oerlicon Metco Europe GmbH. 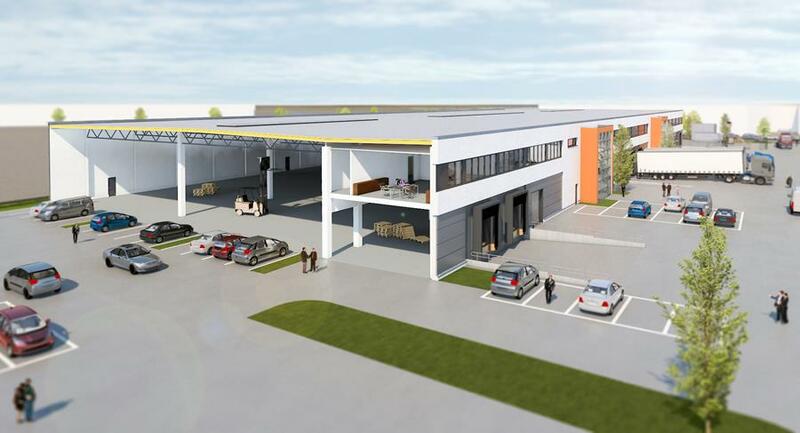 Conclusion of the third rental agreement for the first construction phase of MULTIPARK Mönchhof with Sovereign Speed GmbH (about 800m² warehouse space and about 300m² office and gallery space). 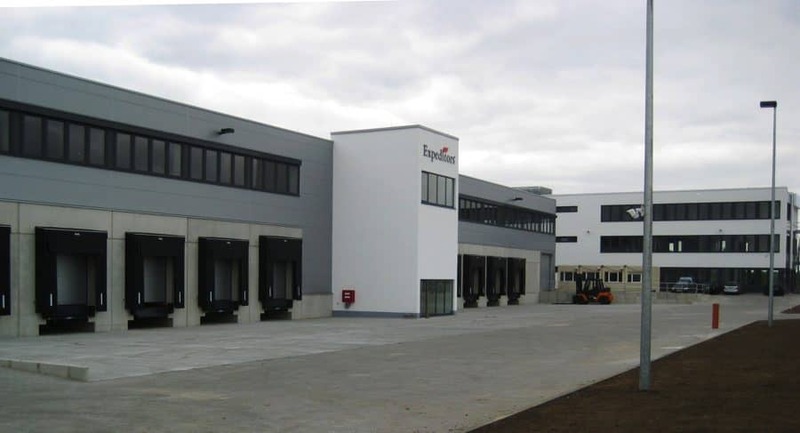 Conclusion of the rental agreement for the third construction phase of MULTIPARK Mönchhof with basan GmbH (about 4,100m² warehouse space and about 1,400m² office space). Topping out ceremony for the second construction phase of the MULTIPARK Mönchhof. 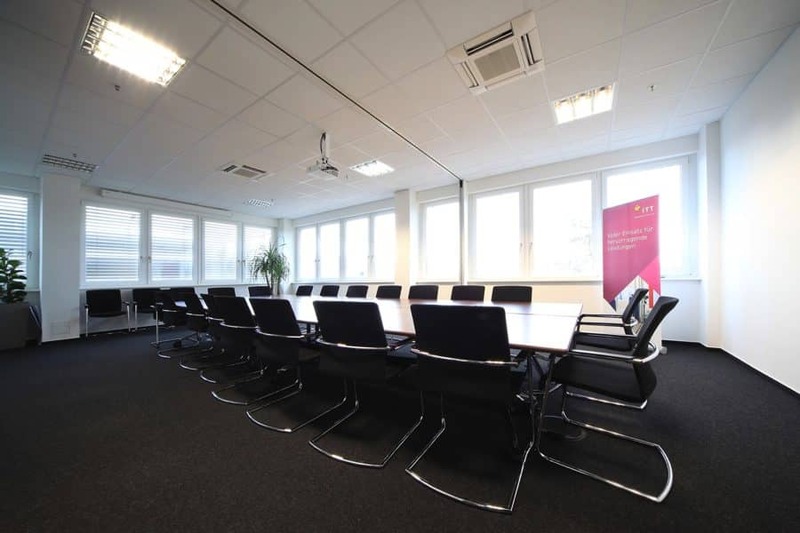 Property transition of Expeditors International GmbH to AXA Investment Managers Deutschland GmbH. Construction start for the second construction phase of the MULTIPARK Mönchhof. Completion of the first construction phase of the MULTIPARK Mönchhof. 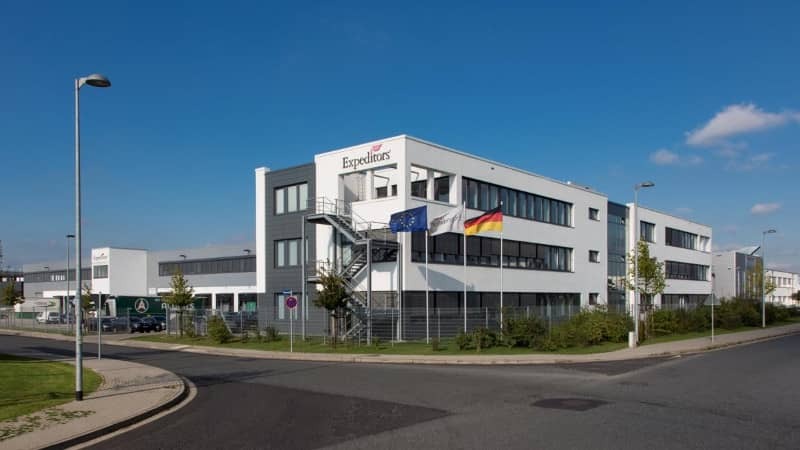 Sale of the property of Expeditors International GmbH to AXA Investment Managers Deutschland GmbH. 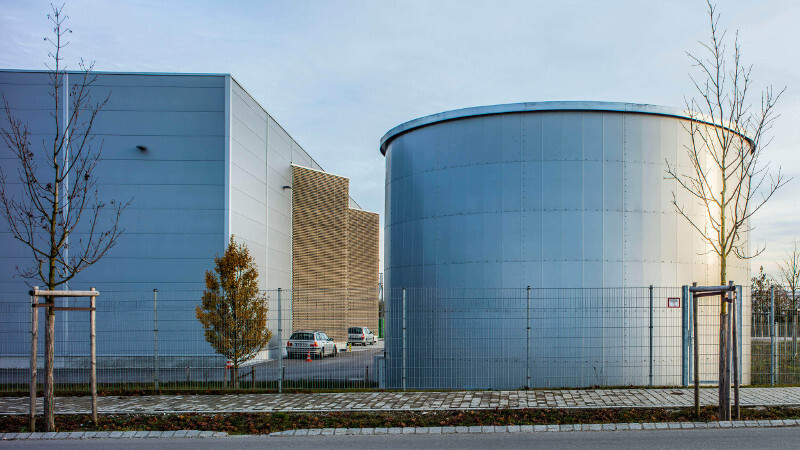 OFB Projektentwicklung GmbH, subsidiary of HELABA takes on a 50% share of the joint venture for the MULTIPARK Mönchhof project. 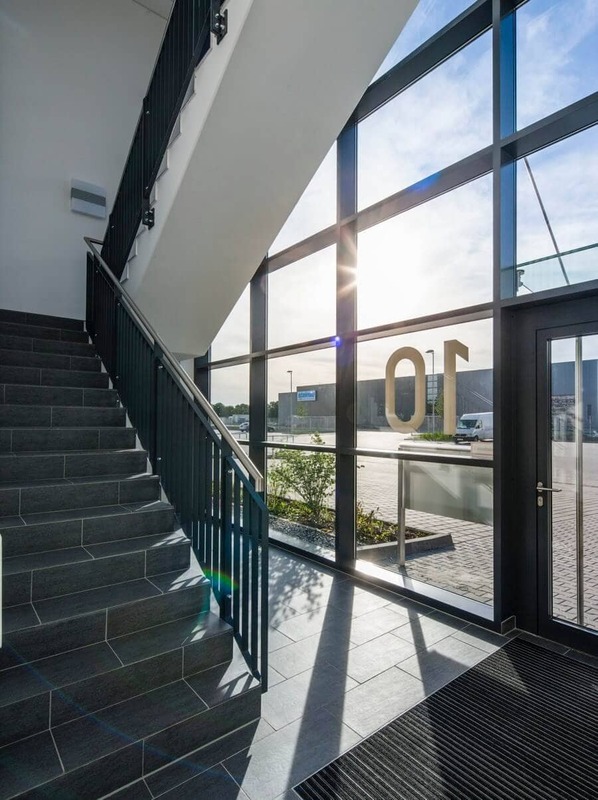 Conclusion of the first rental agreement for the second construction phase of MULTIPARK Mönchhof with Oerlicon Metco Europe GmbH (about 1,900m² hall and about 1,250m² office space). 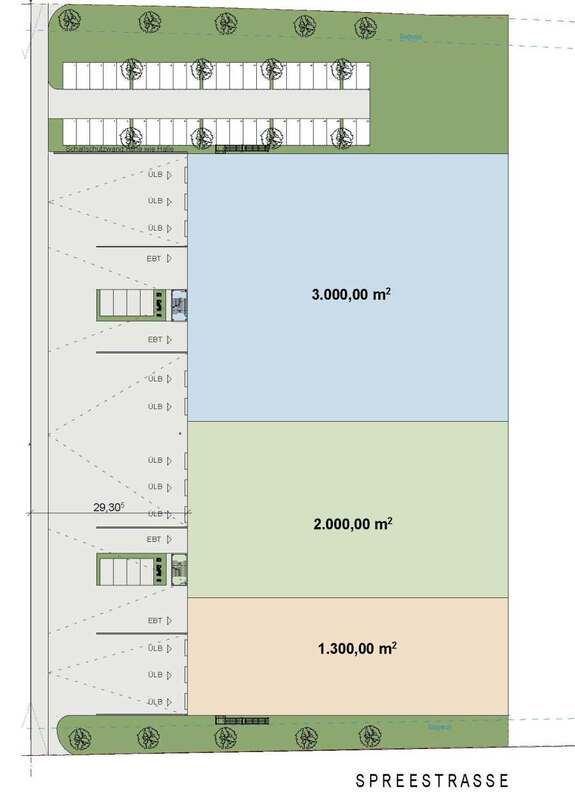 Purchase of the former Woolworth site, about 20,000m², in Langen from Cerberus for construction of another MULTIPARK. 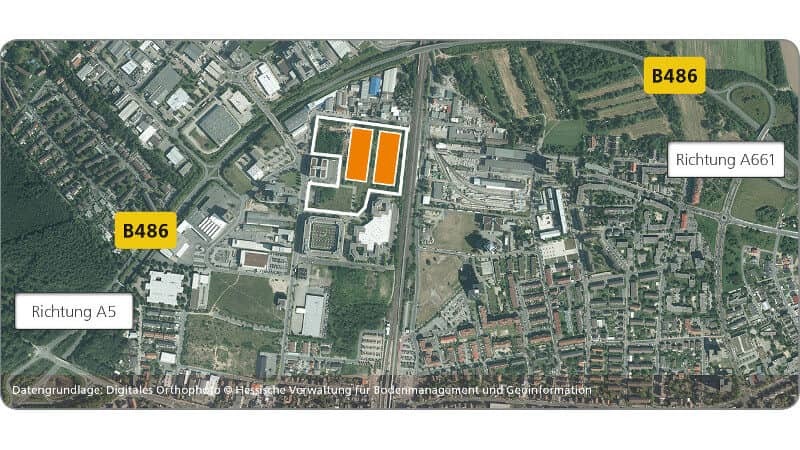 Purchase of an area of approximately 14,000m² in Bensheim from the Bundesimmobilienanstalt to build another MULTIPARK. 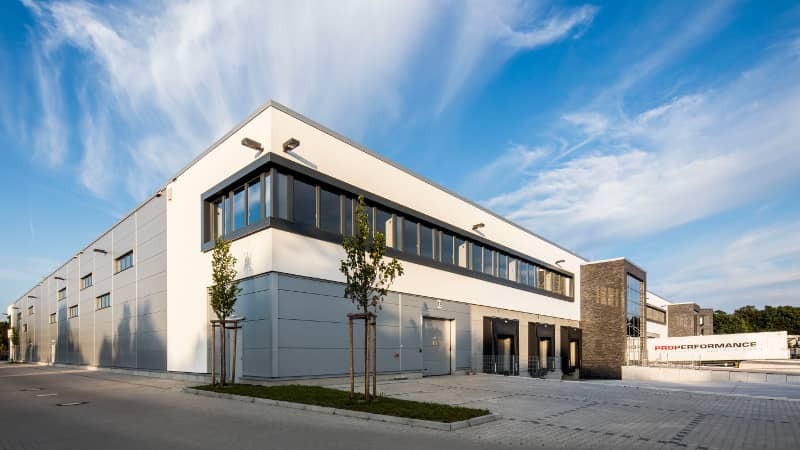 Conclusion of the second rental agreement for the first construction phase of MULTIPARK Mönchhof with ITT Industrie Management GmbH (about 1,200m² warehouse and about 1,400m² office space). 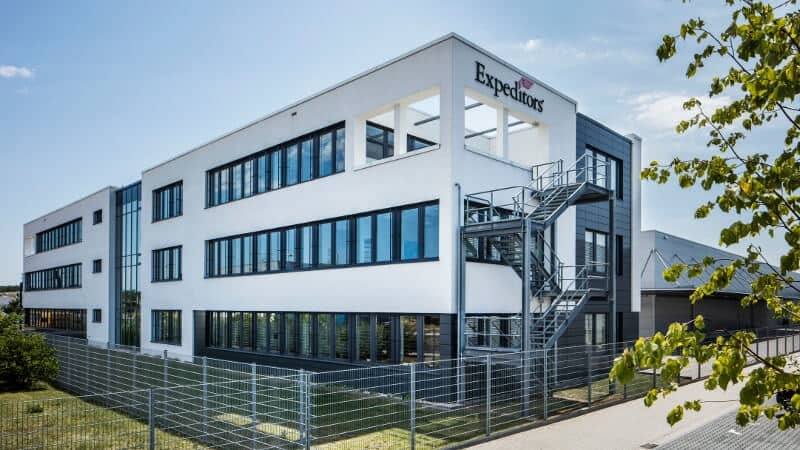 Completion of the project for Expeditors International GmbH. 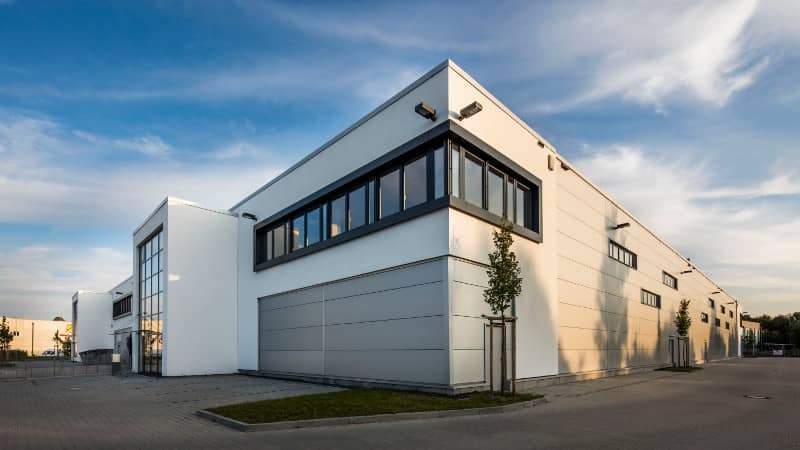 Conclusion of the second rental agreement for the MULTIPARK Eching with MWM GmbH (about 600m² warehouse and about 230m² office space). 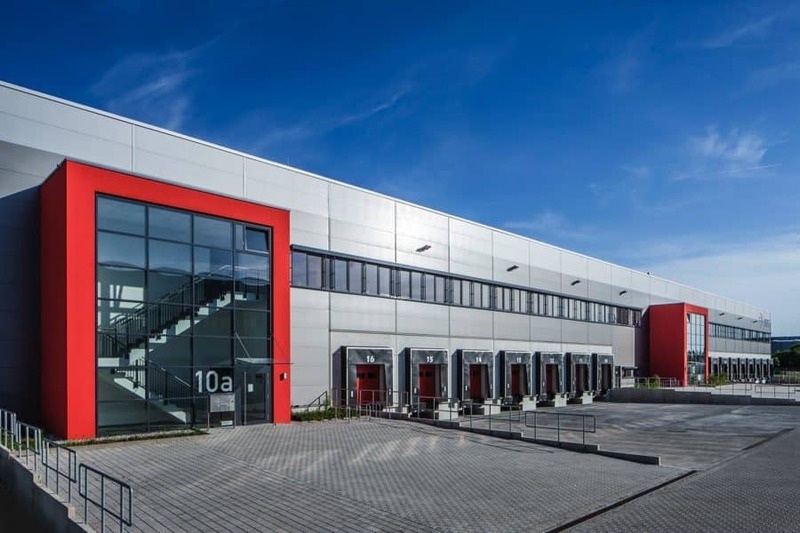 Conclusion of the first rental agreement for the MULTIPARK Eching with Crown Gabelstapler GmbH & Co. KG (about 990m² warehouse and about 230m² office space). 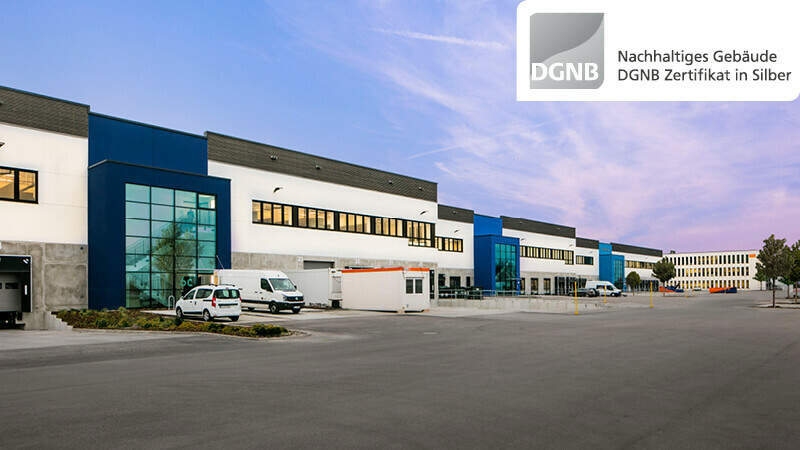 Conclusion of the first rental agreement for the first construction phase of MULTIPARK Mönchhof with OVG Industrieverpackungs- Gesellschaft mbH (about 1,300m² warehouse and about 250m² office space). 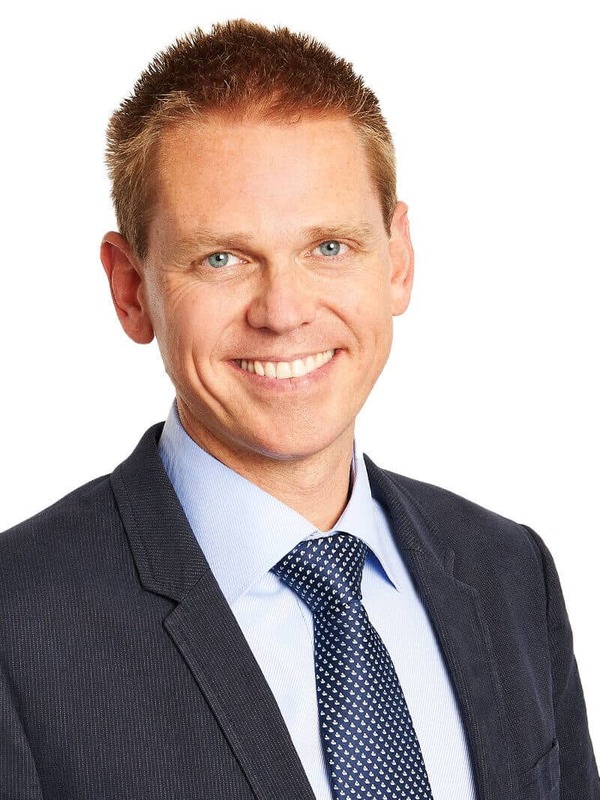 Ralph Gumb joins the Managing Board. 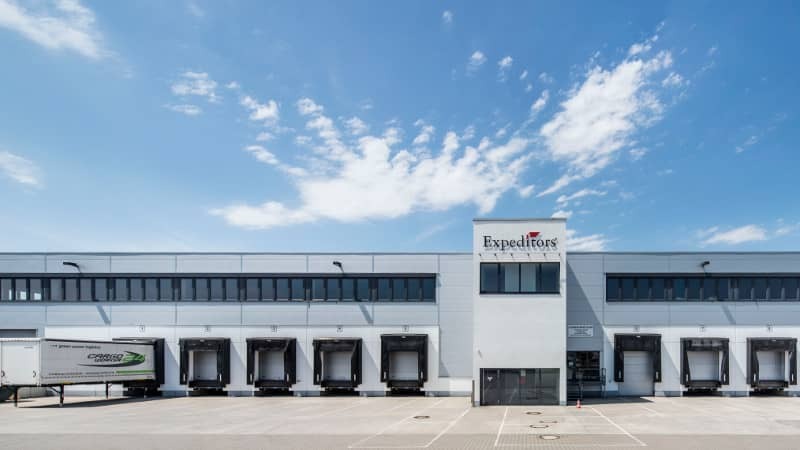 Conclusion of the rental agreement with Expeditors International GmbHfor a customized logistics site (about 4,000m² hall and gallery space and about 2,900m² office space) on an area of about 10,000m² in Kelsterbach near the Frankfurt airport. 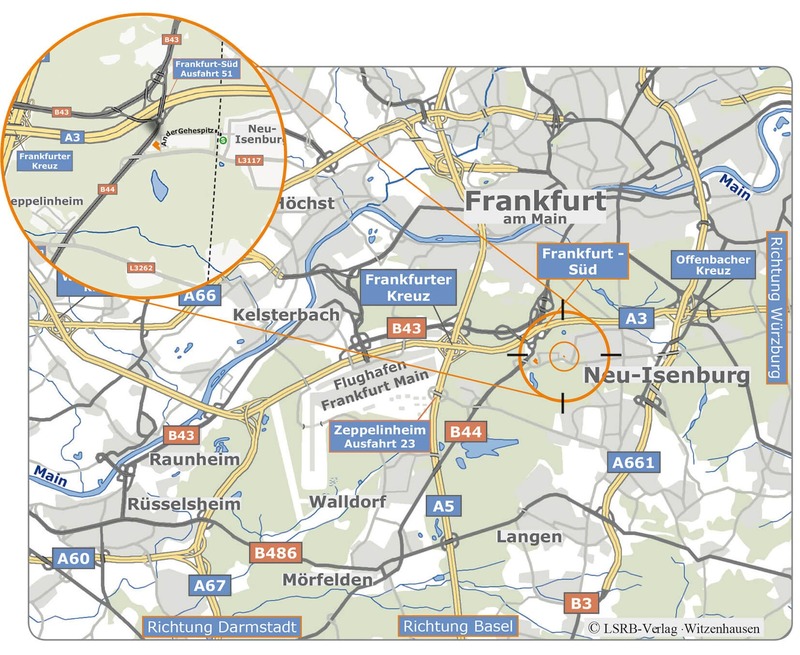 The project will be realized as a joint venture with the real estate subsidiary of Fraport AG. 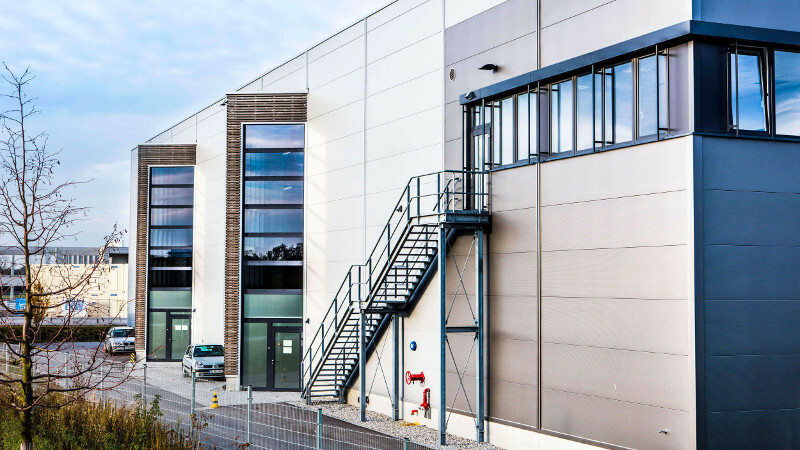 Marketing launch for MULTIPARK Eching with an overall leasable space of 2,000m² on a 3,200m² plot on the Erfurter Strasse. 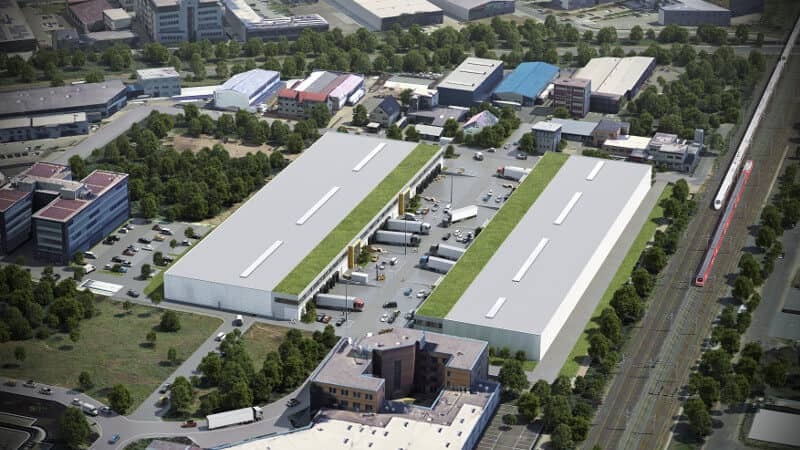 Purchase of a 50,000m² plot on the Mönchhof premises in Kelsterbach near the Frankfurt airport in order to realize a MULTIPARK with about 35,000m² of building floor space in five construction phases. We believe in partnership, fairness and competent consulting. What sets us apart: We don’t just develop real estate, we also develop ourselves. We stand for innovation. Our MULTIPARK concept is a prime example. 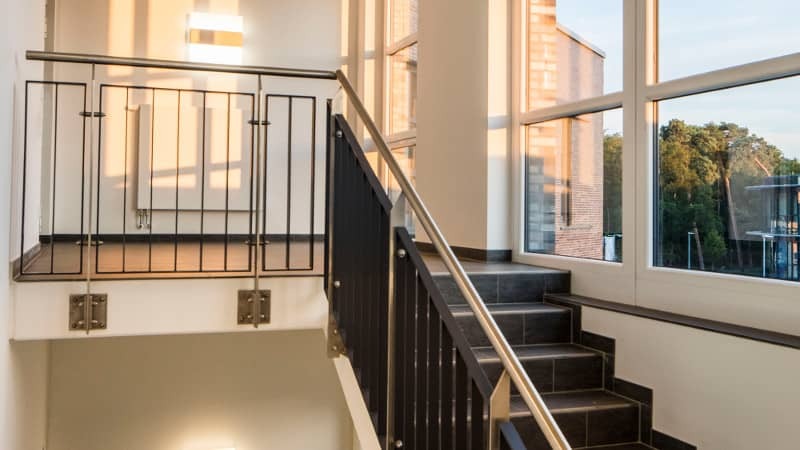 We create new locations by focusing on sites that offer the best possible long-term perspective. 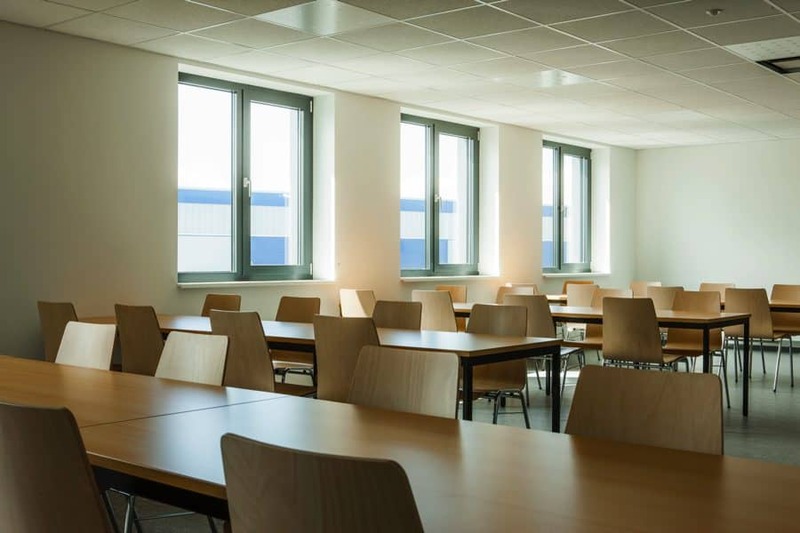 We offer readily available leasing or purchase solutions for a wide range of users, from inter-regional logistics firms to local small business owners. We significantly ease the workload for the municipalities and bring them together with investors and future tenants. 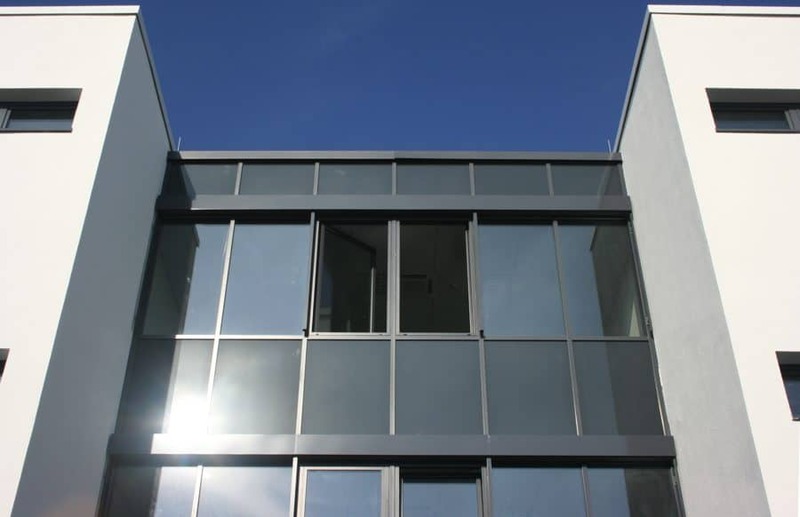 We develop sustainable and environmentally friendly properties, highly adaptable for alternative use. 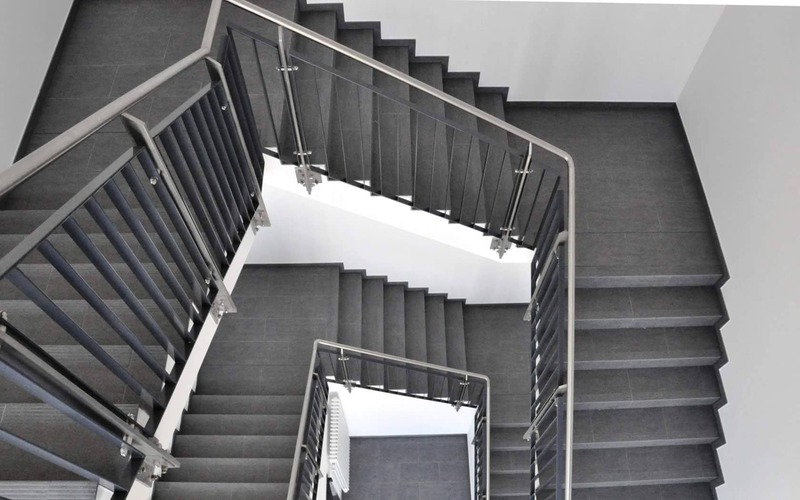 We offer investors a truly competitive product with excellent long-term ROI. 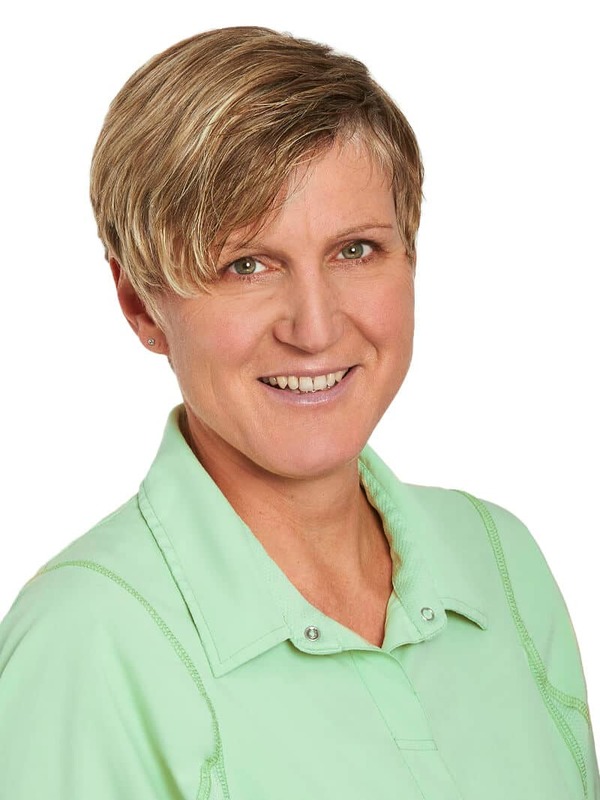 We are a team of real estate specialists. Team spirit, rapid implementation, flexibility, responsibility and customer focus are our priority.